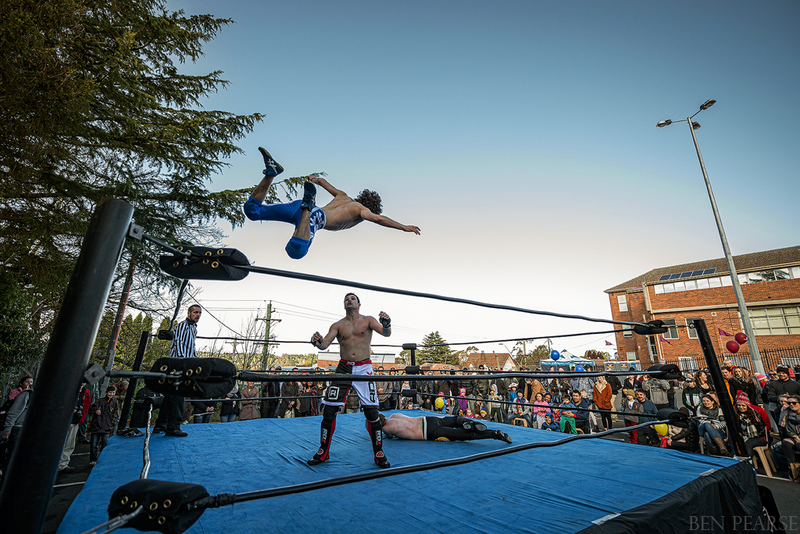 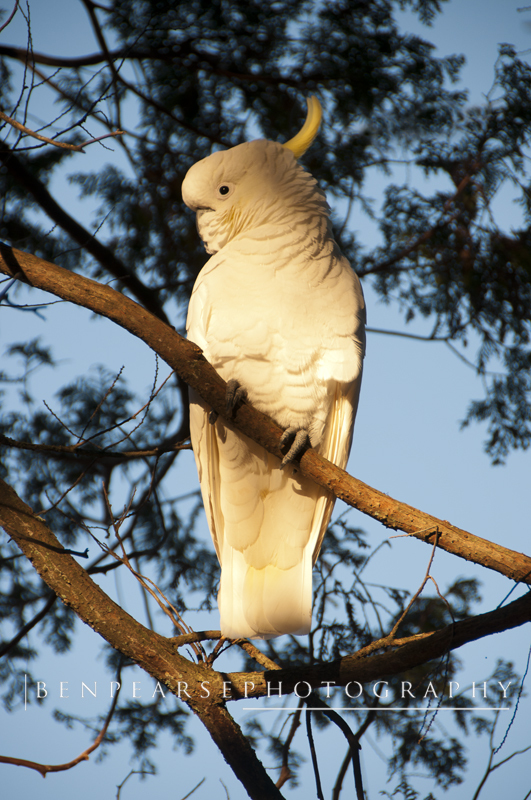 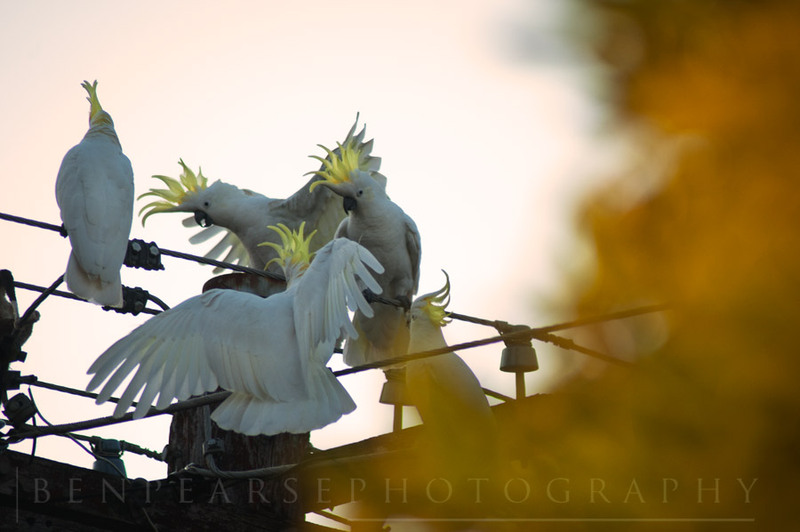 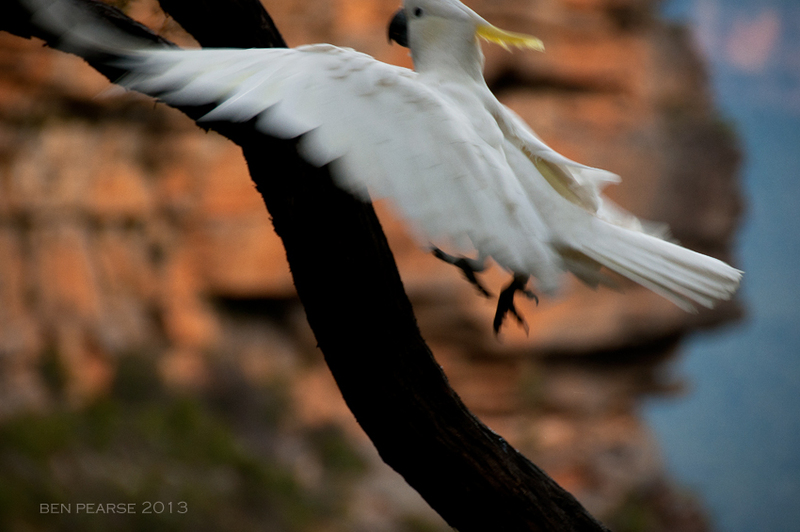 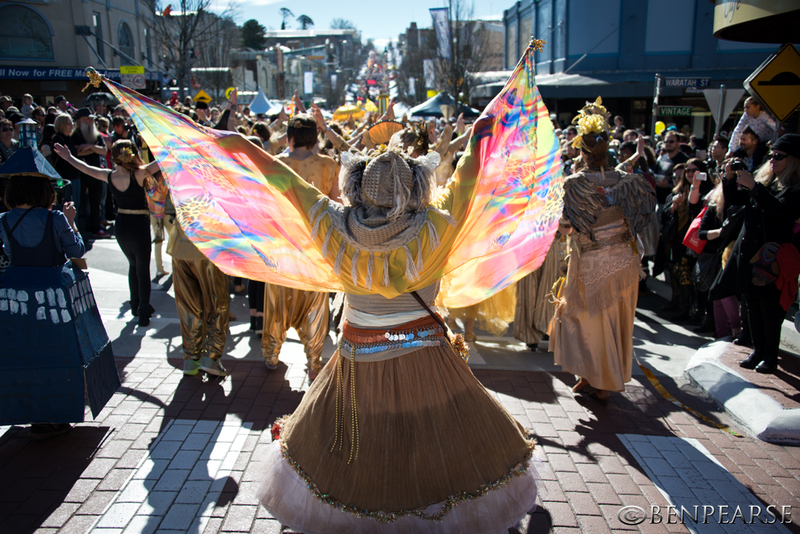 As a long time resident and professional photographer of the Blue Mountains I’ve always looked forward to the annual Blue Mountains Winter Magic Festival in june each year. 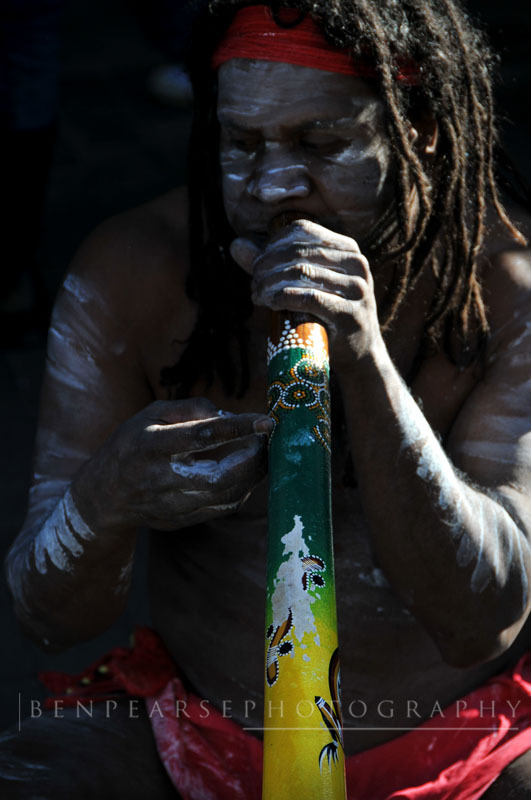 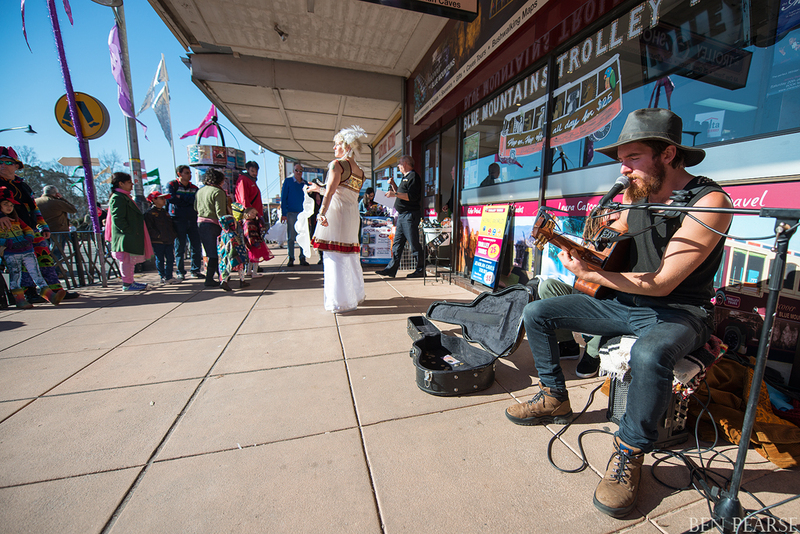 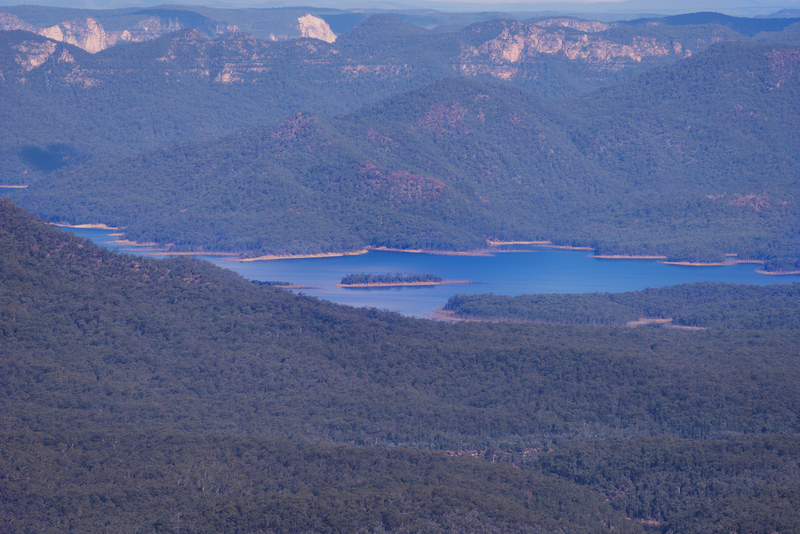 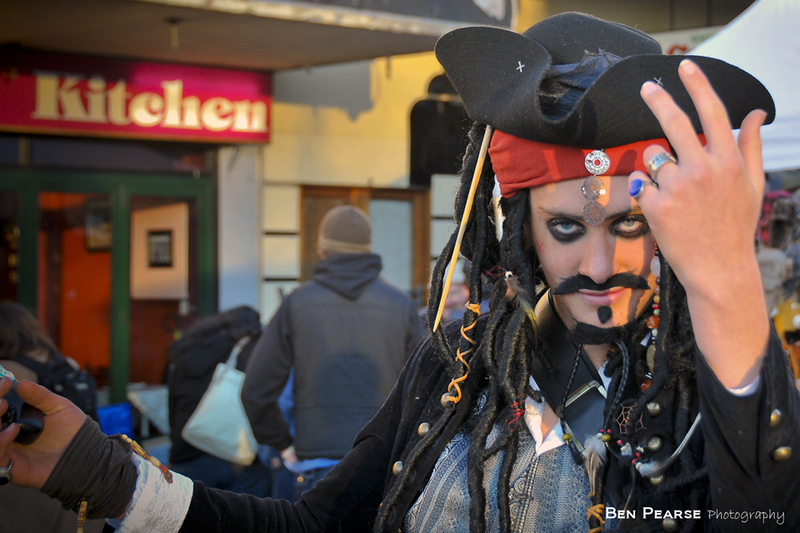 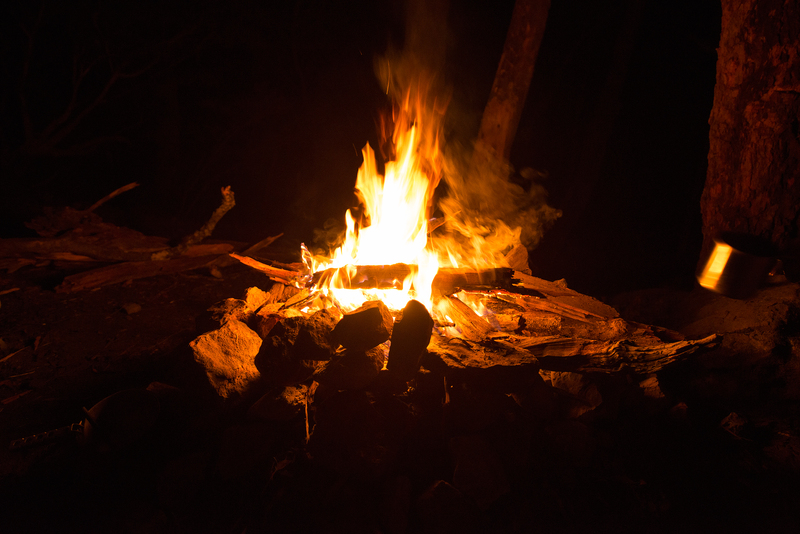 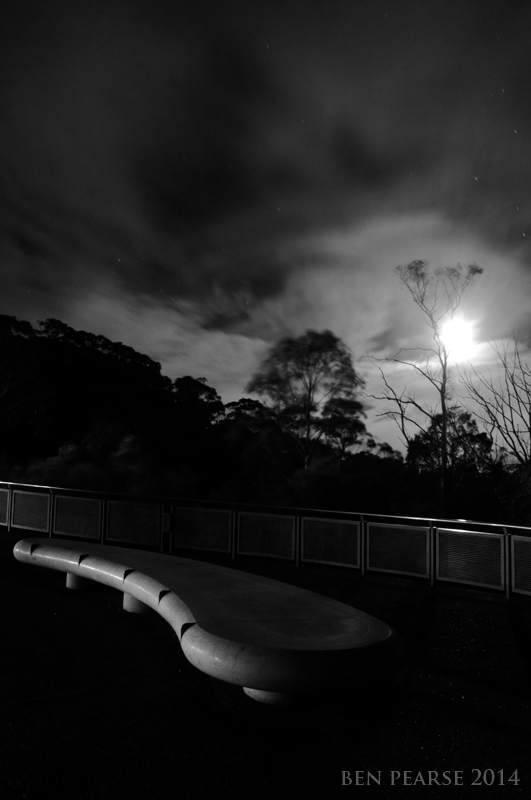 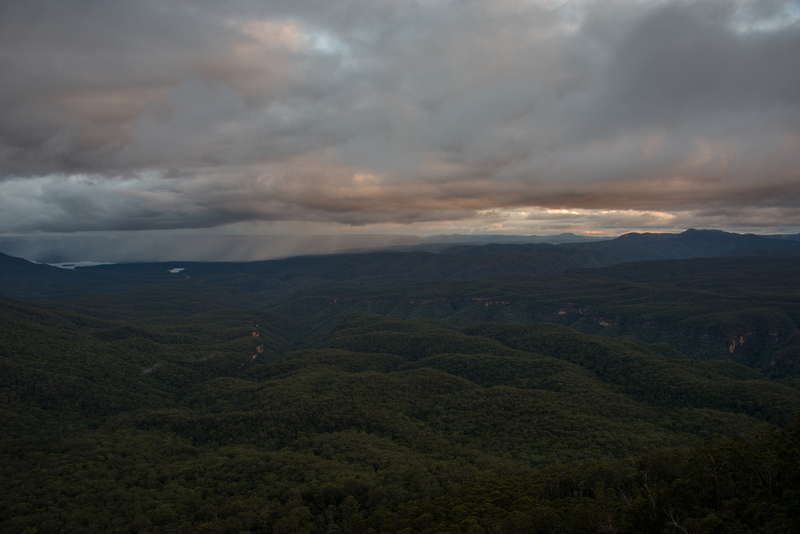 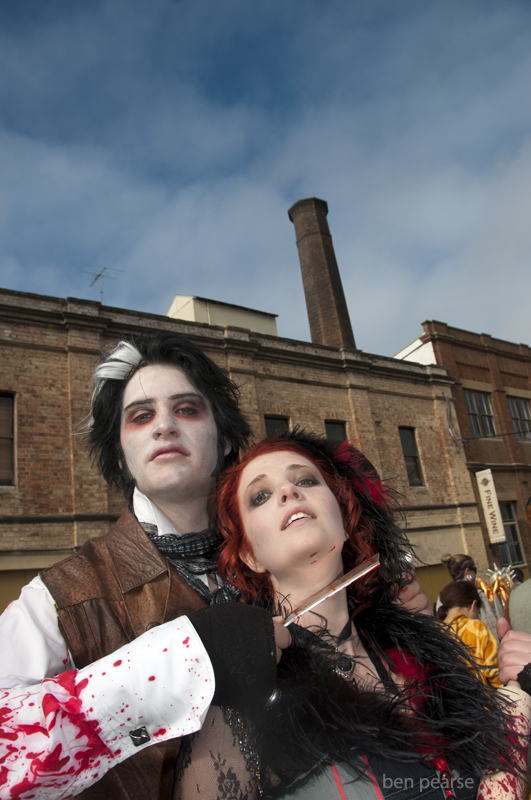 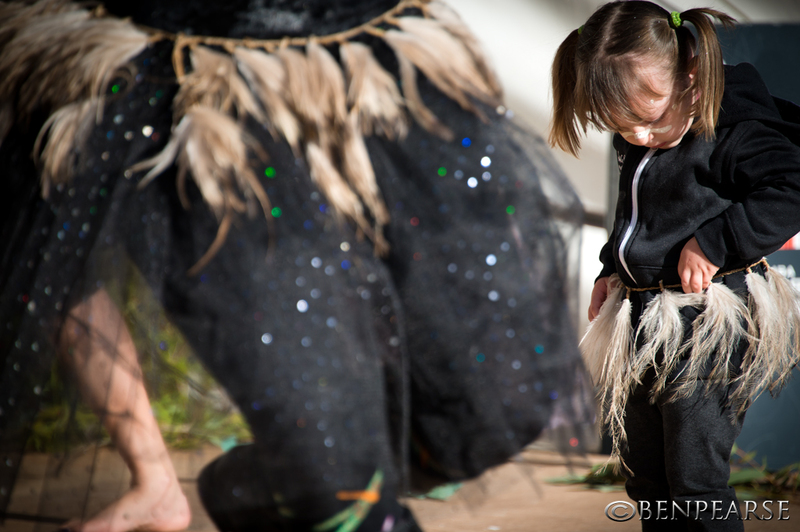 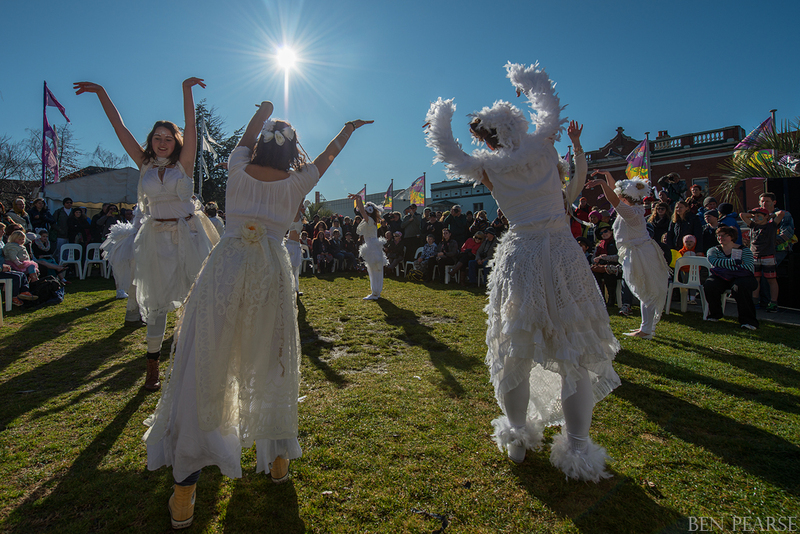 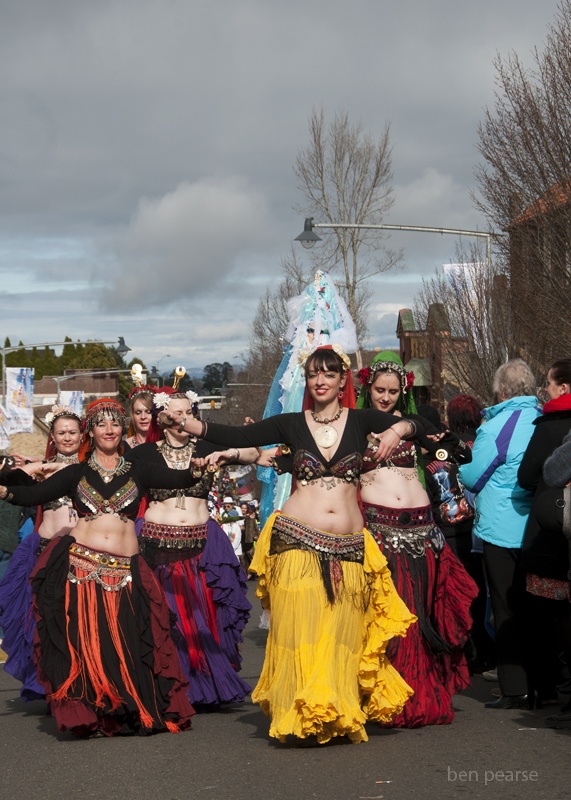 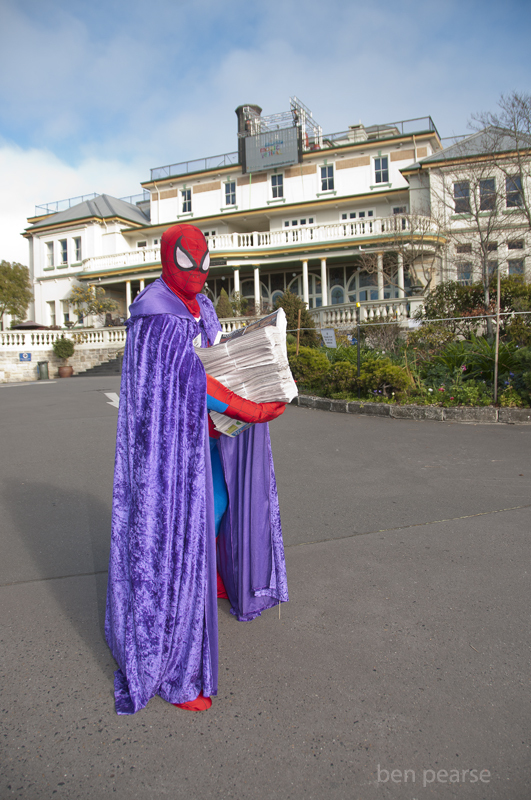 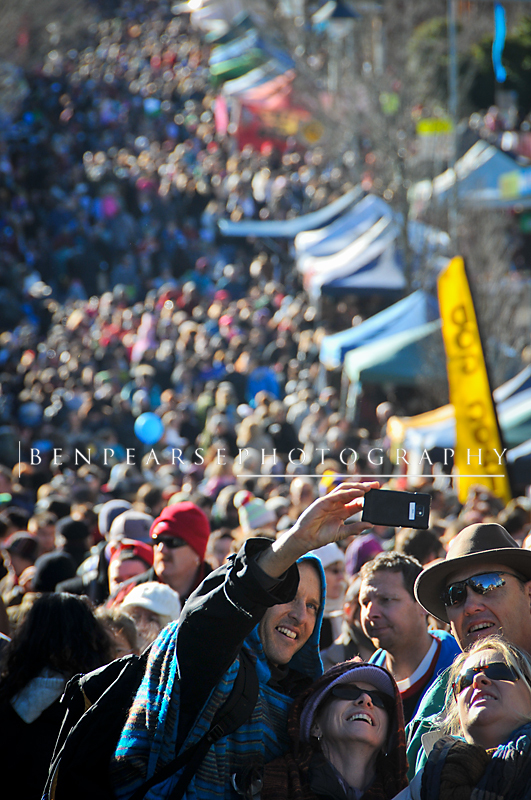 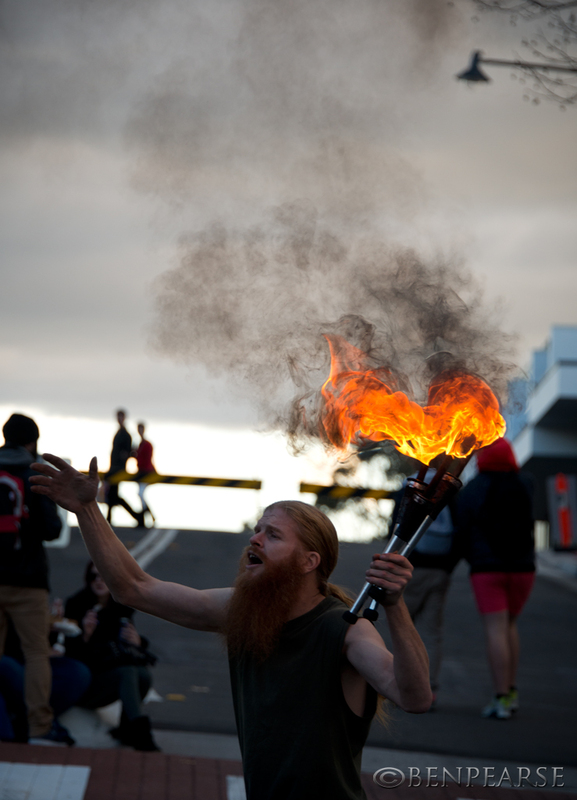 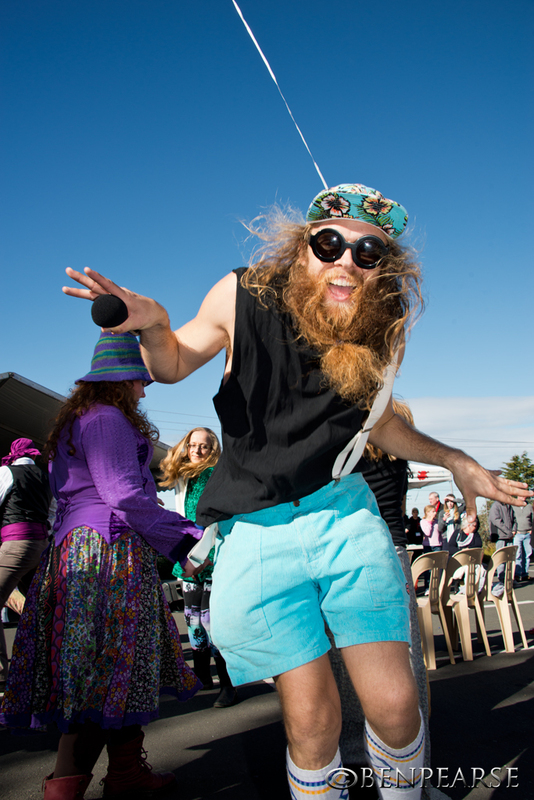 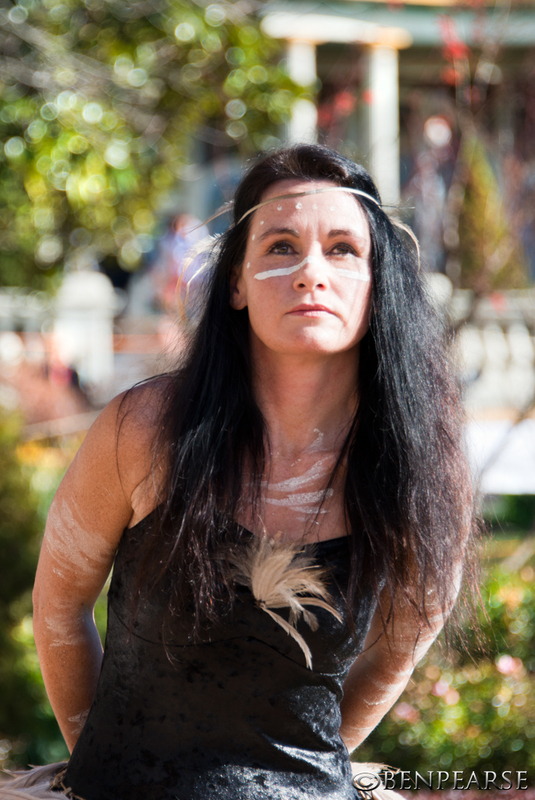 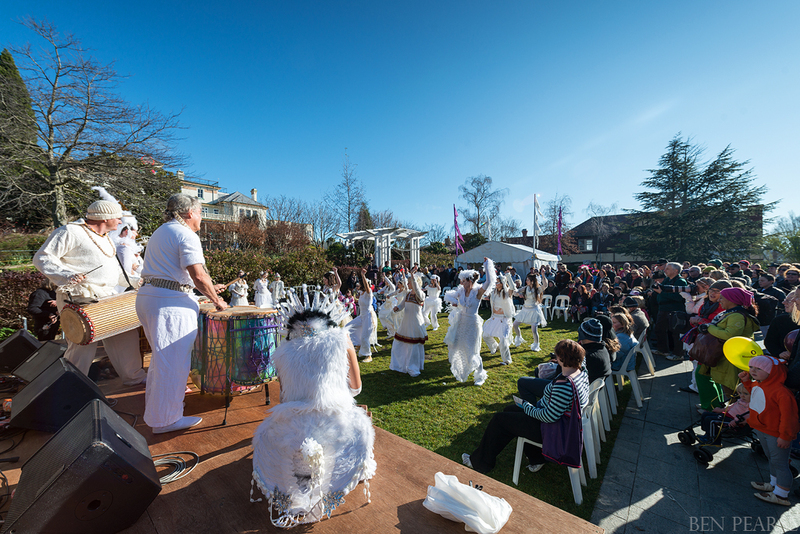 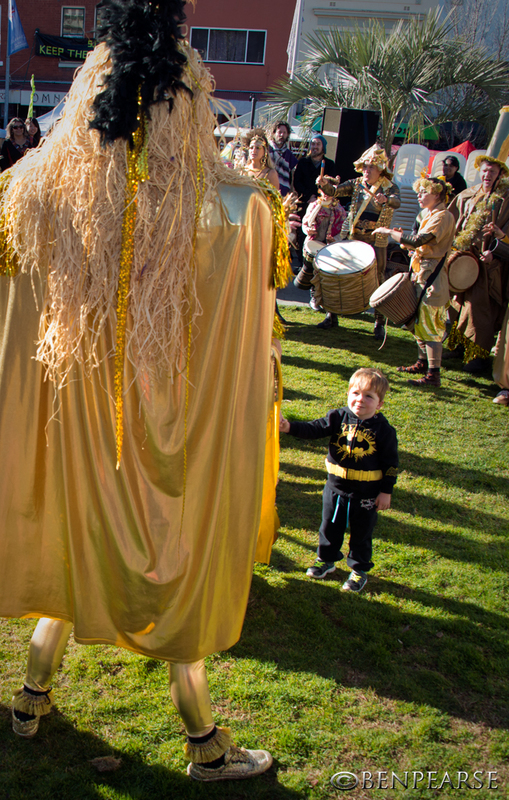 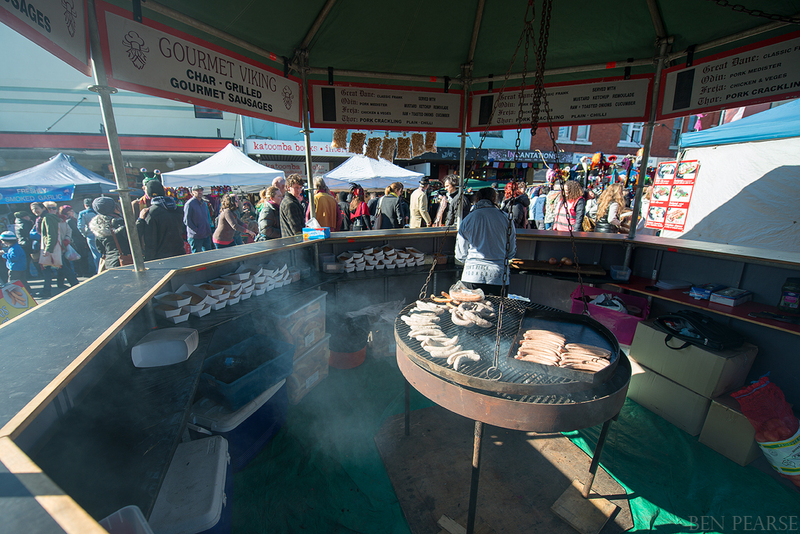 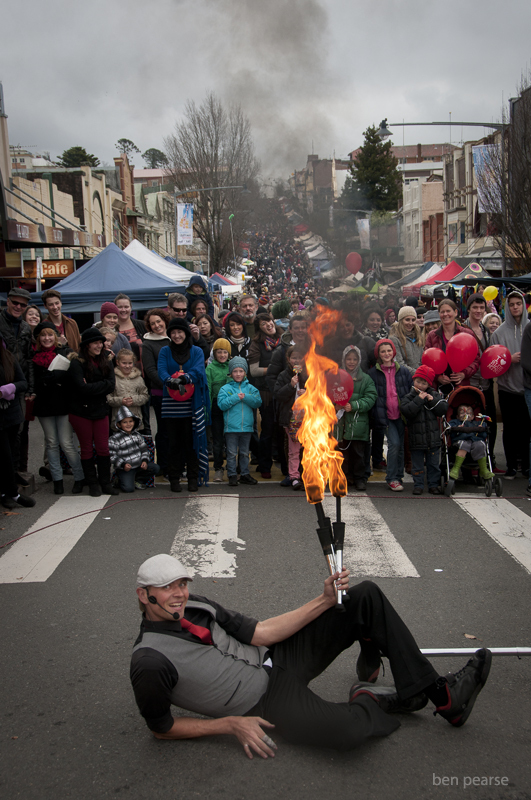 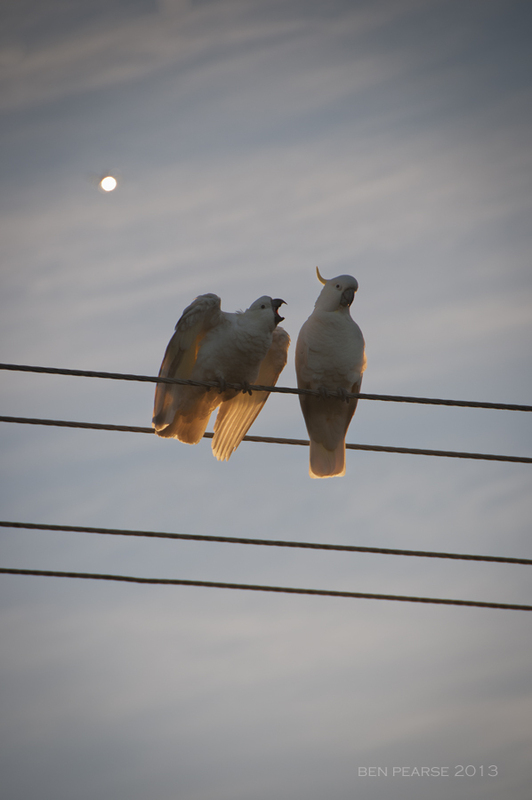 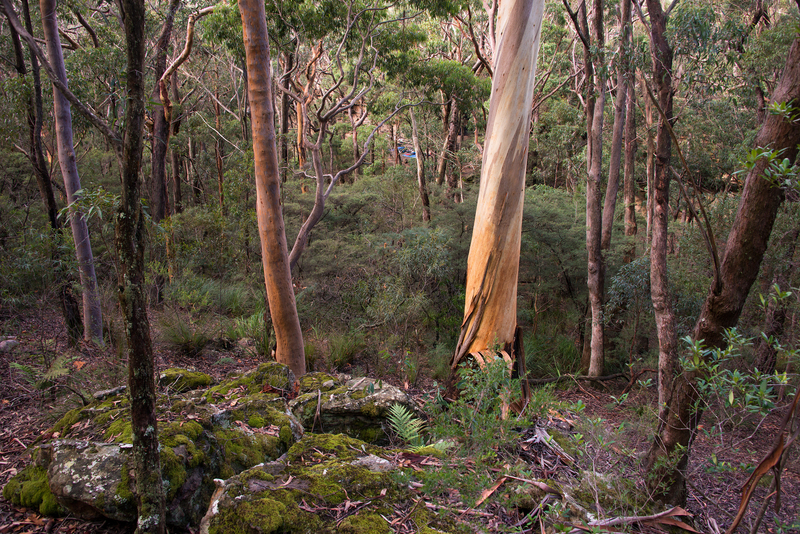 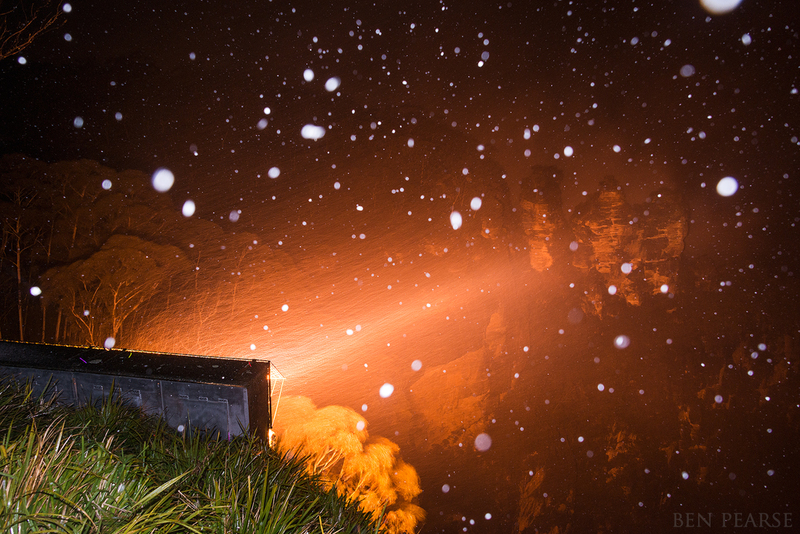 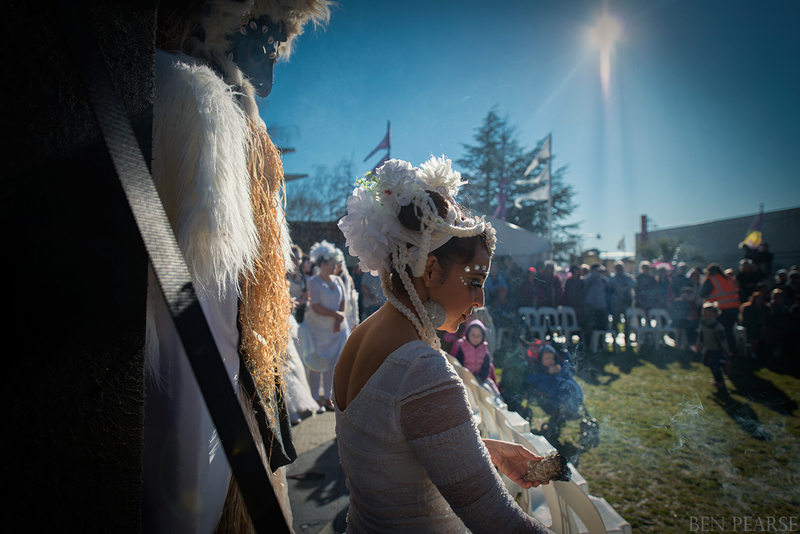 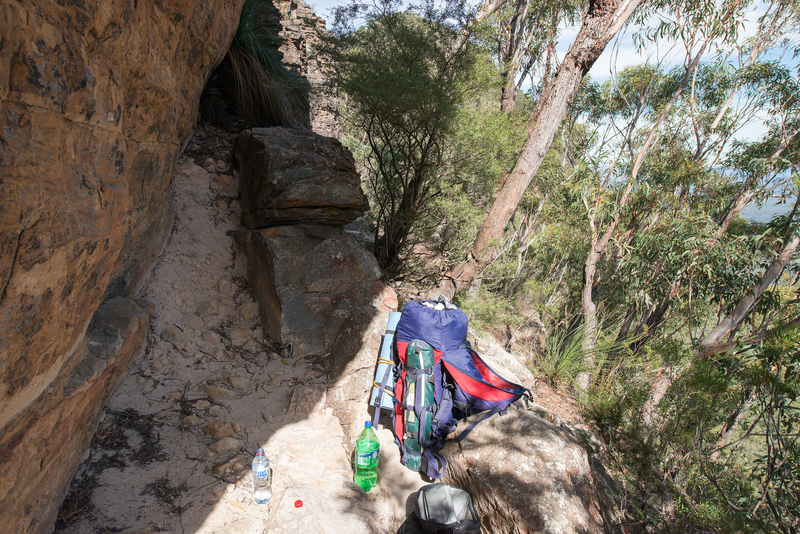 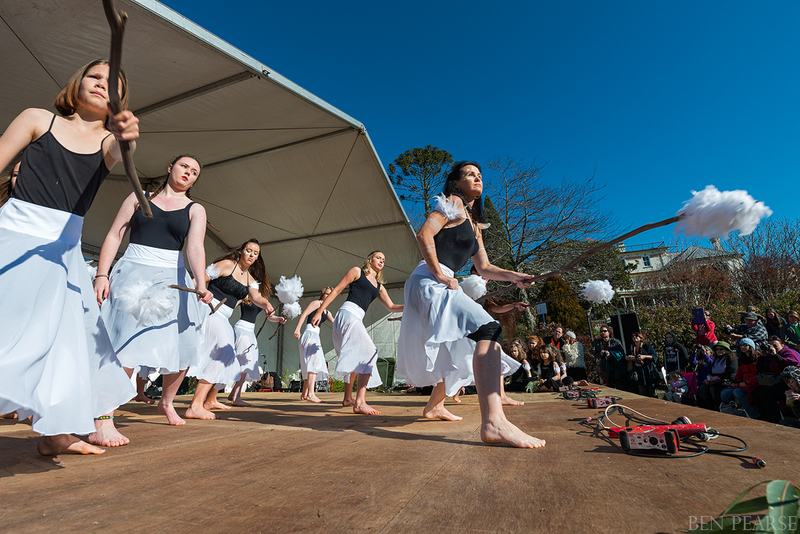 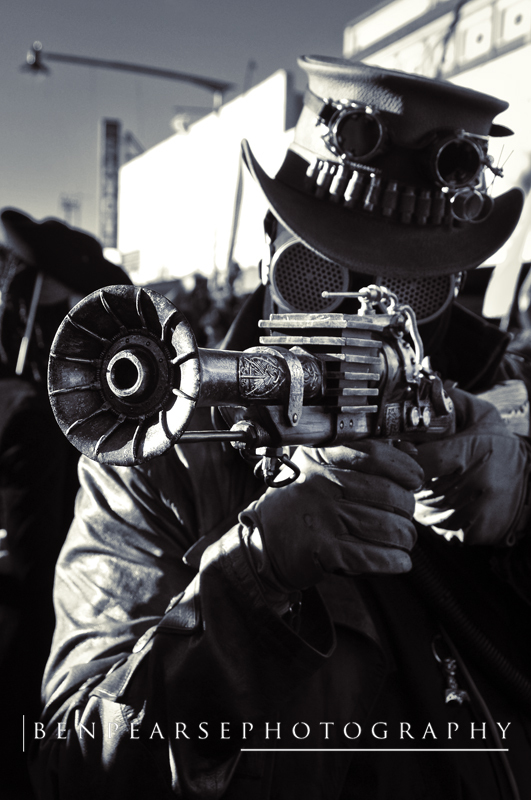 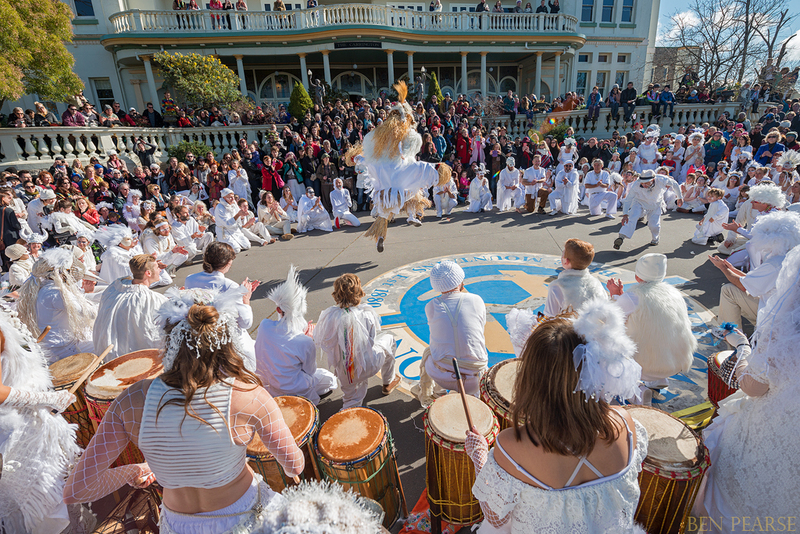 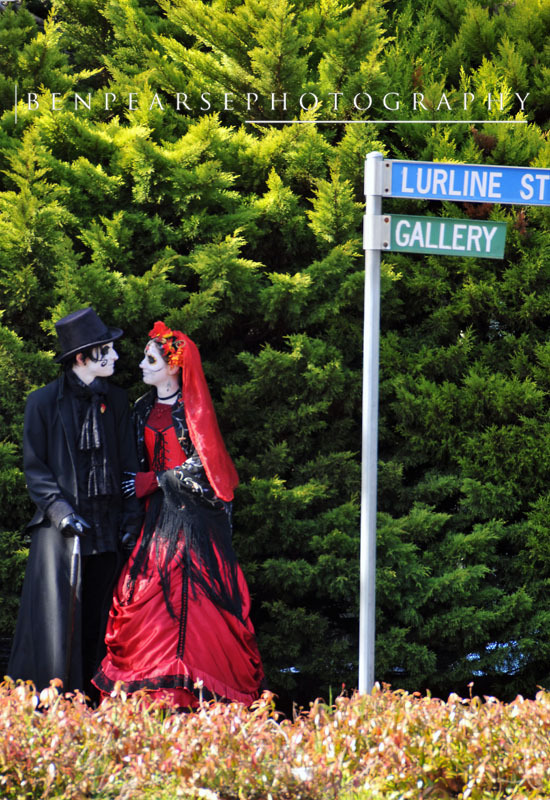 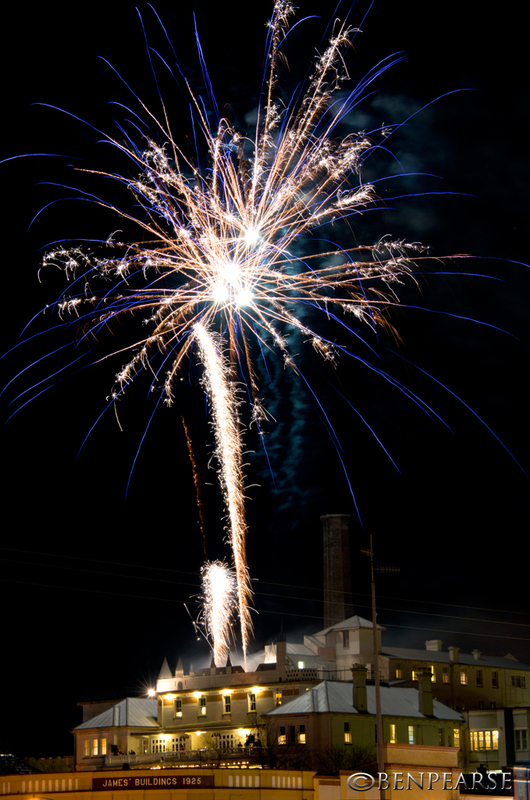 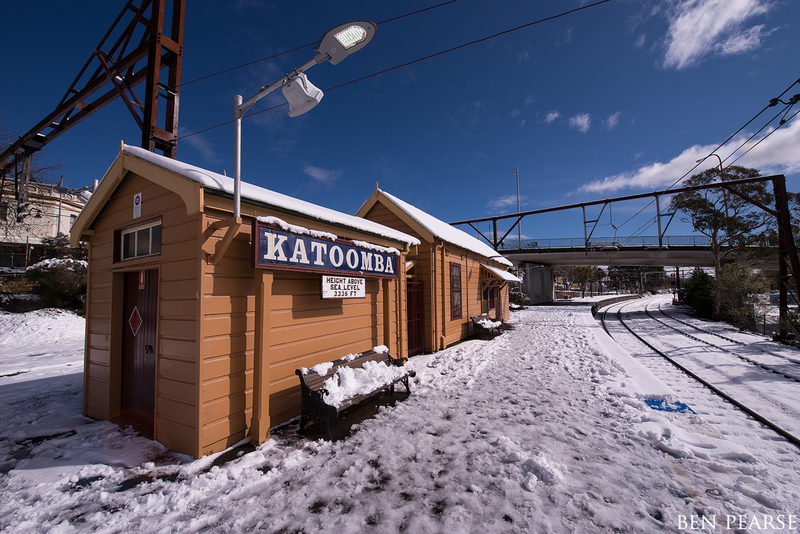 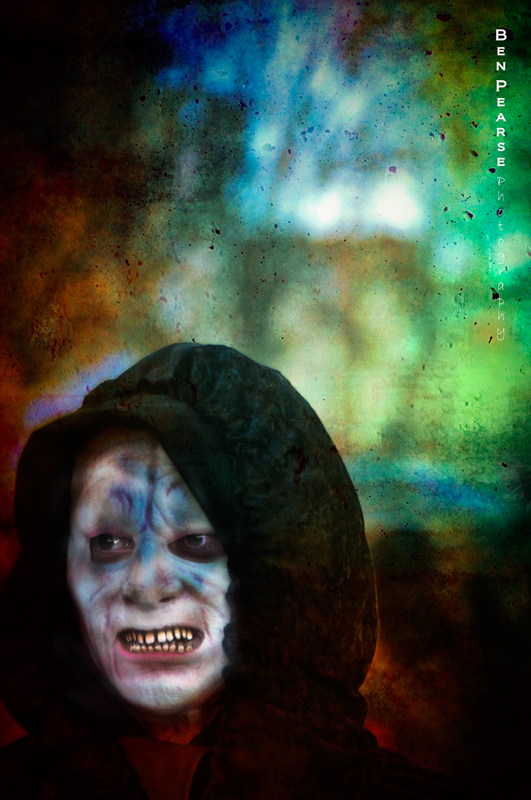 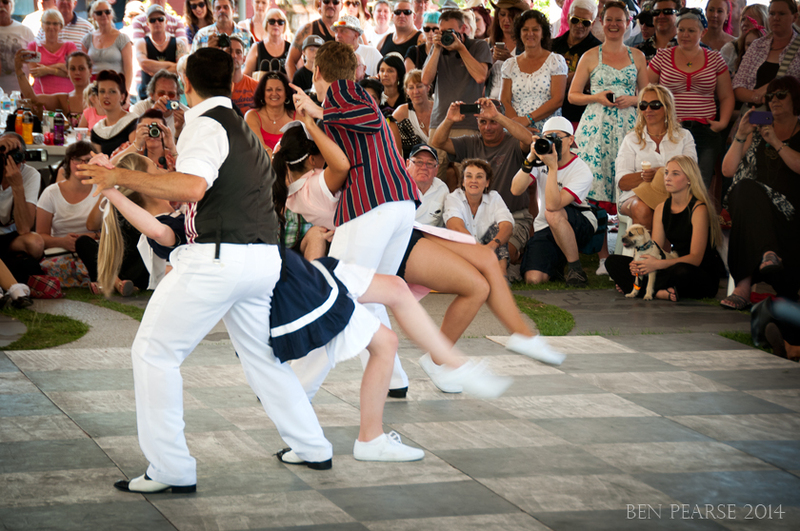 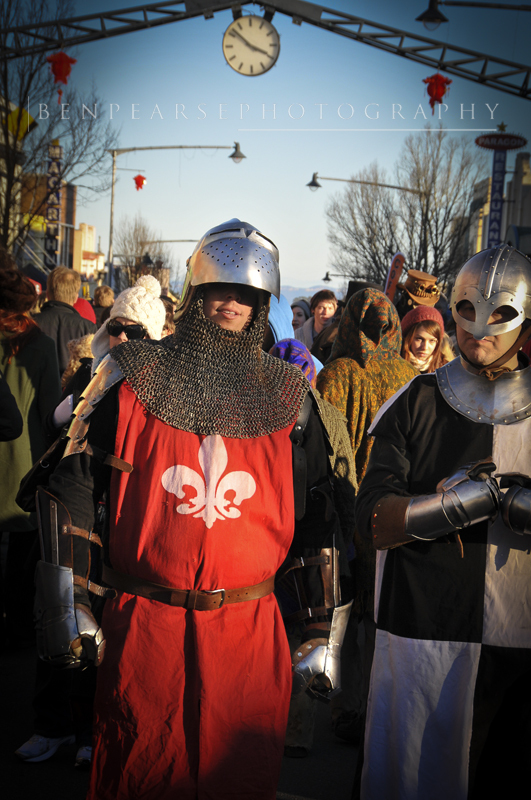 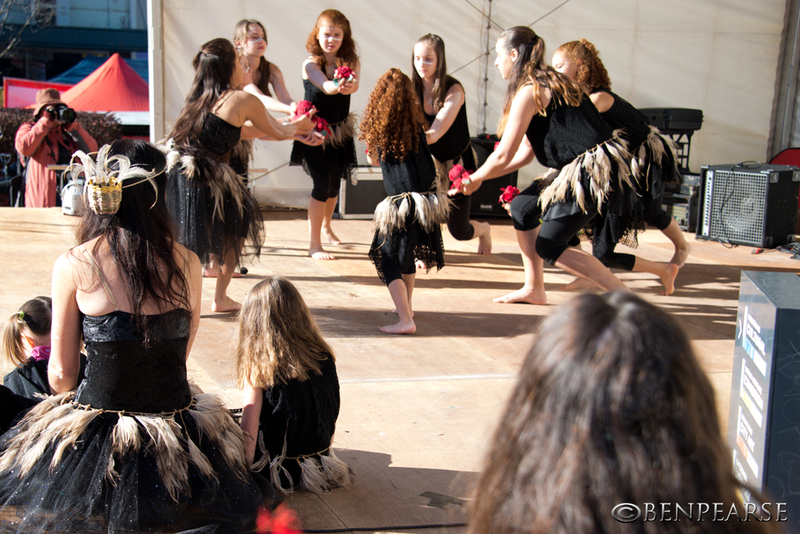 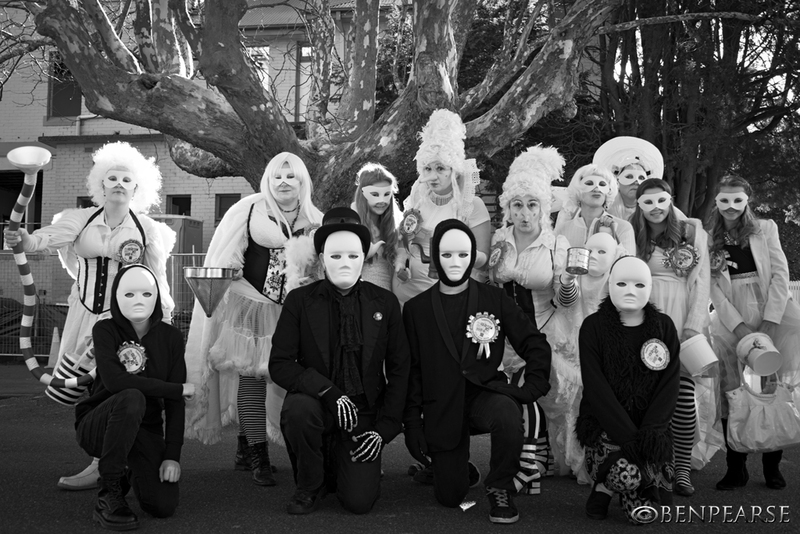 The festival is held in the upper mountains township of Katoomba and revolves around the winter solstice every year. 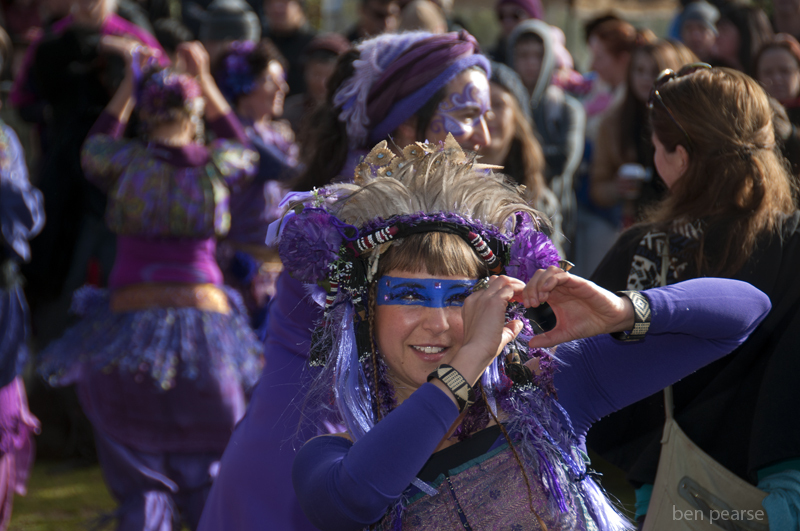 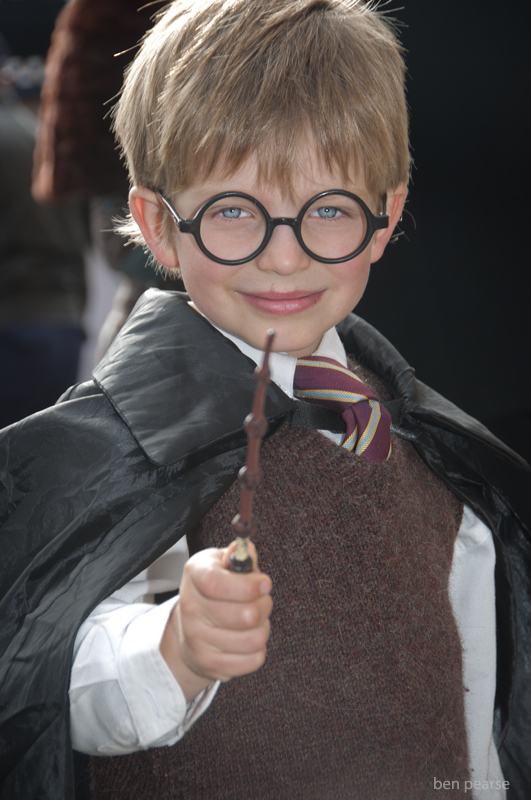 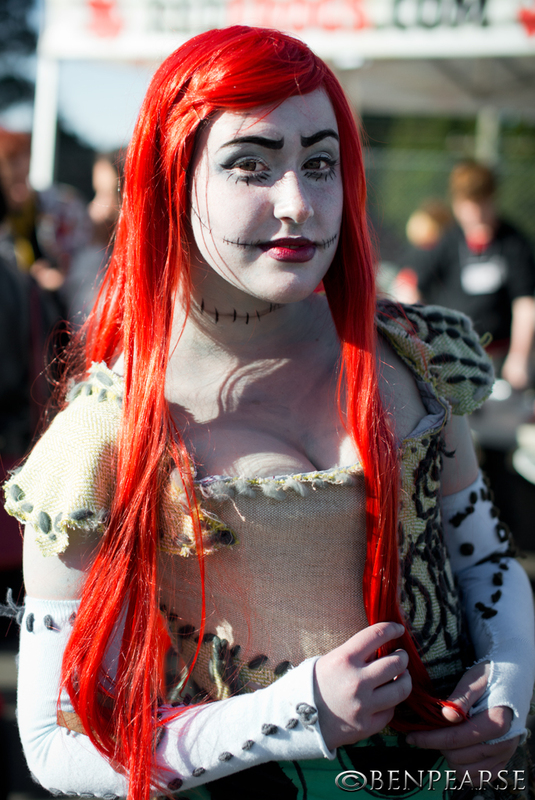 It’s a time for people to embrace and showcase their inner creative and flamboyant streaks by wearing a costume that reflects the annual theme of the festival. 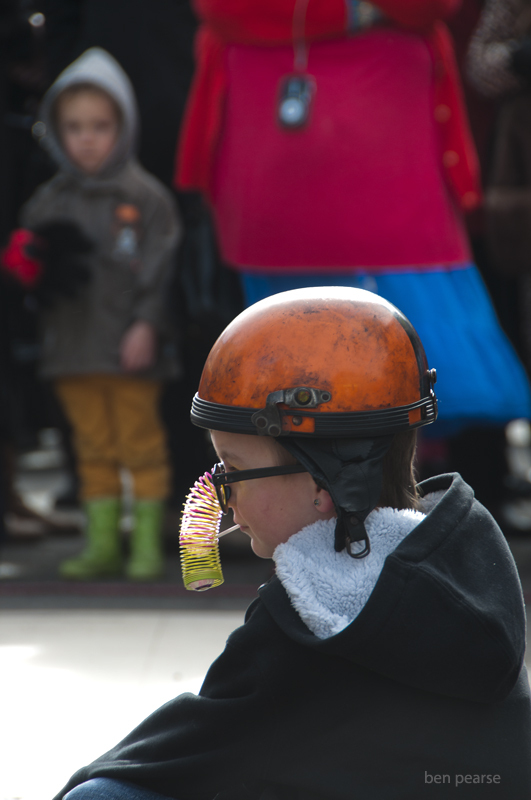 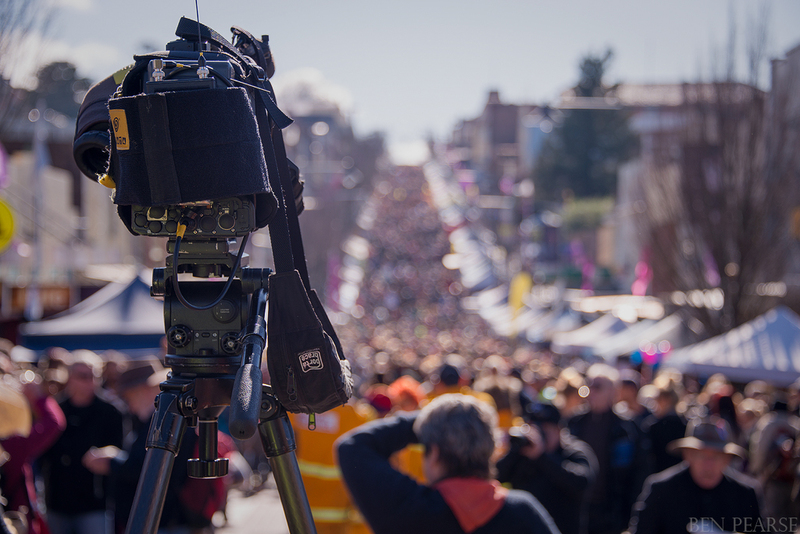 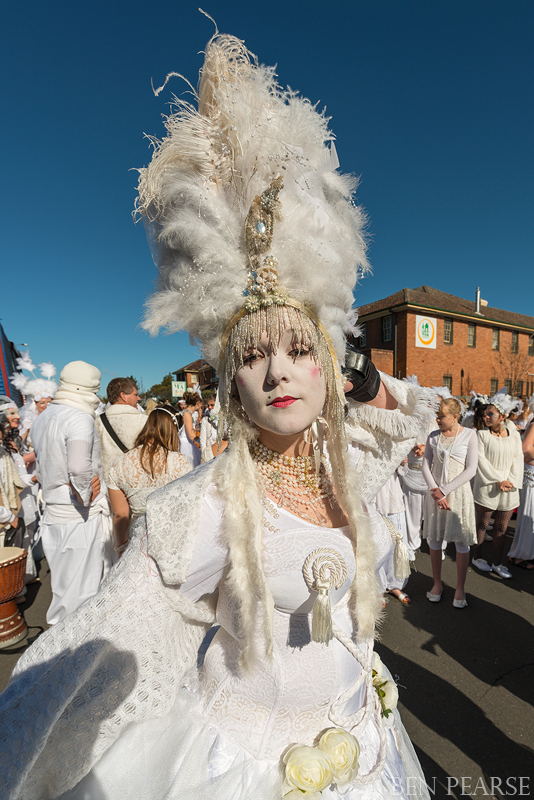 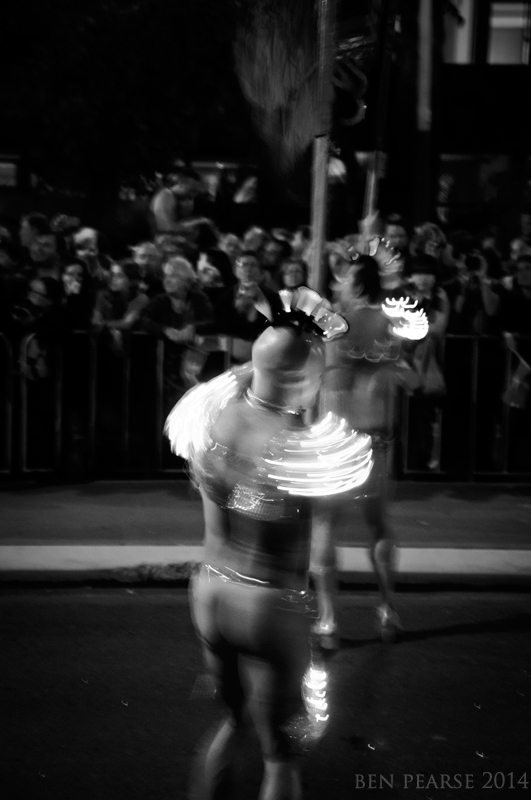 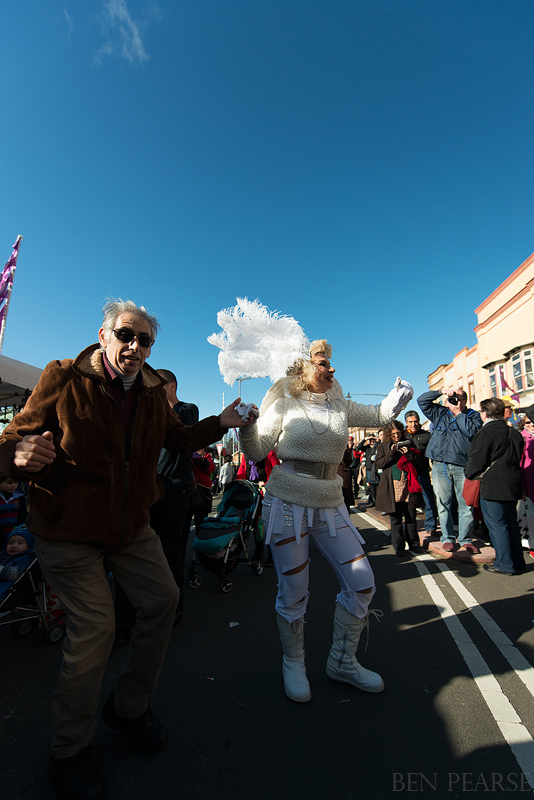 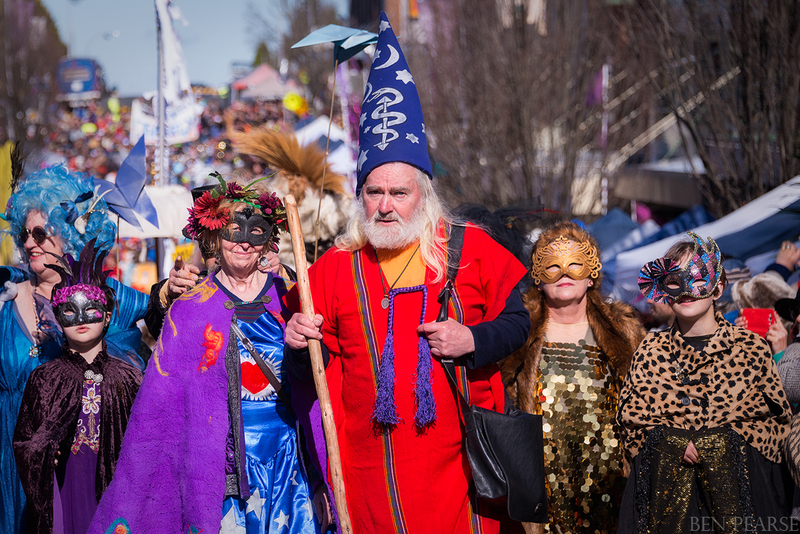 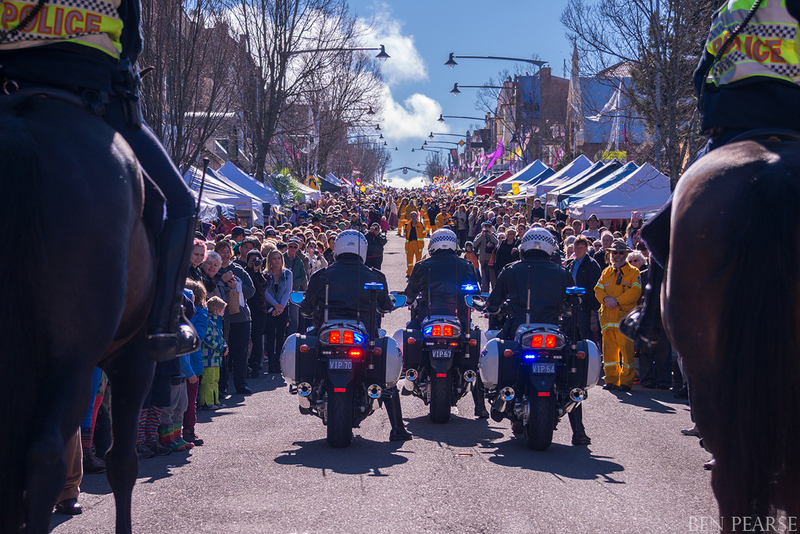 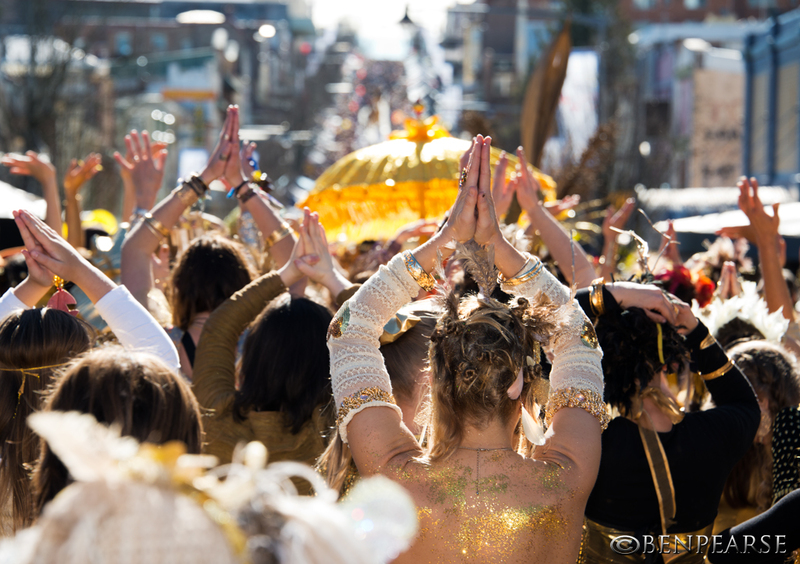 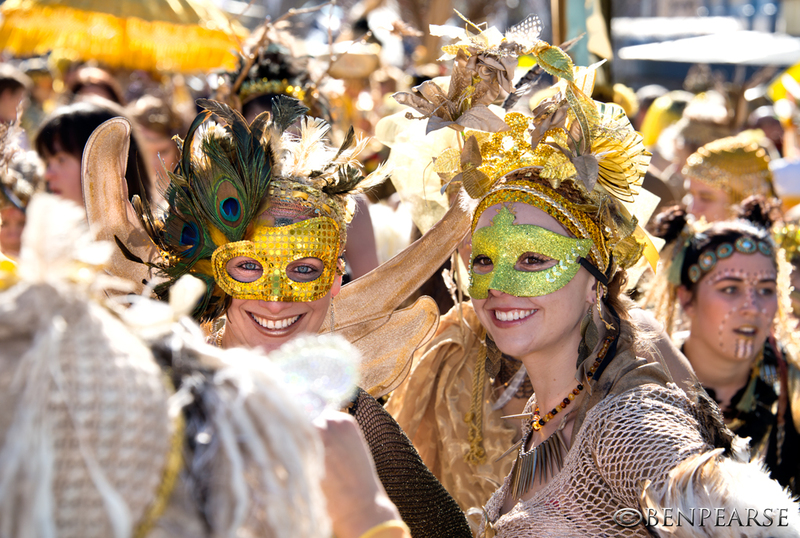 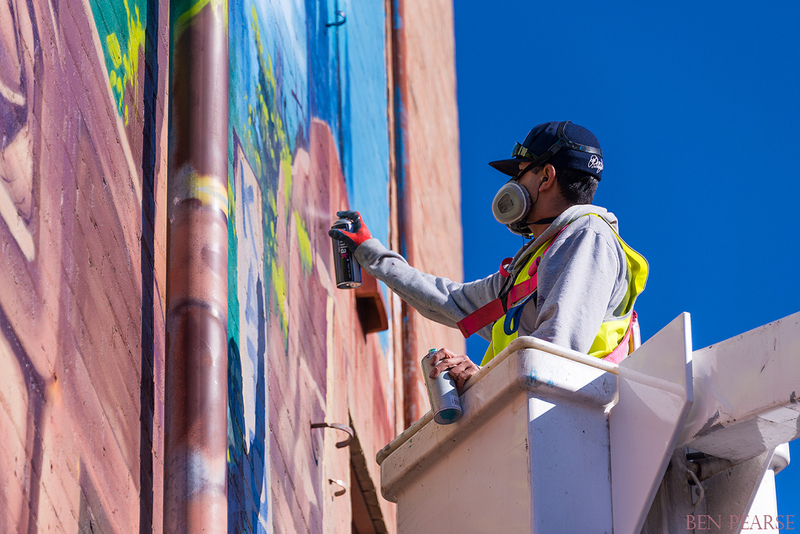 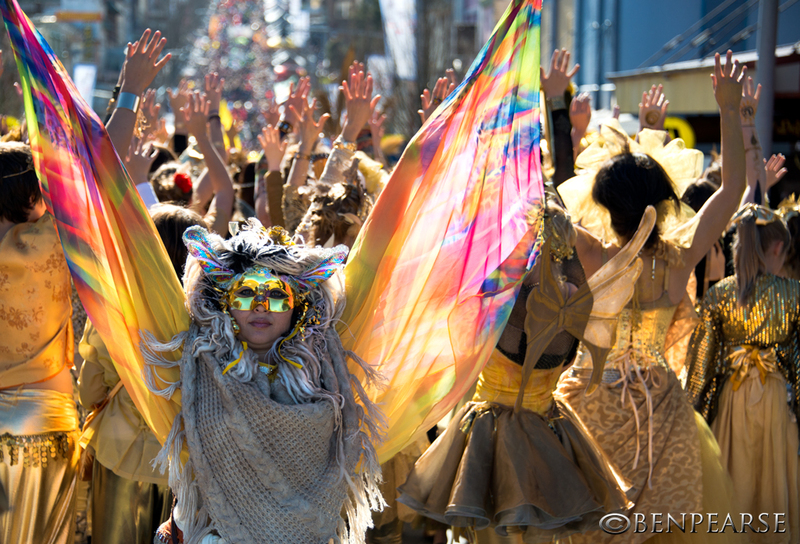 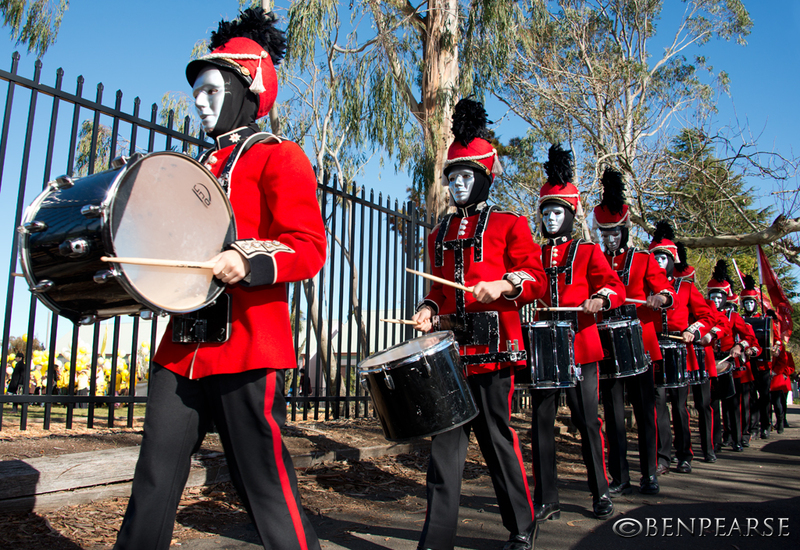 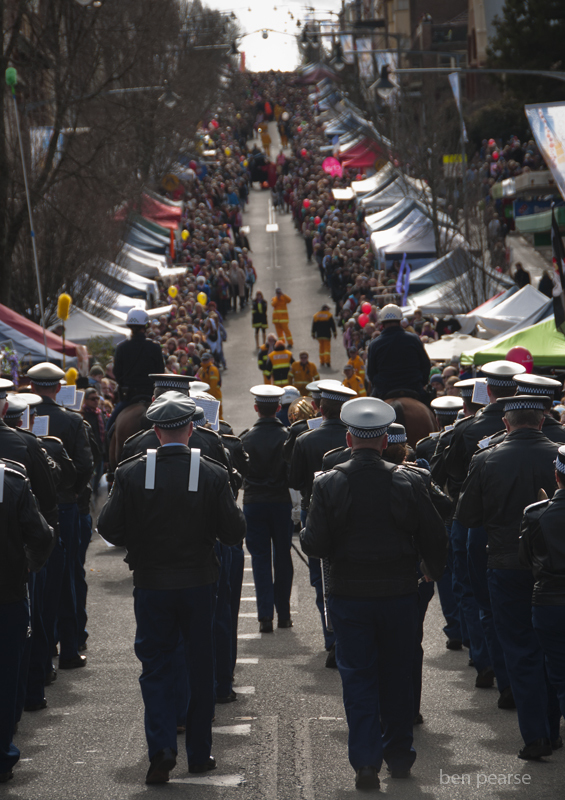 Each year the theme changes, this year it was peace and over the last few years it has been phoenix dreaming and historia…Every year there is a grand parade that makes its way up Katoomba street, cheered on by large crowds that line the sidelines. 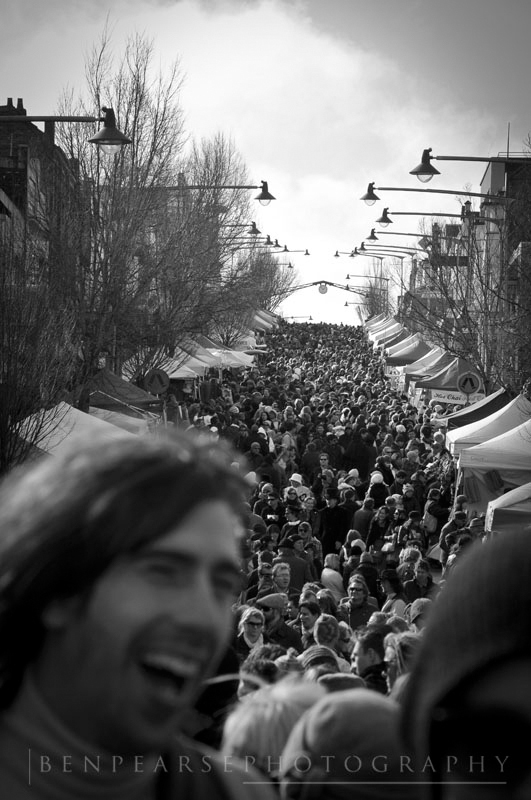 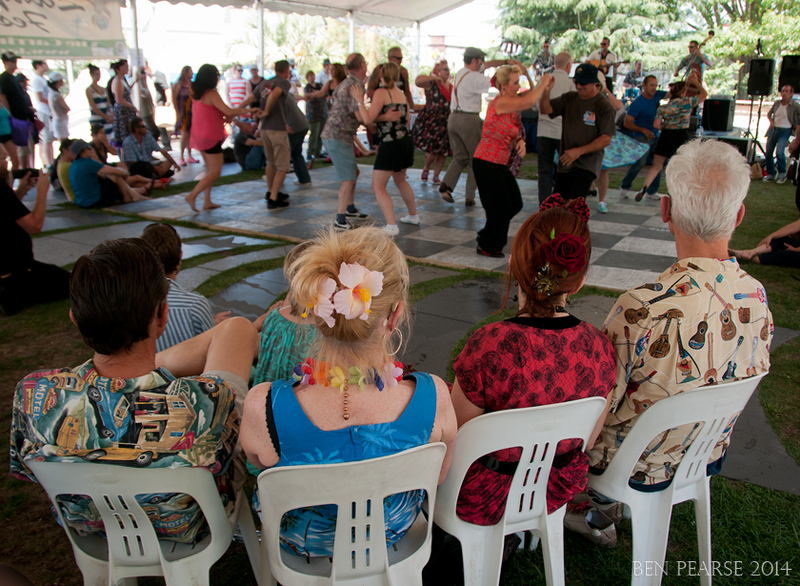 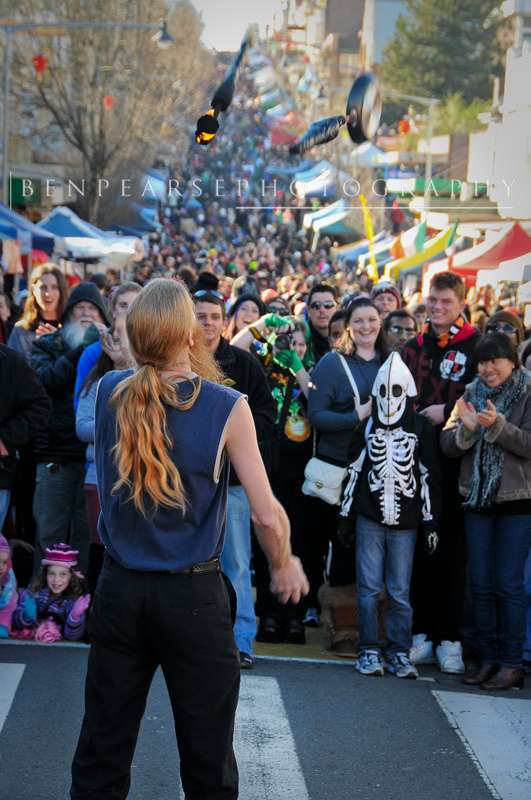 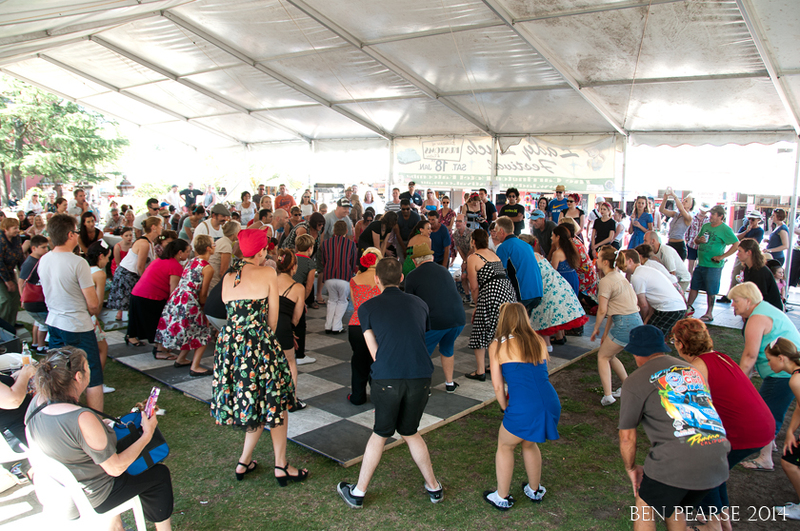 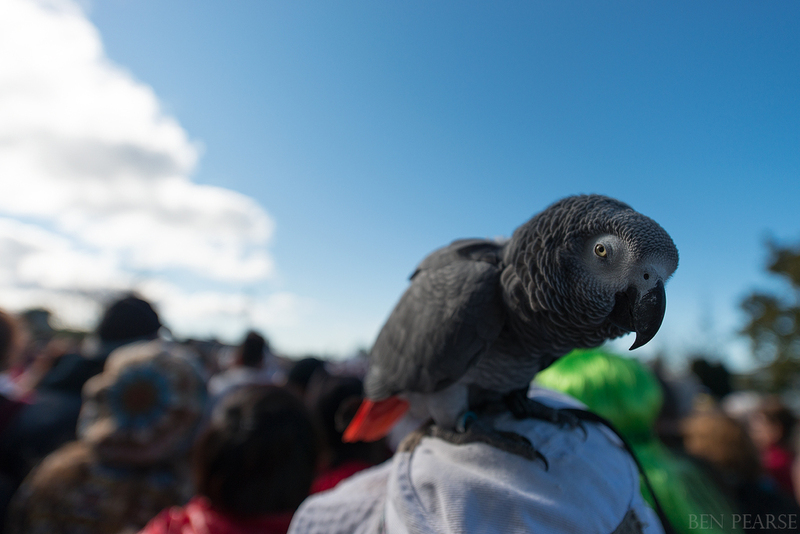 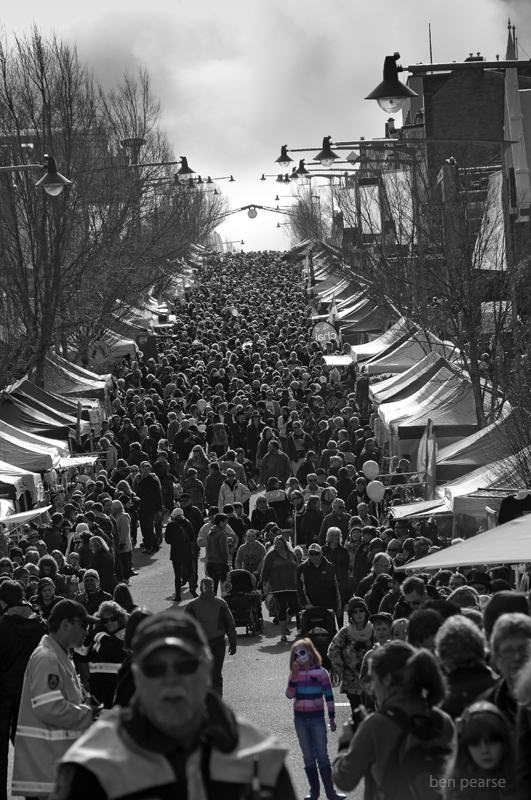 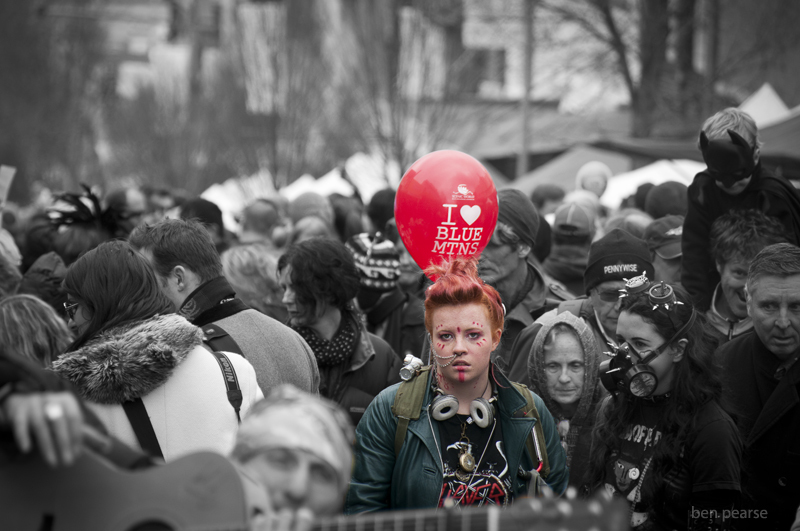 Each year crowds over 45 ooo+ people will come and visit the festival. 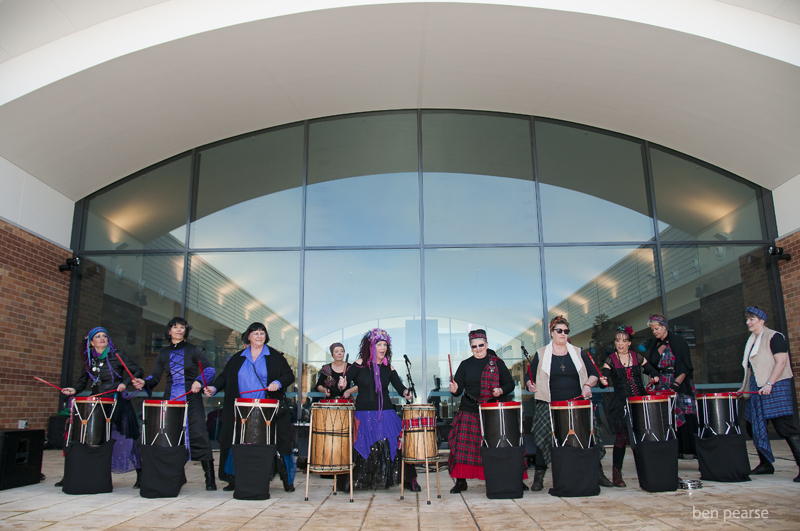 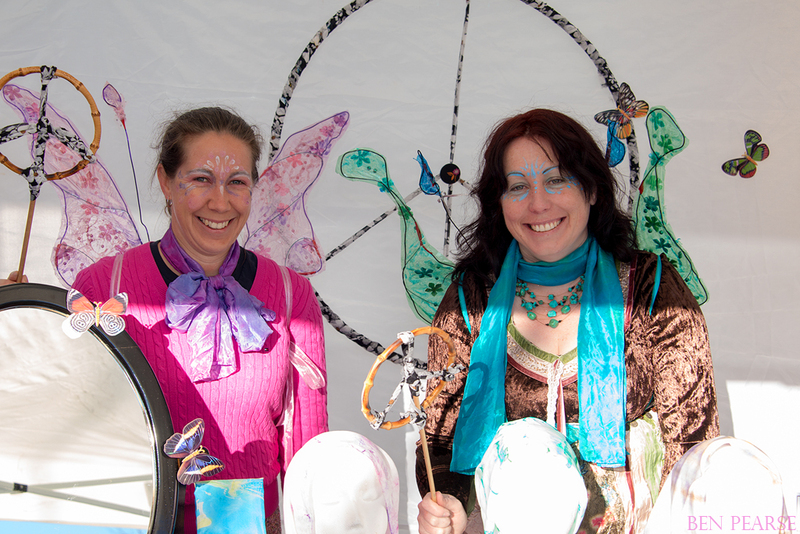 There is a huge selection of stalls to browse through on the day and many performances take place at various venues of the course of the festival. 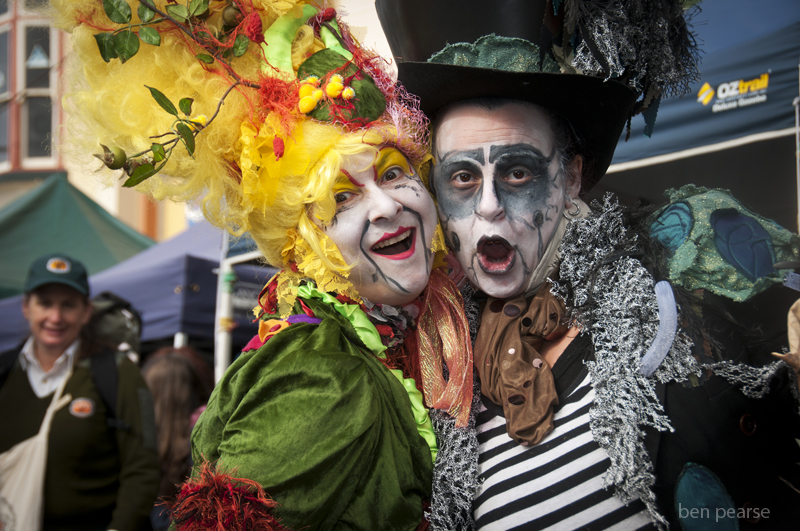 Over the last few years I’ve been one of the official photographers and I thought I would put together a small showreel of some of my favourite images that I’ve captured of this wonderful local festival over the last few years. 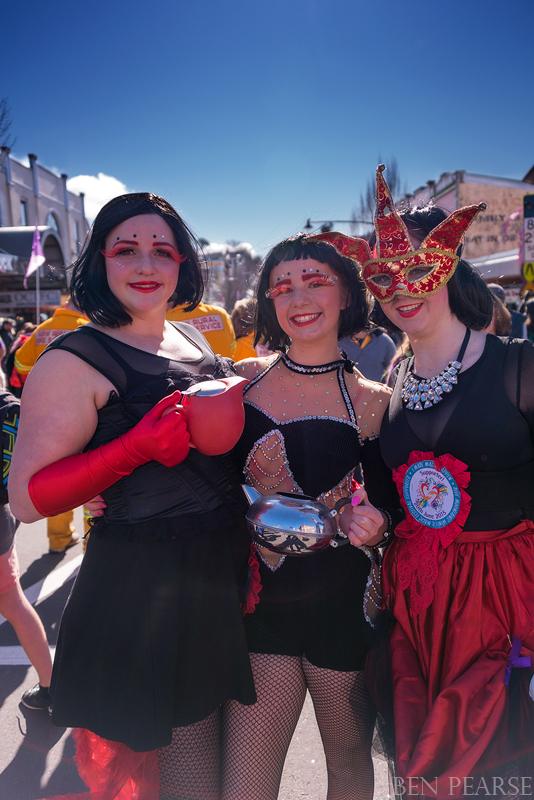 I thought this year was the busiest in terms of just moving through the crowds, I personally struggled throughout the day as I felt pretty unwell and only shot a small portion of the day’s festivities. 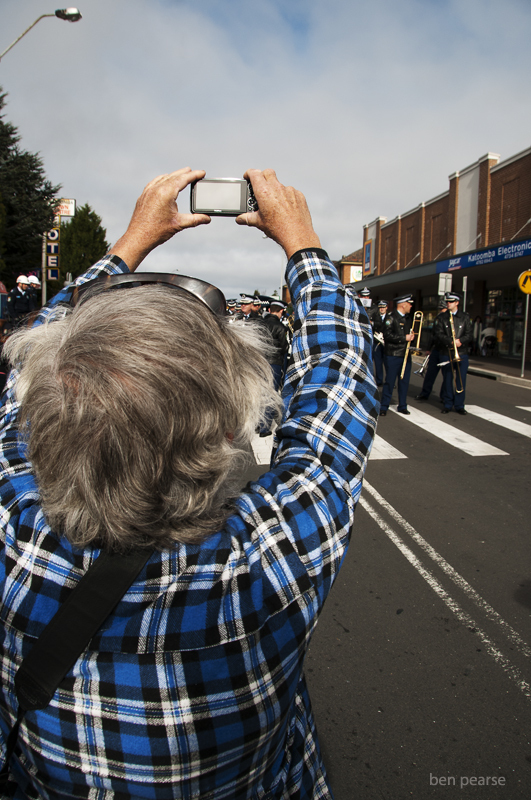 Luckily there is always plenty of local photographers on hand to showcase the event to the public via social media platforms. 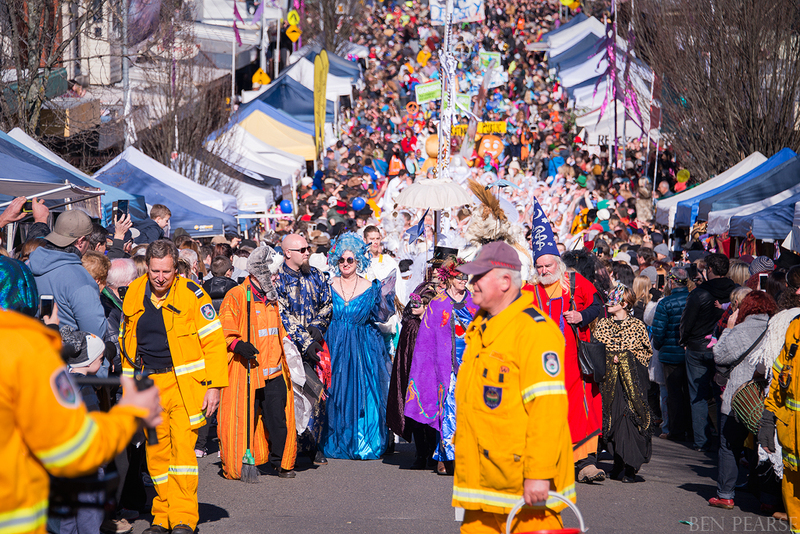 As always the event is organised by a group of tireless volunteers who do a great job of coordinating one of Australia’s biggest festivals..no small task i’m sure, and they do an outstanding job. 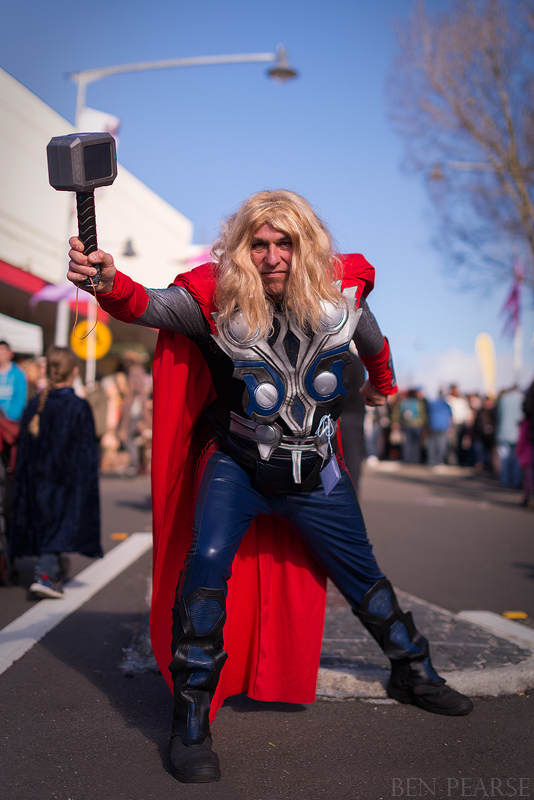 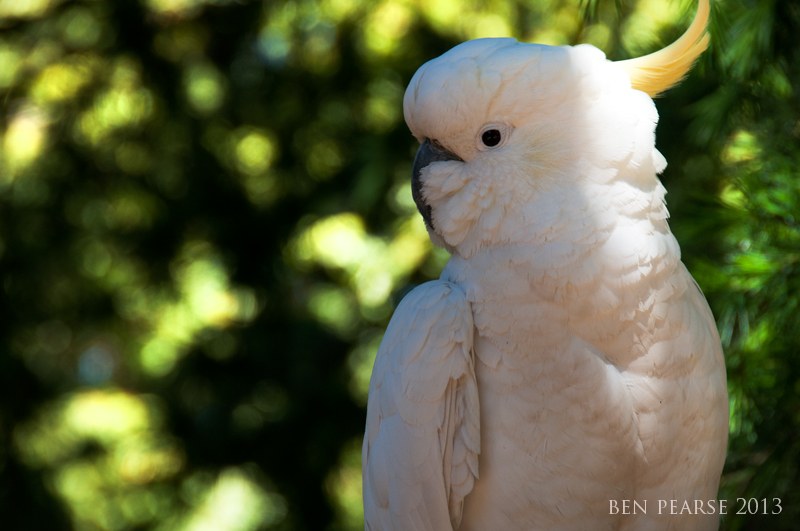 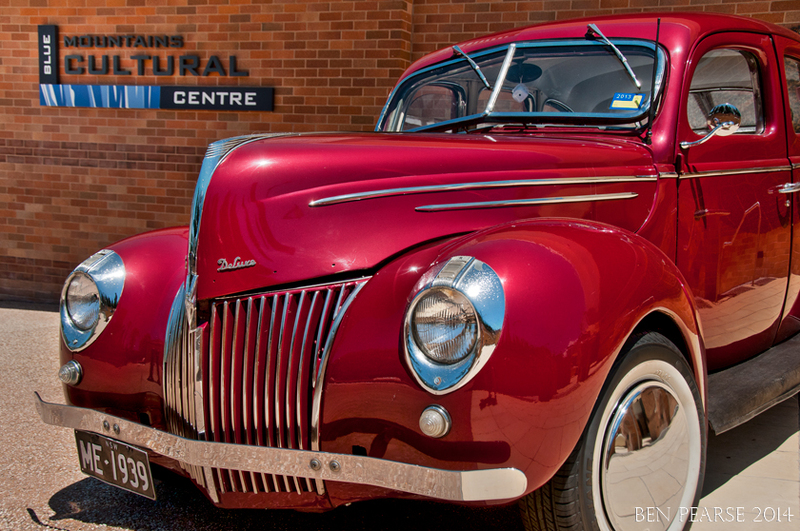 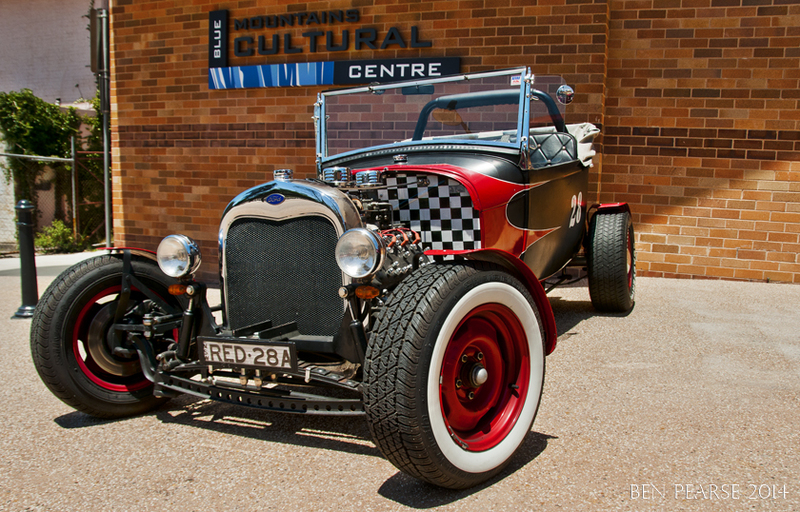 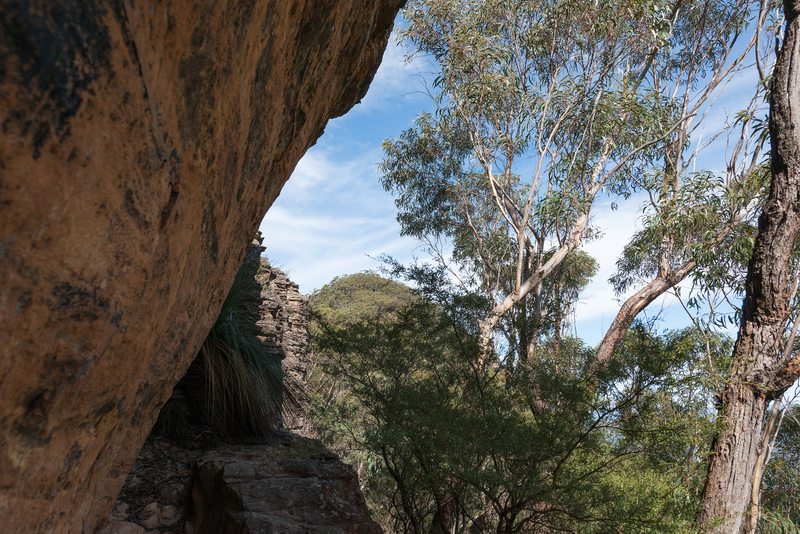 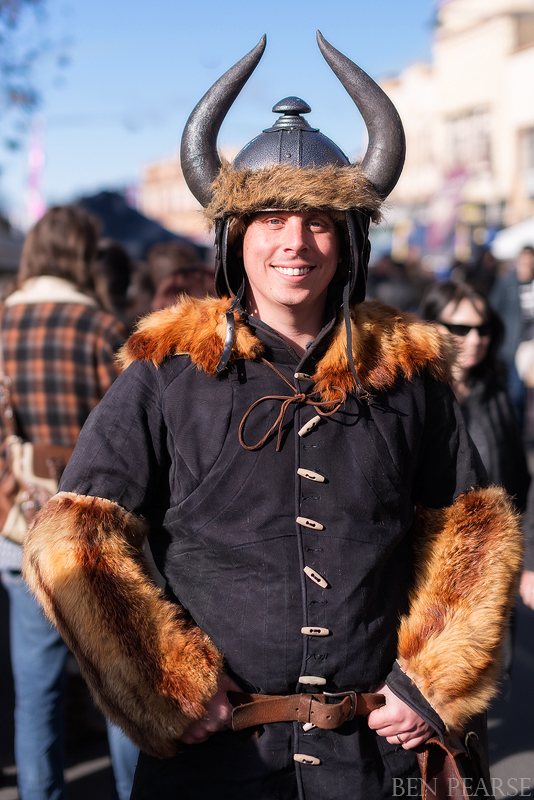 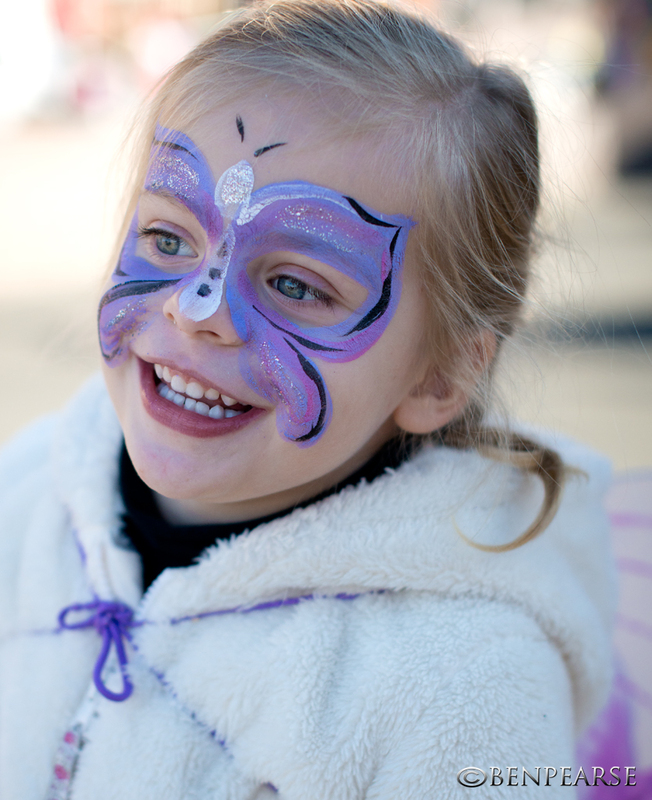 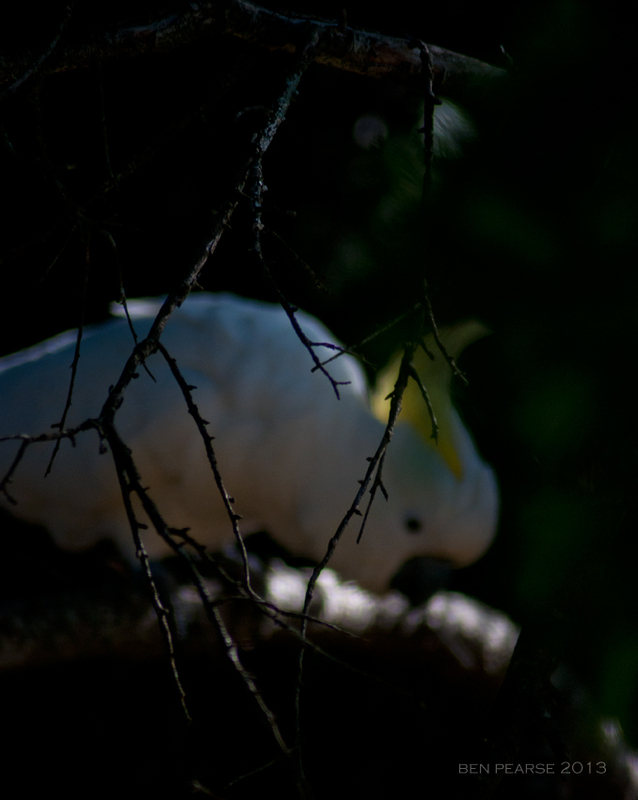 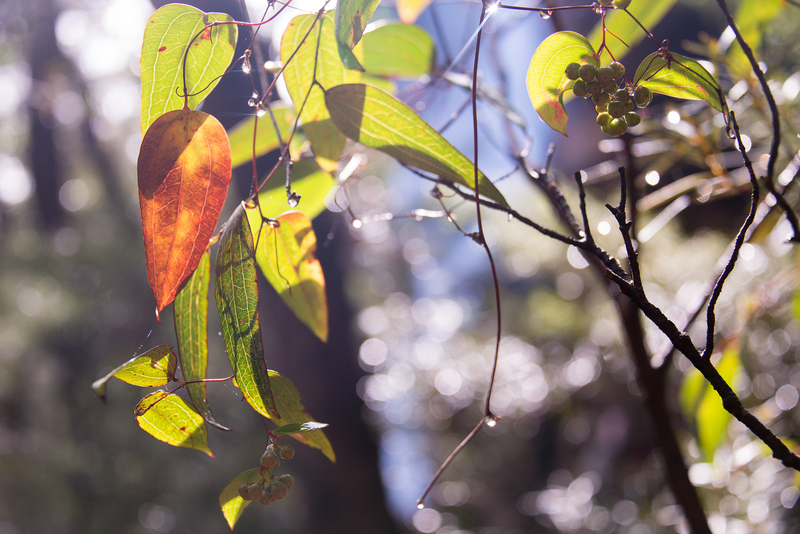 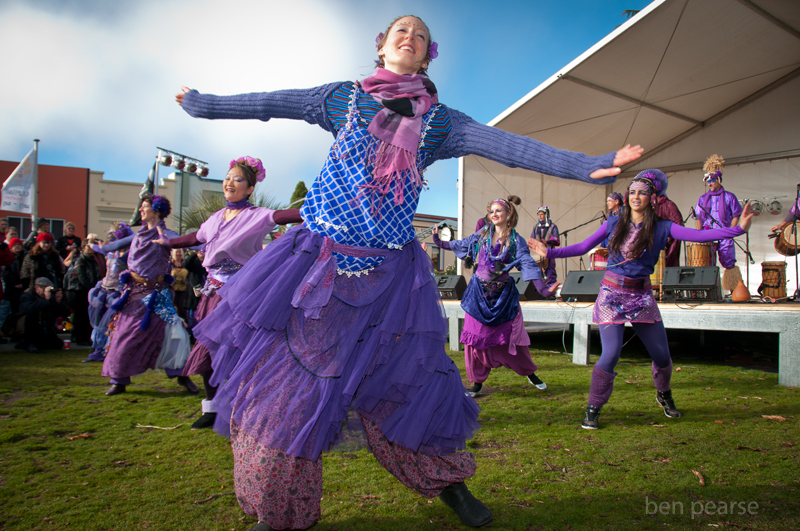 So sit back and scroll through some of the images that I have personally enjoyed capturing of the Blue Mountains Winter Magic Festival. 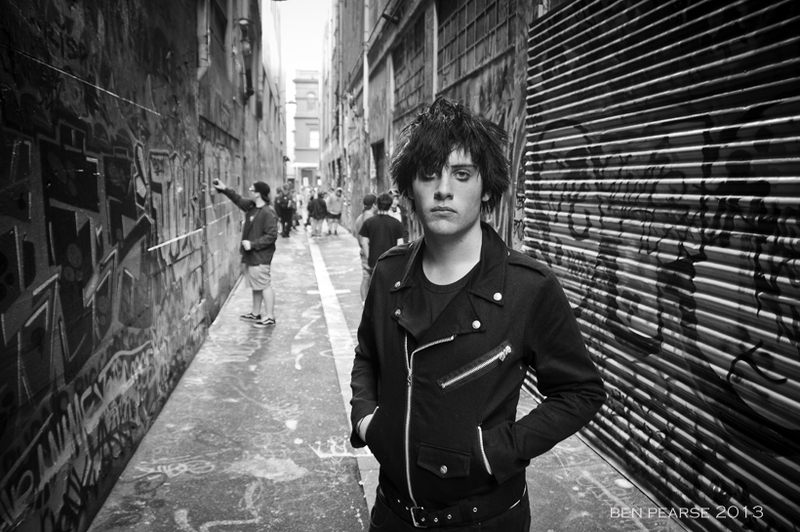 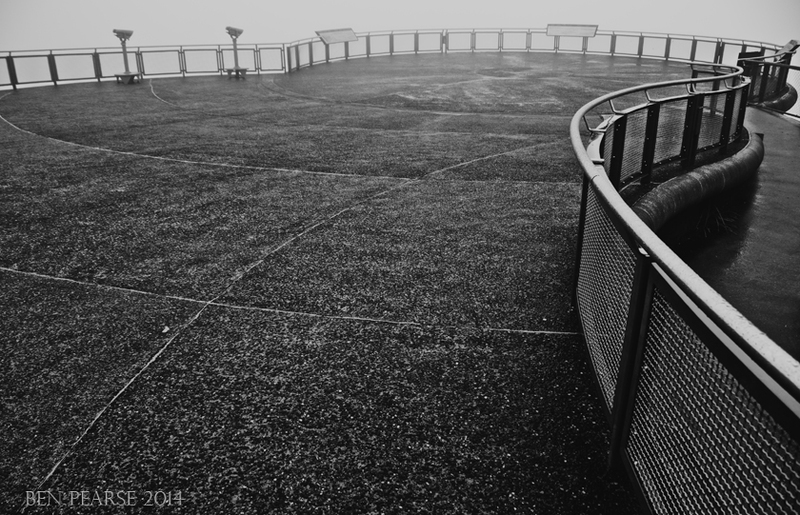 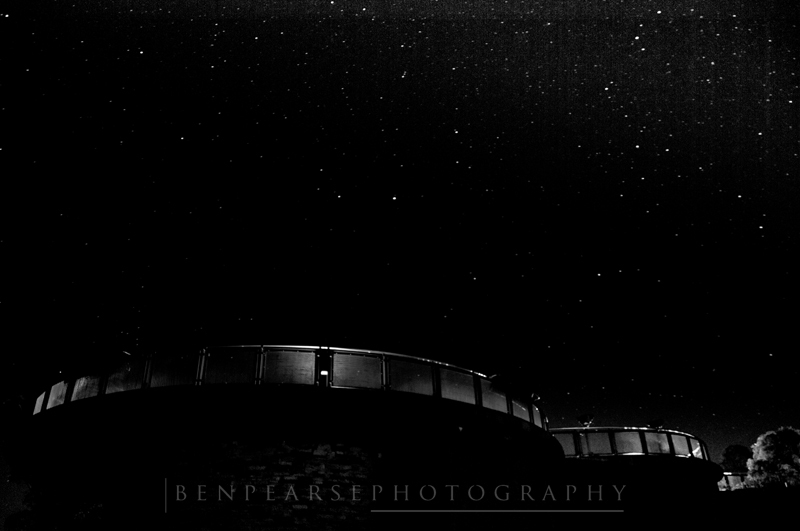 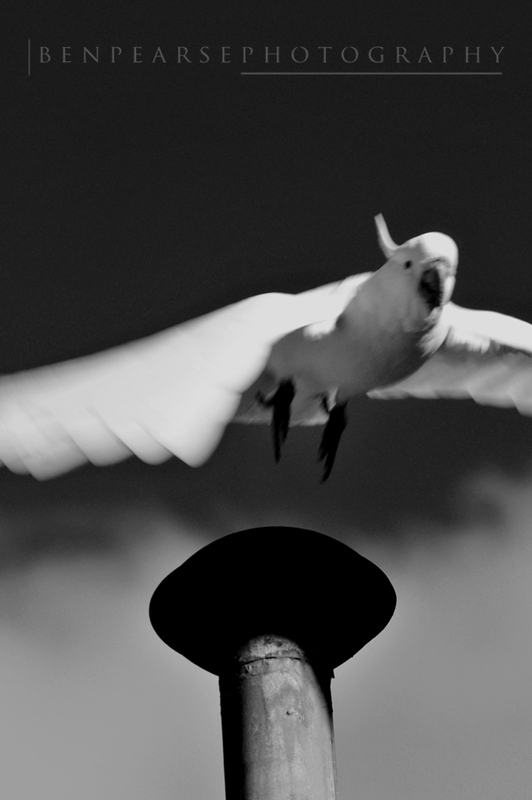 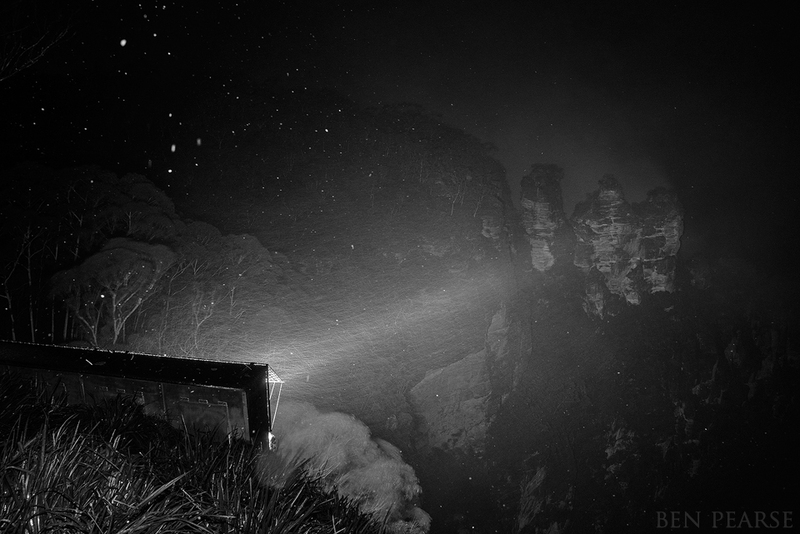 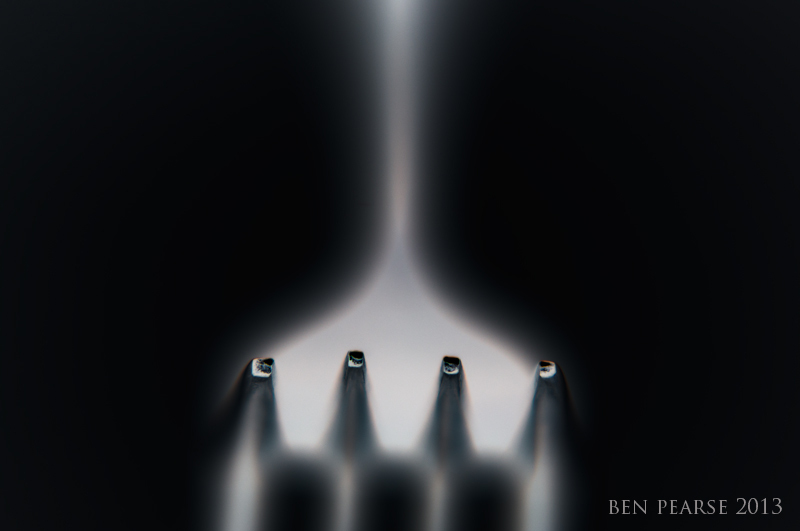 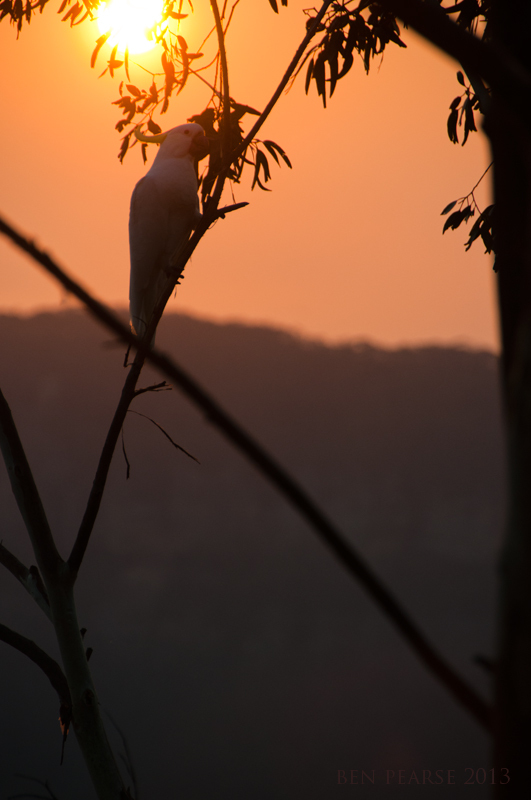 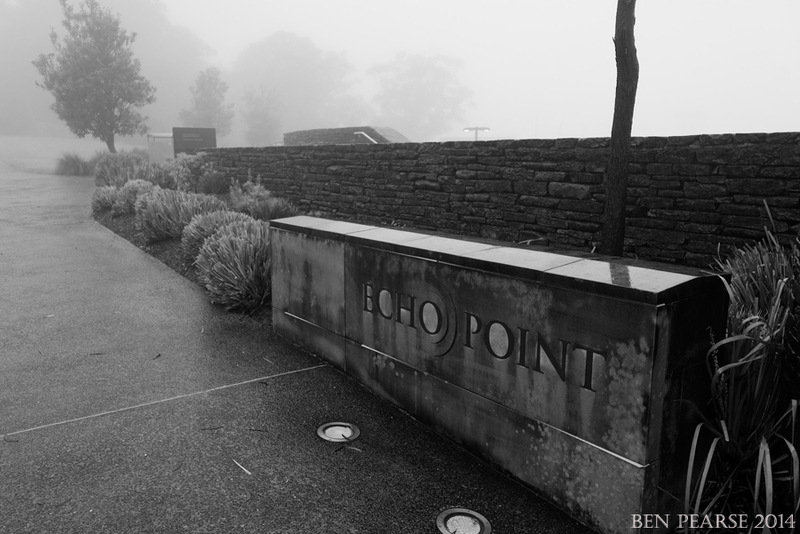 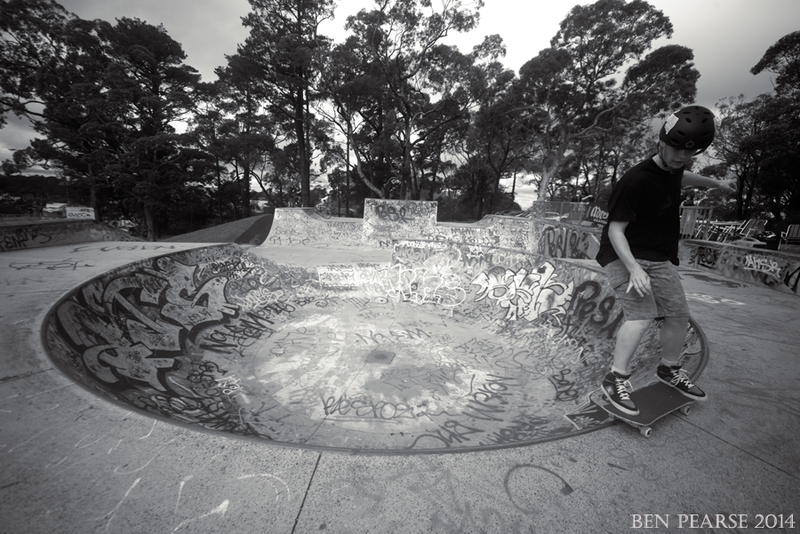 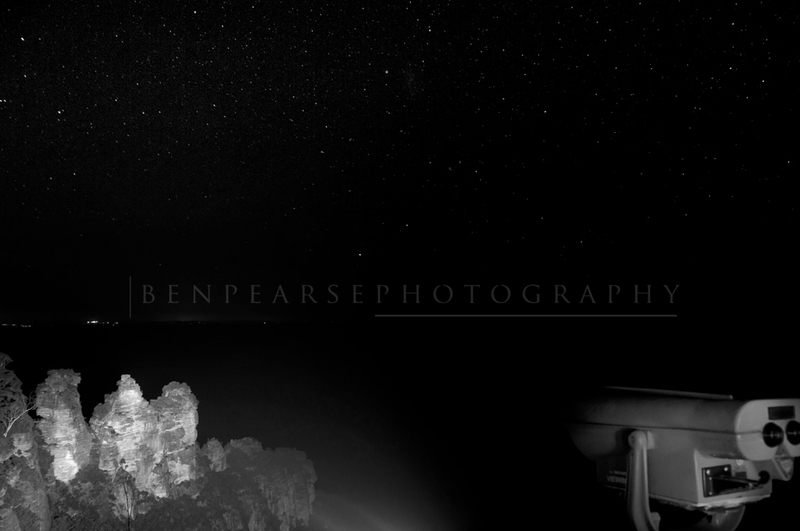 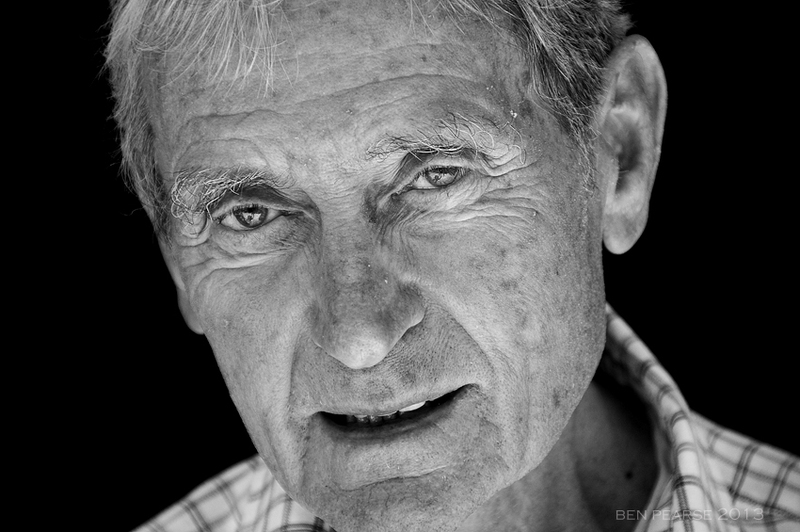 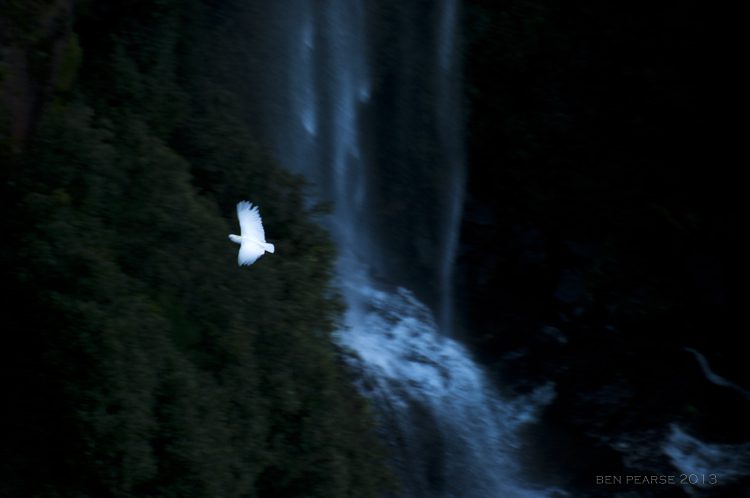 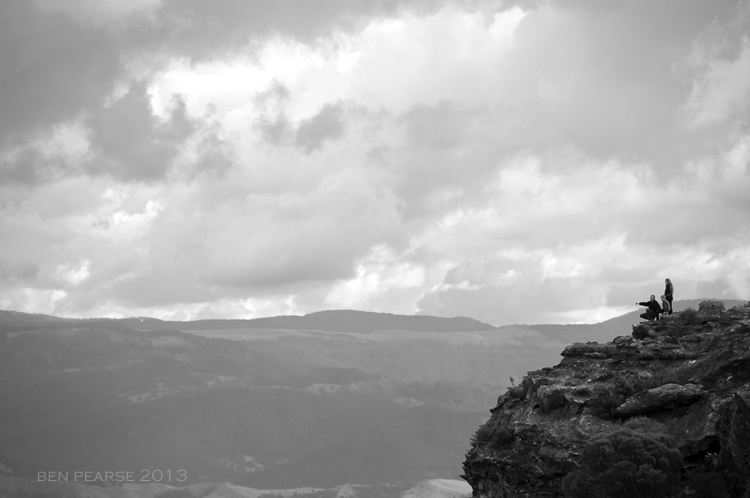 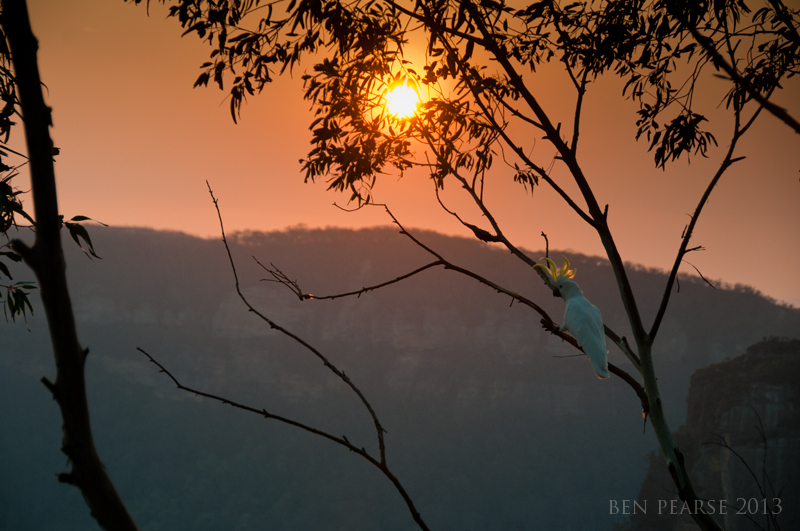 I hope to see you there next year…..
what goes up must come down..
About Ben- Ben Pearse is a commercial and portrait from Katoomba in the Blue Mountains. 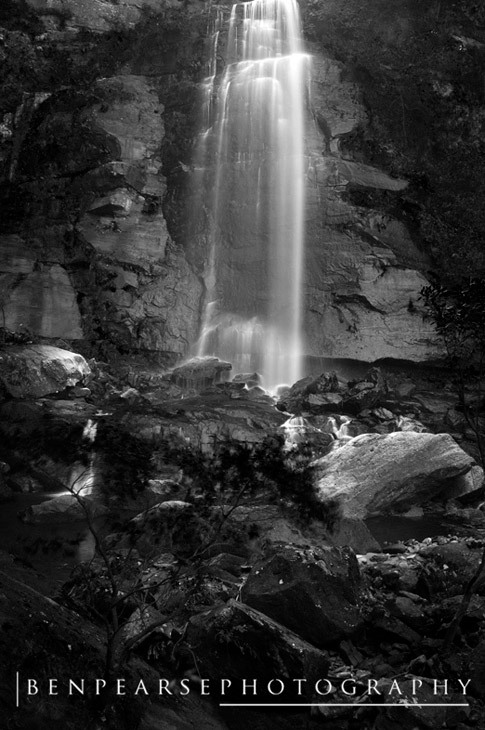 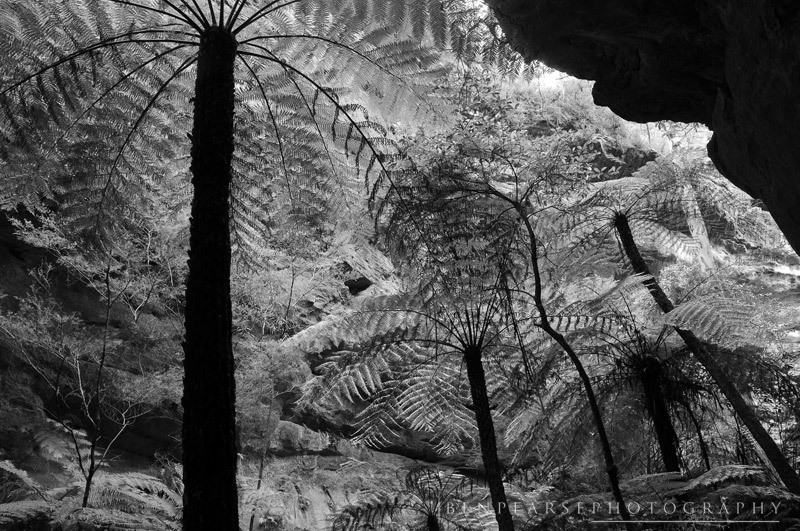 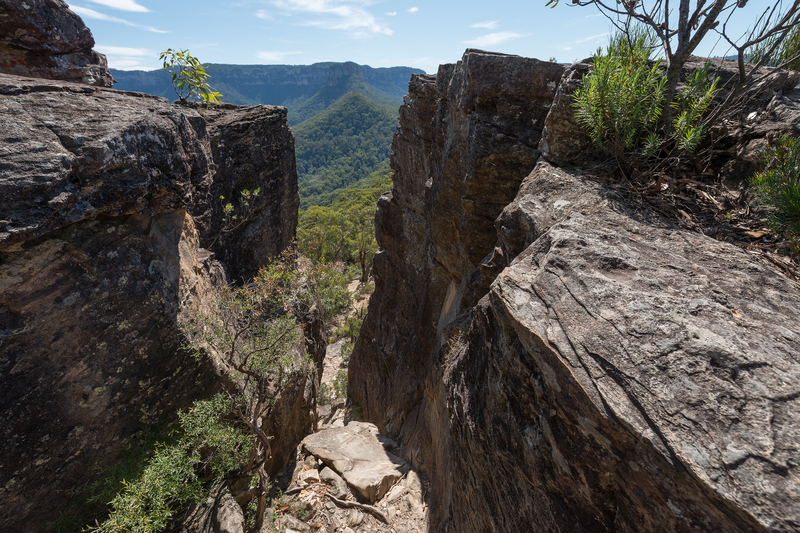 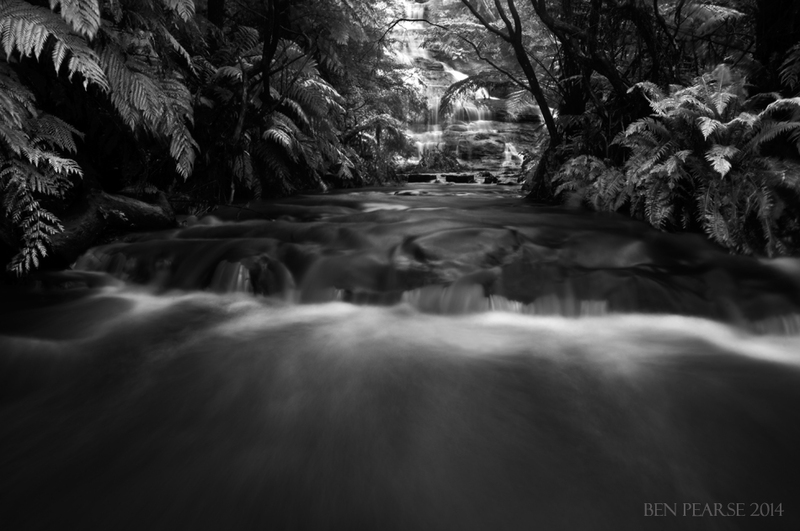 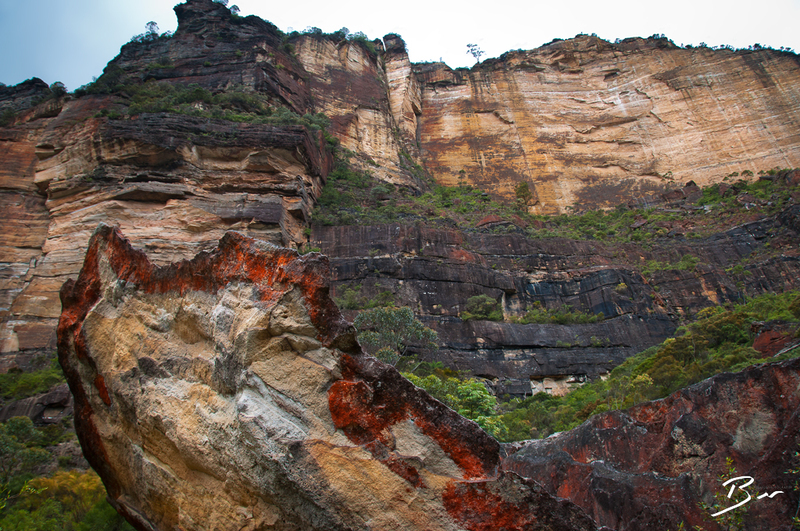 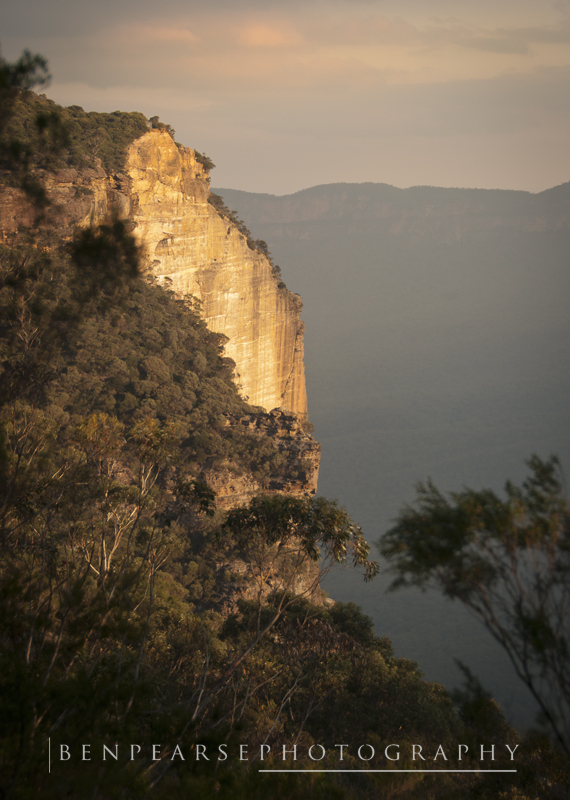 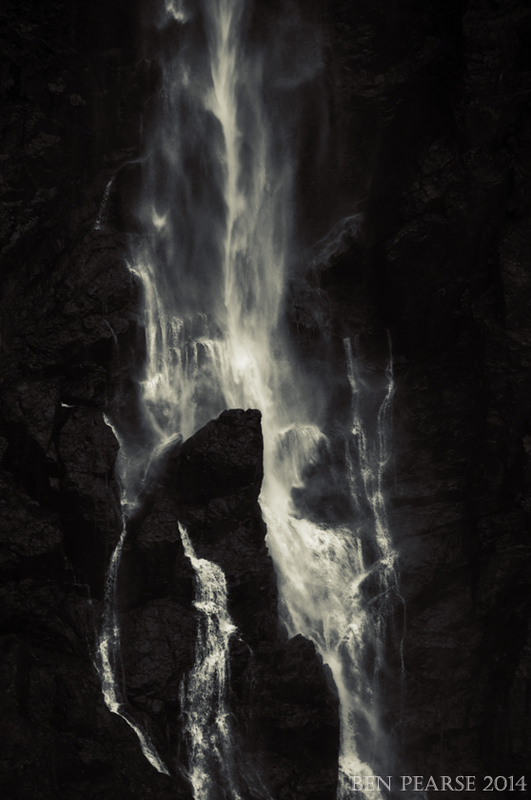 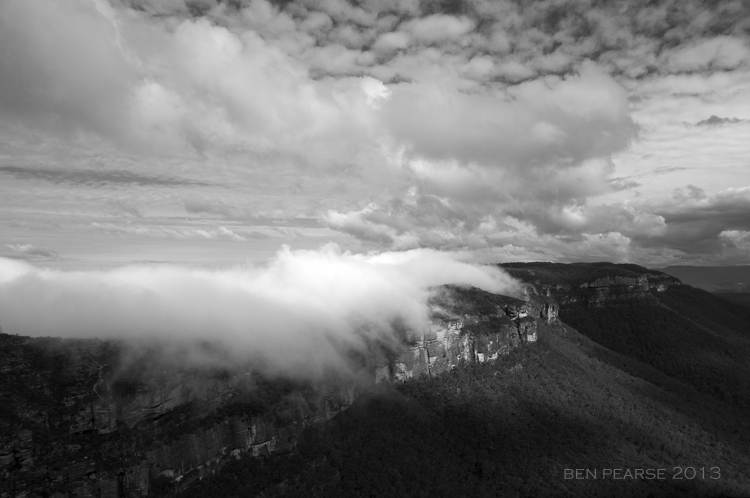 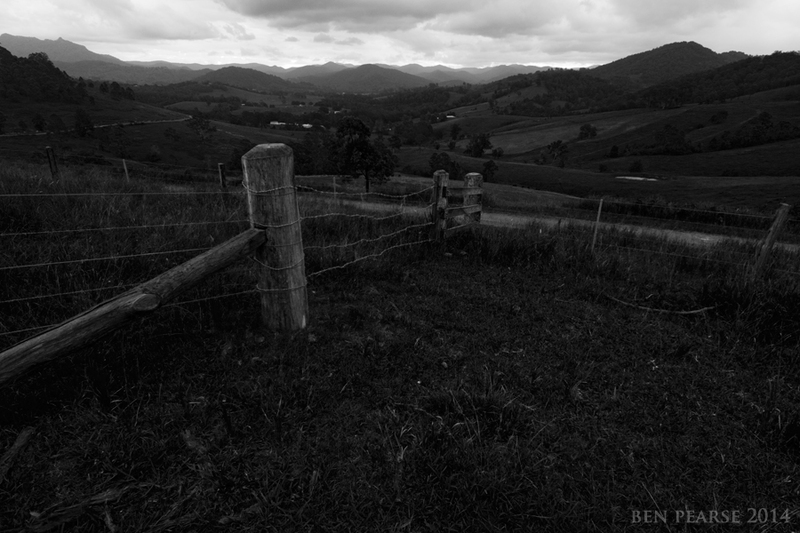 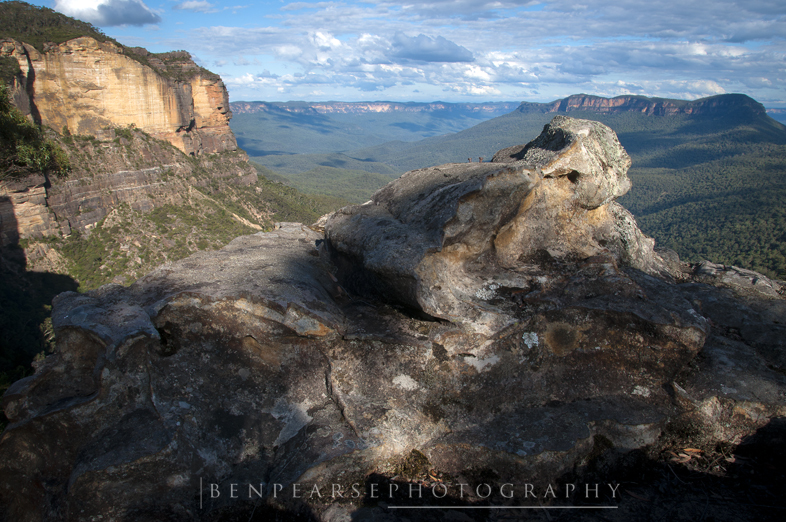 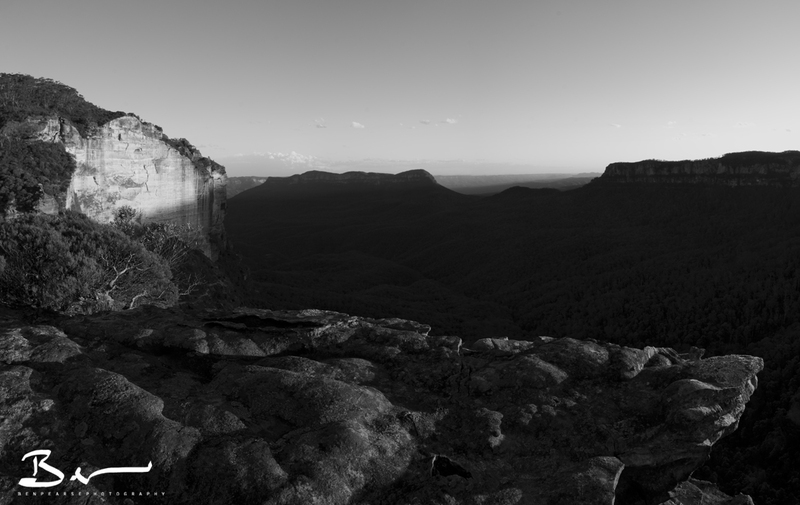 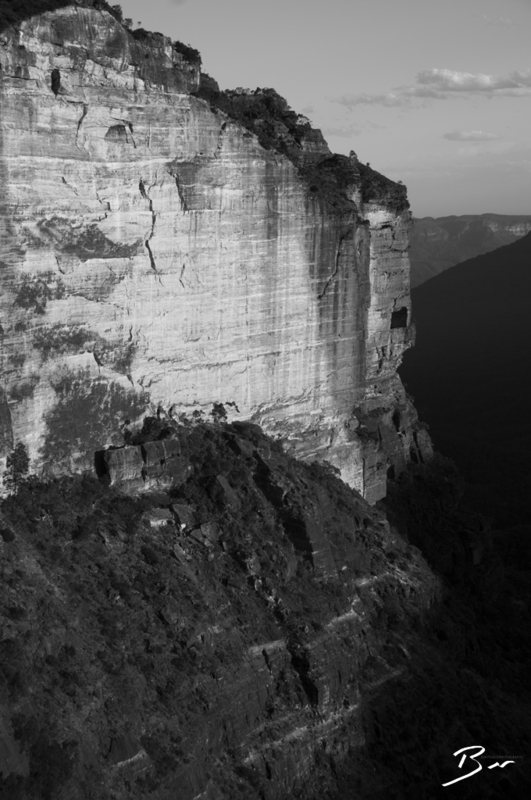 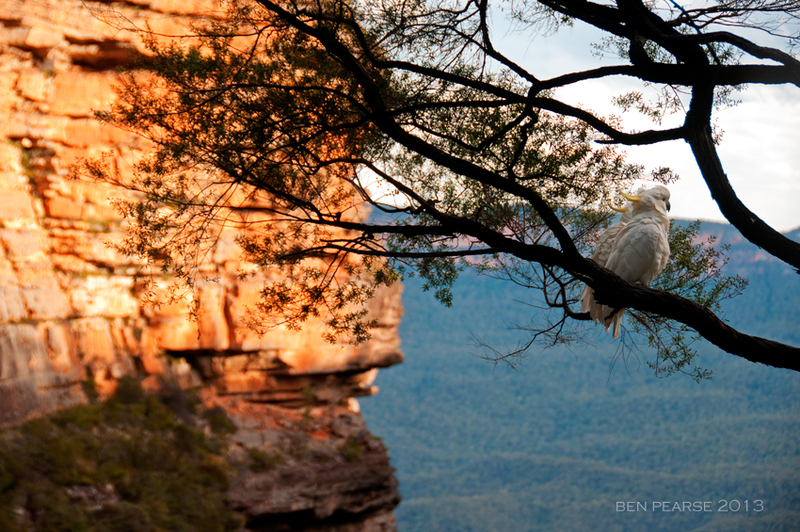 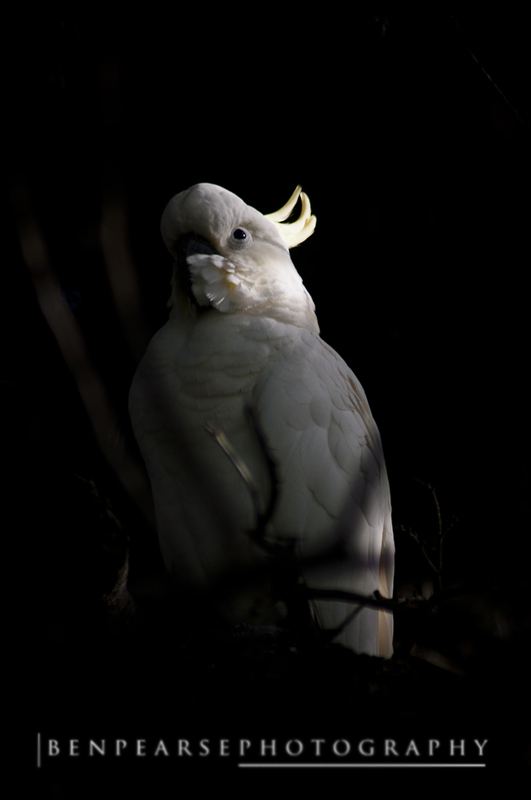 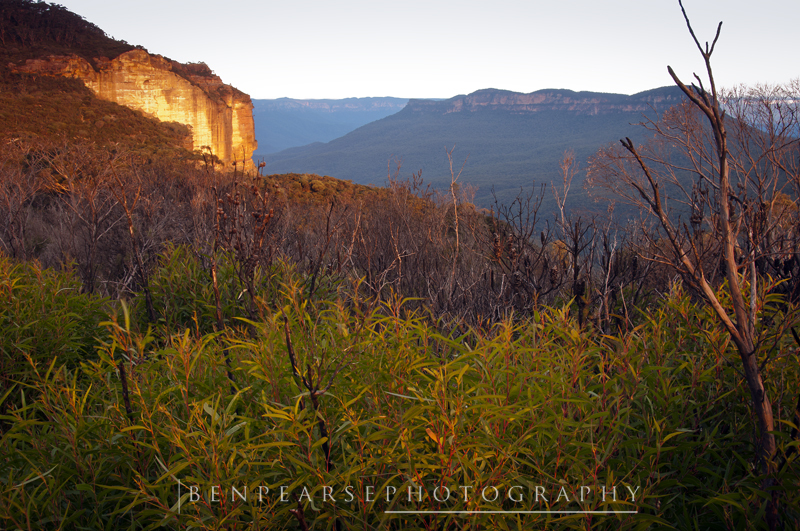 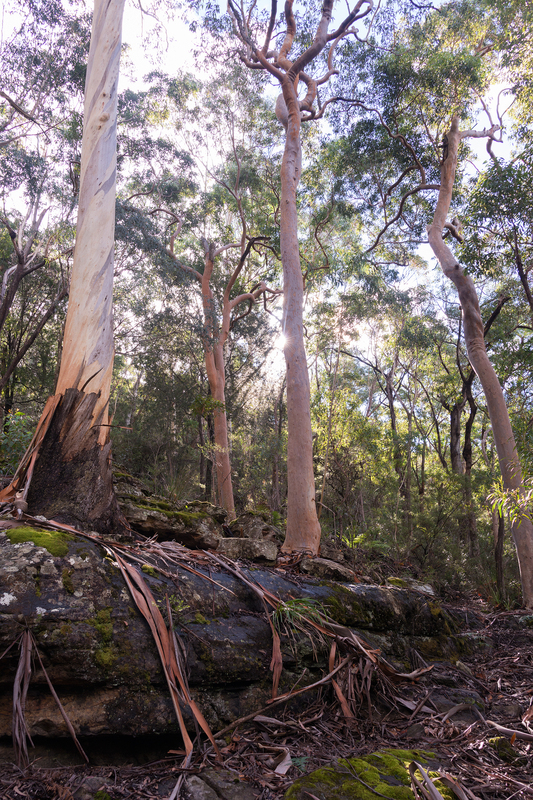 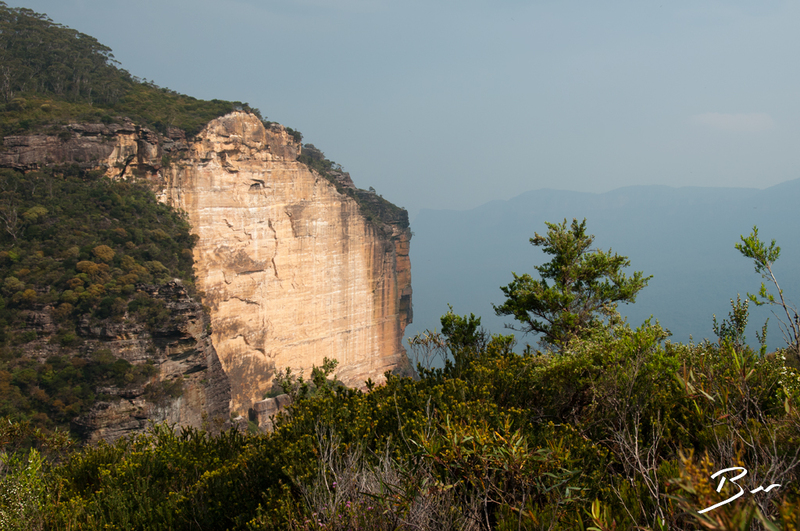 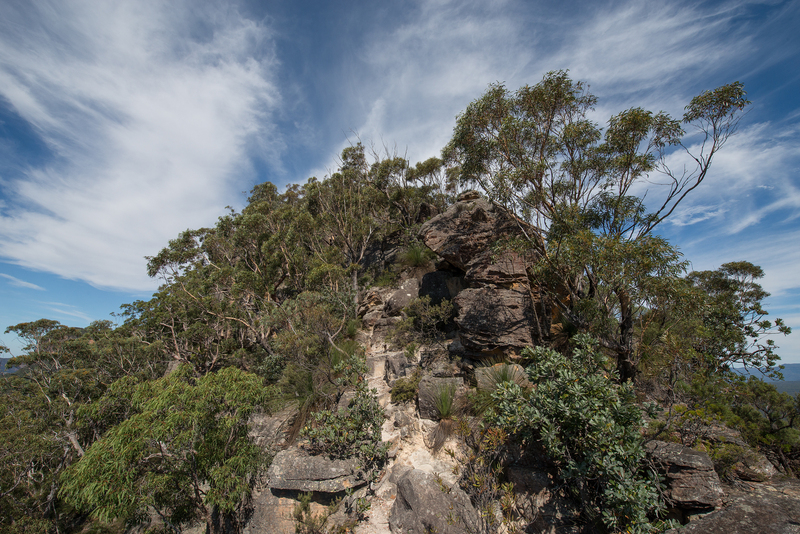 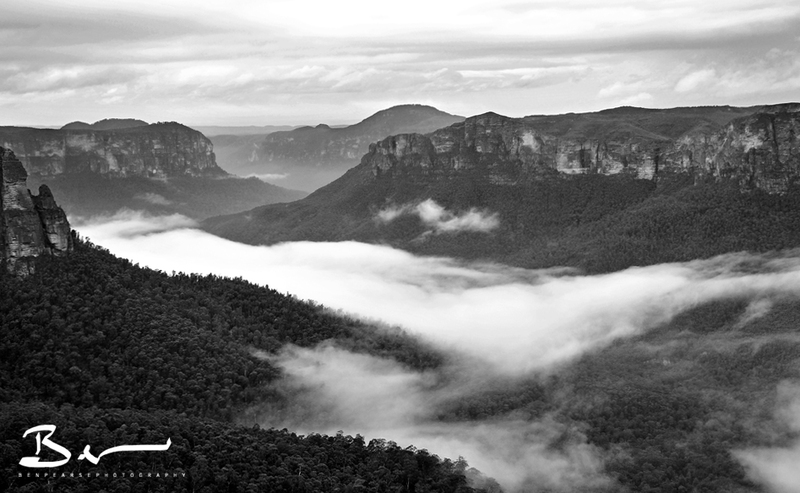 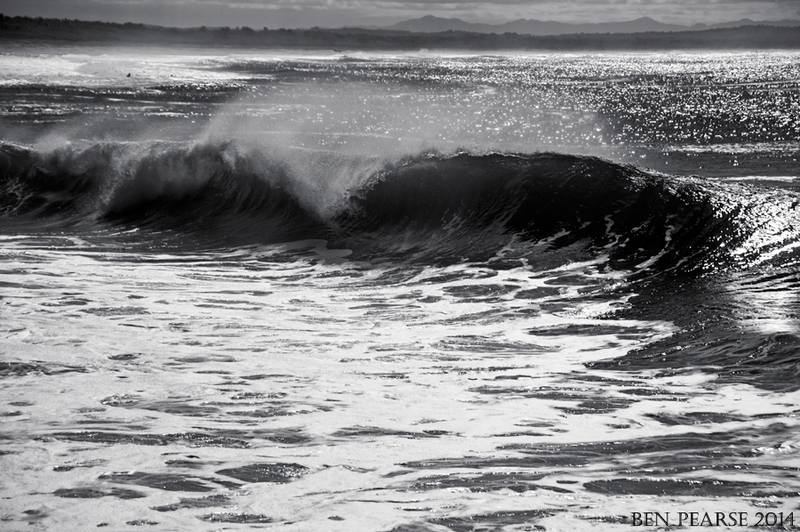 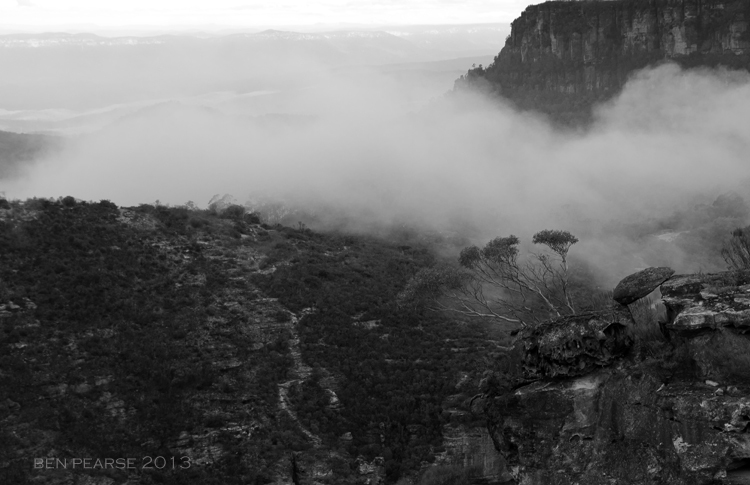 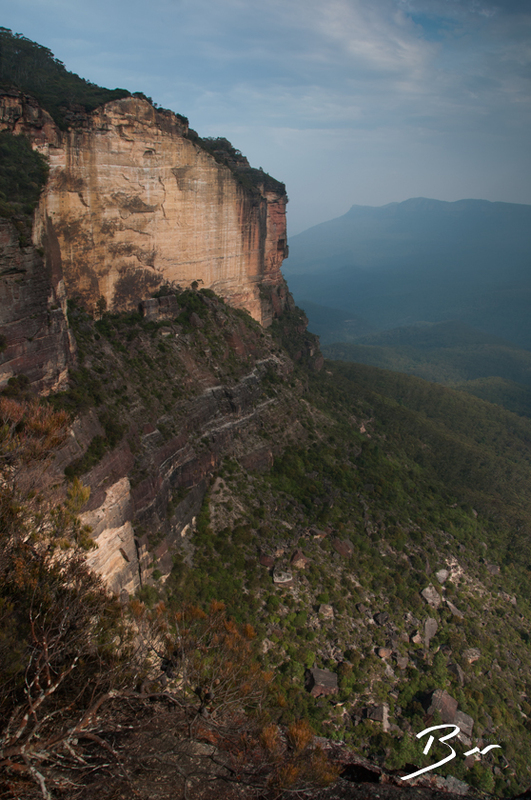 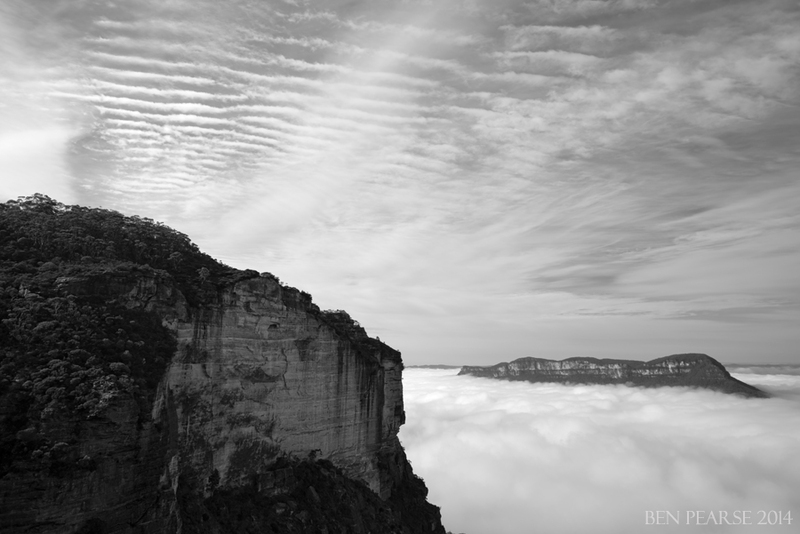 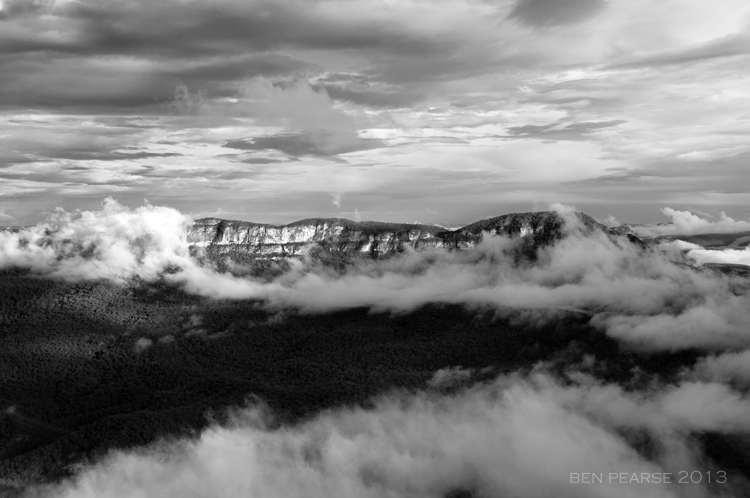 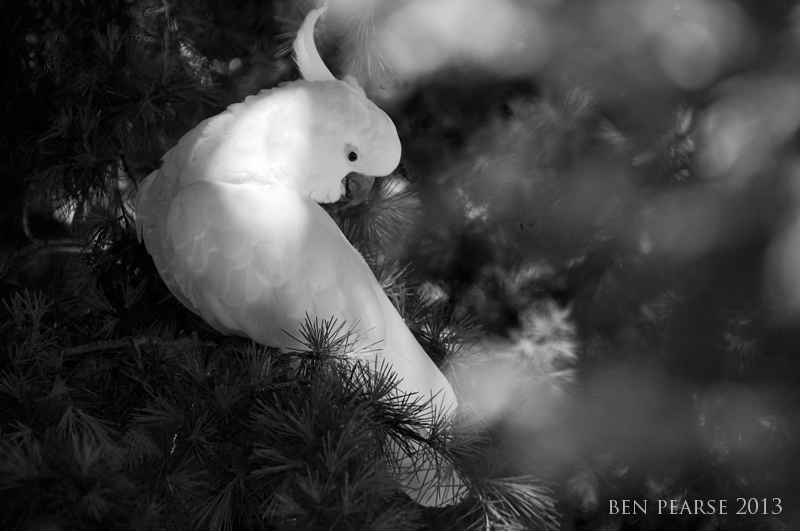 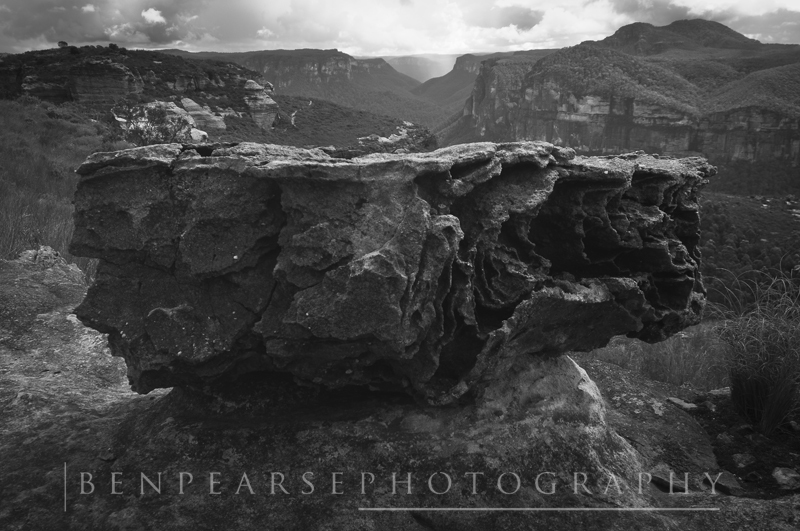 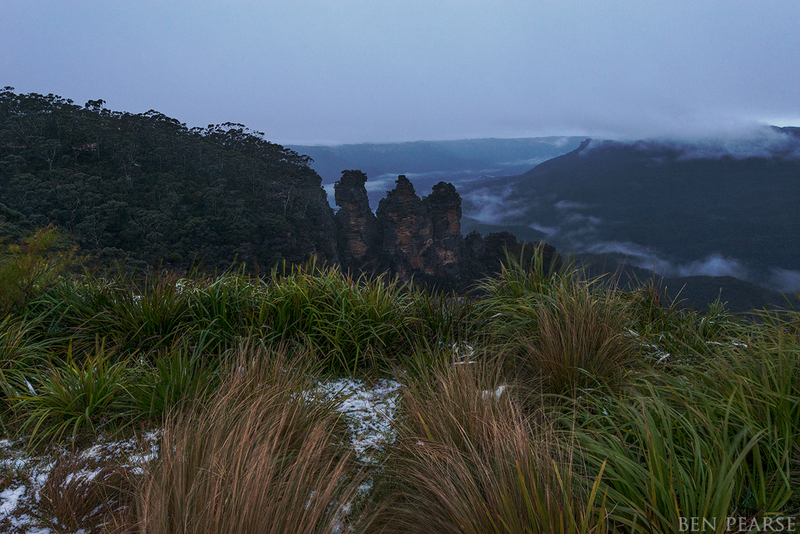 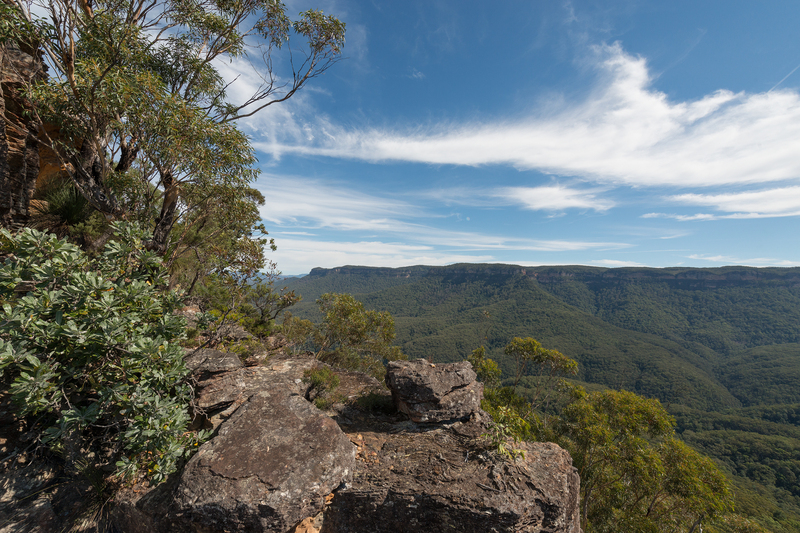 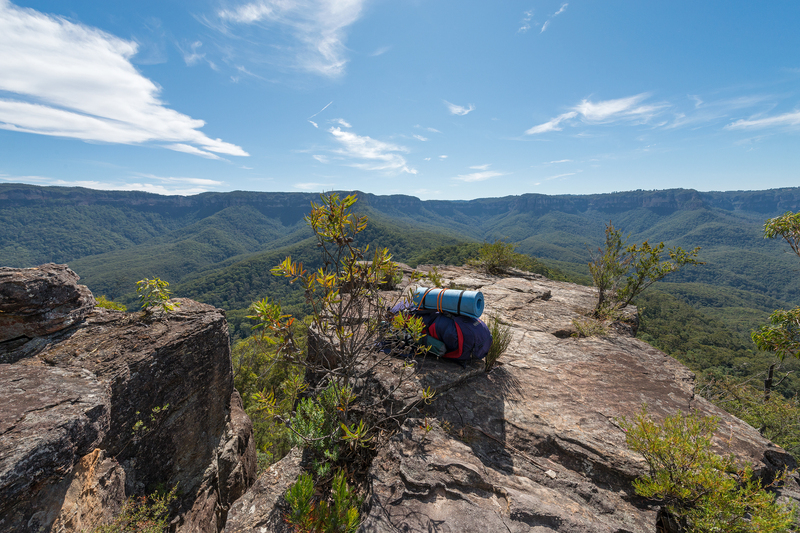 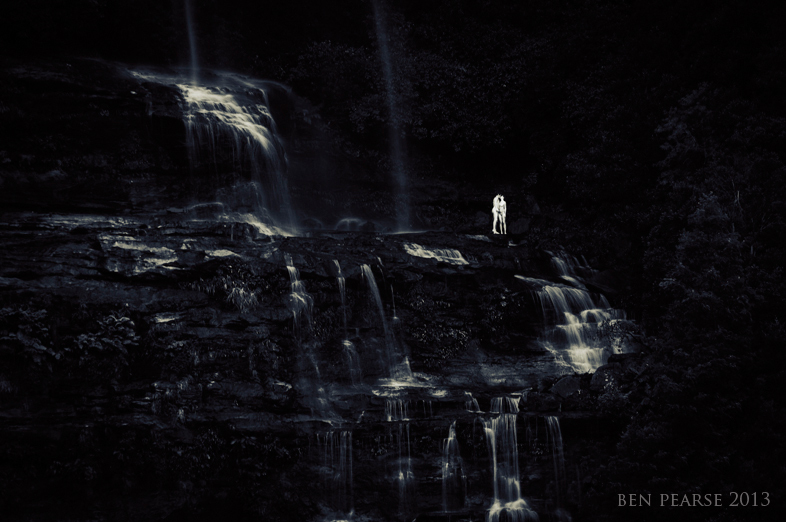 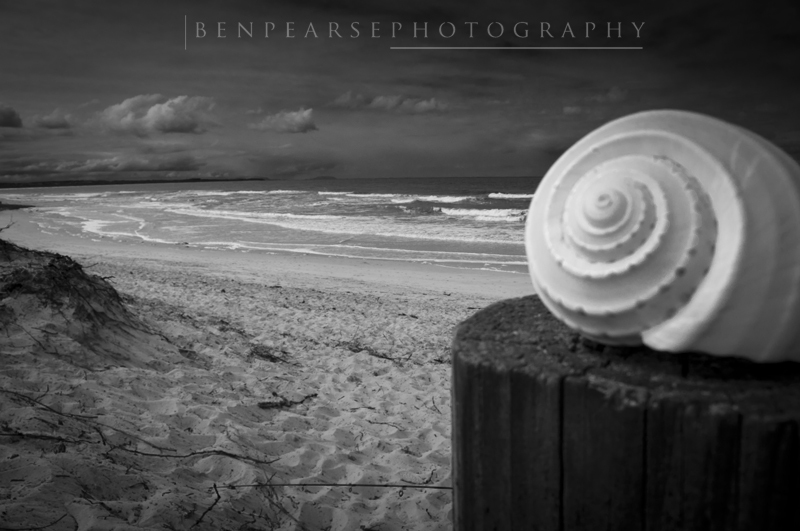 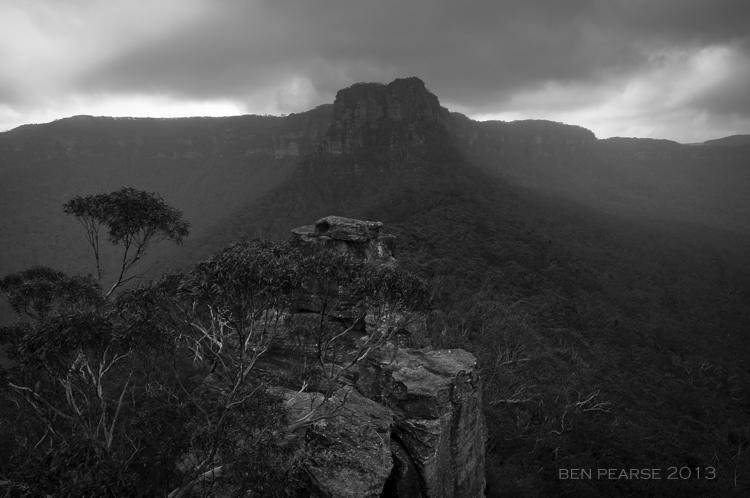 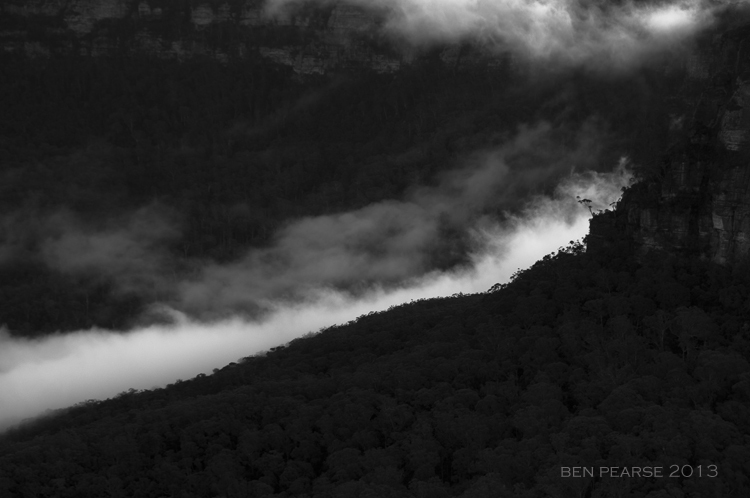 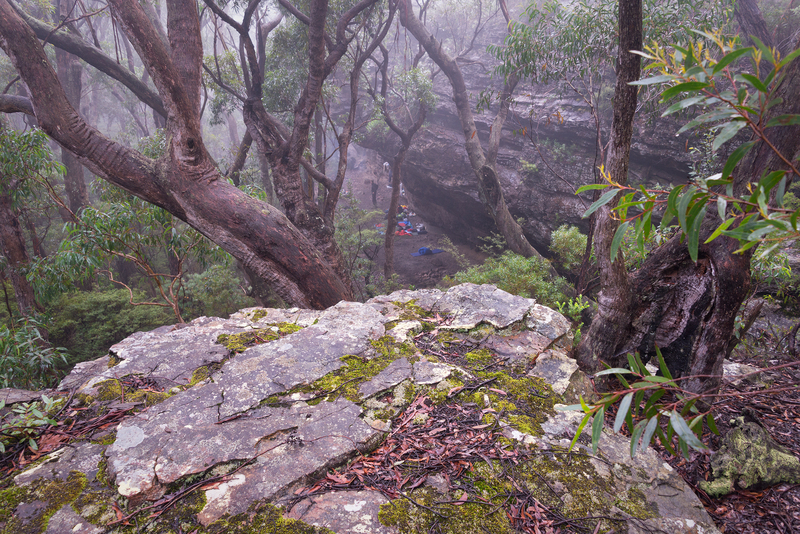 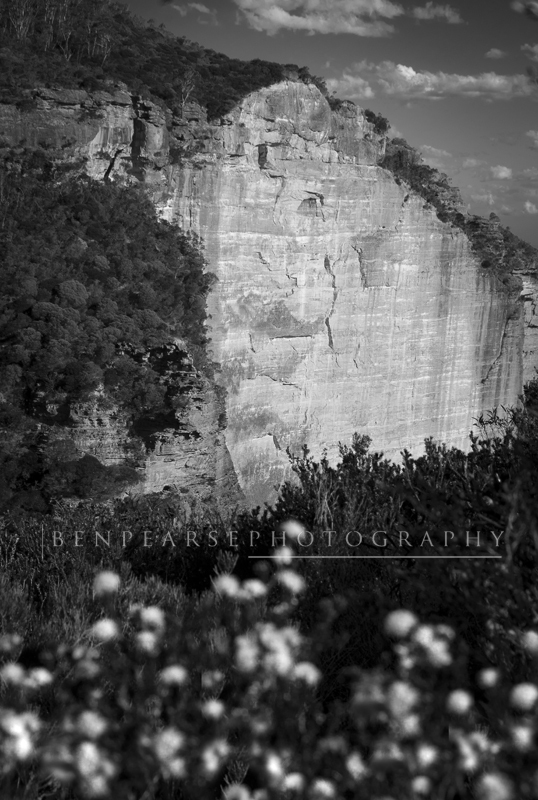 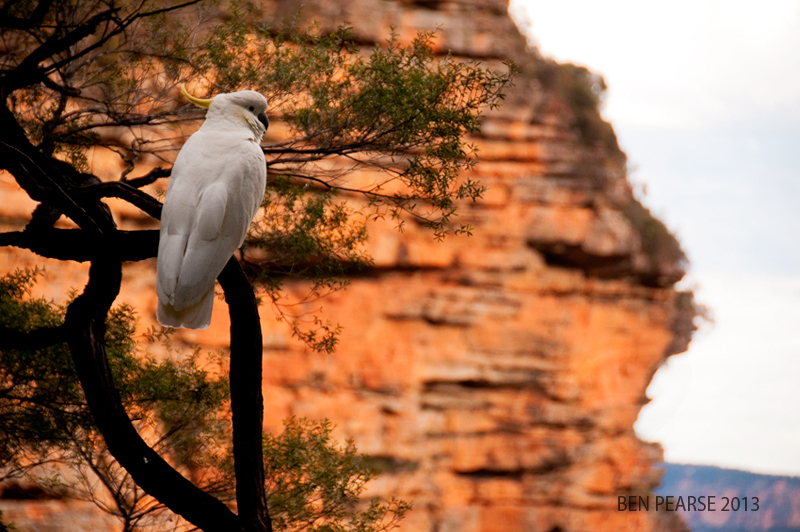 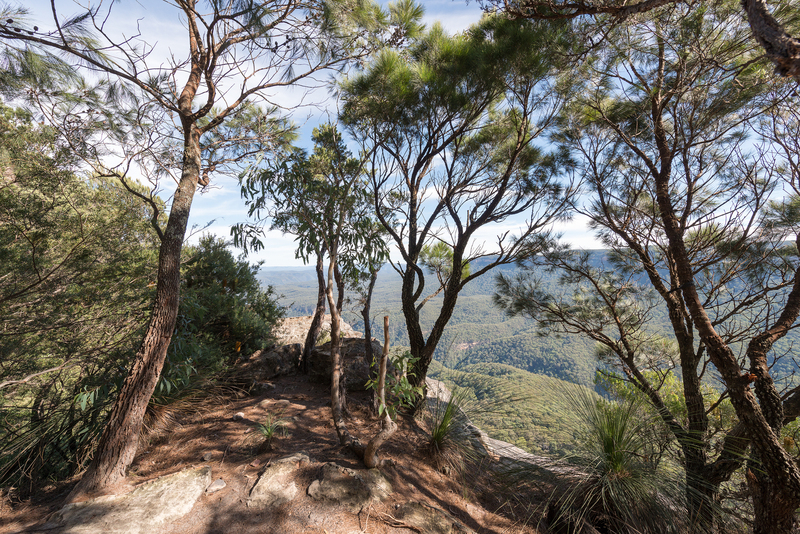 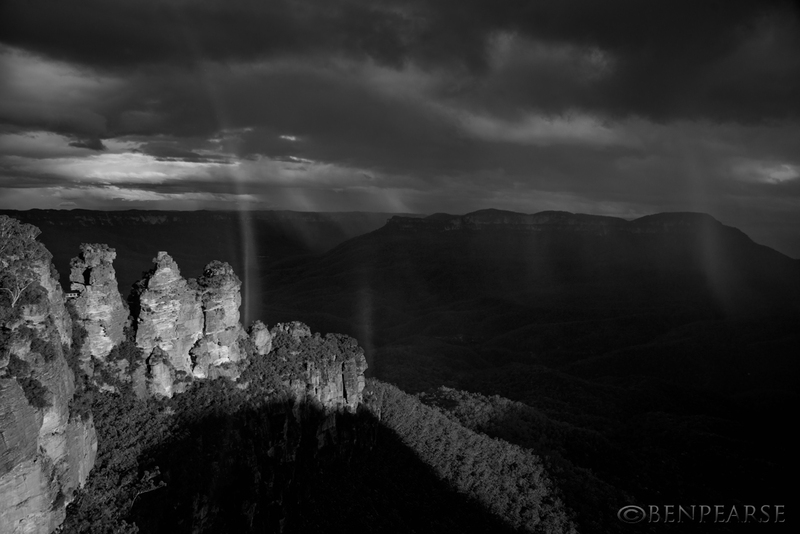 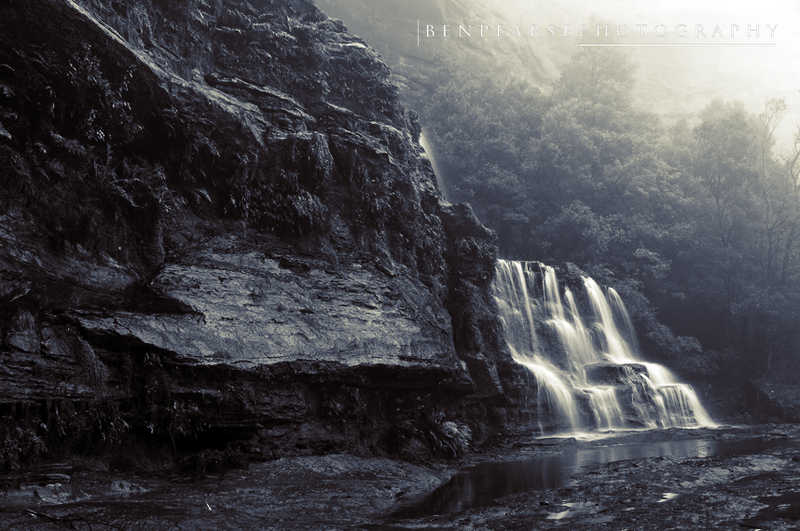 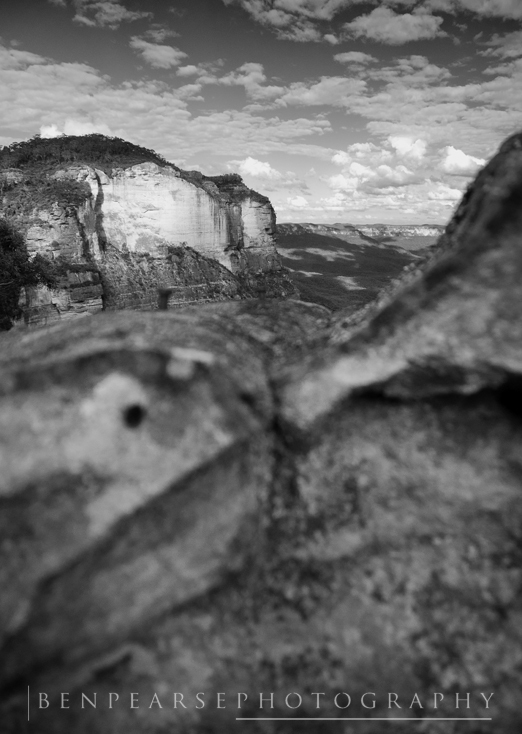 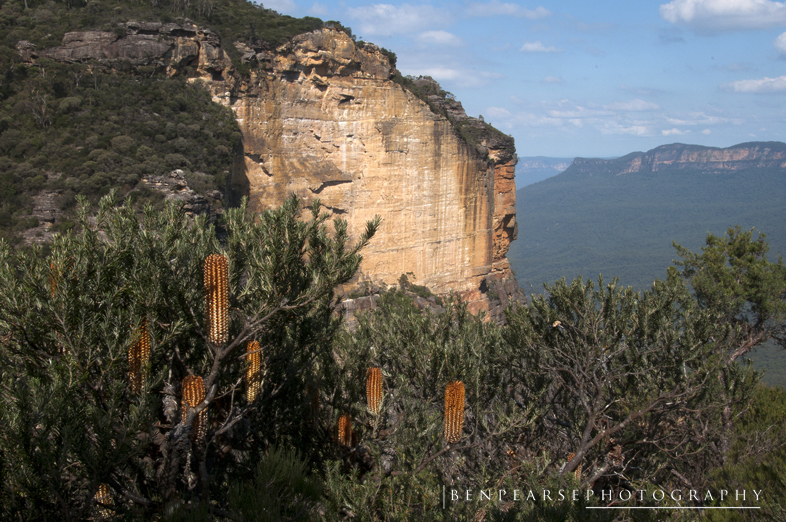 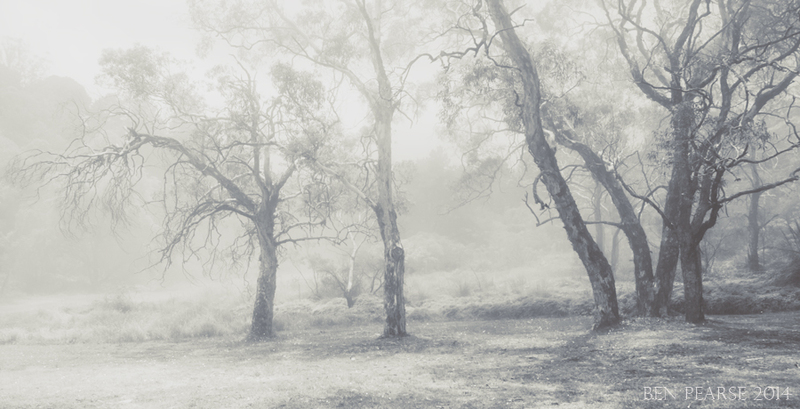 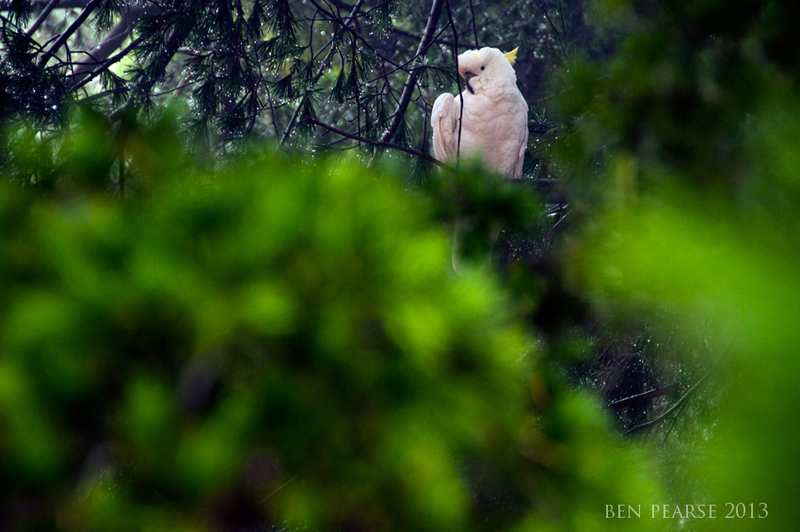 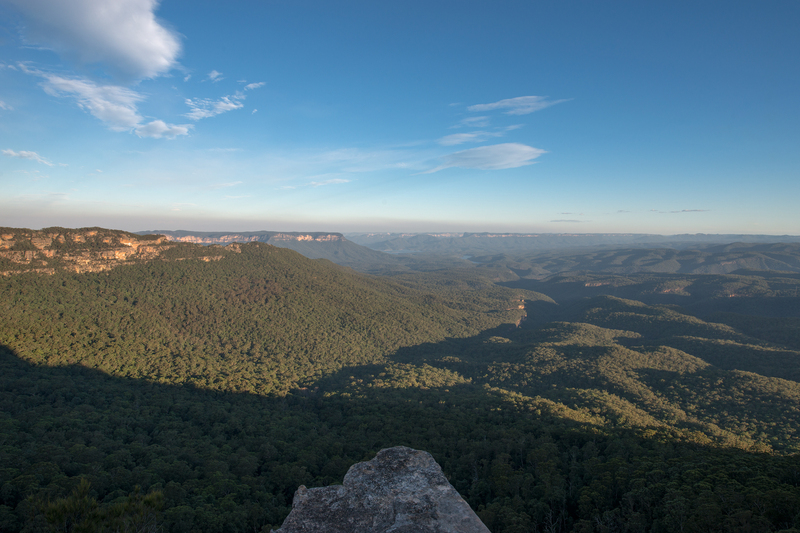 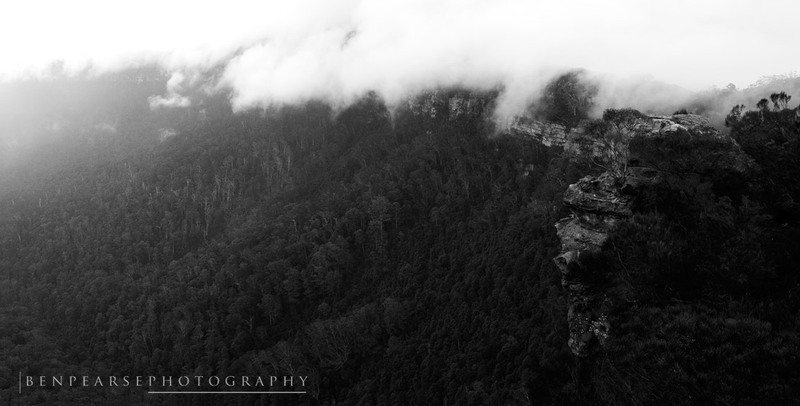 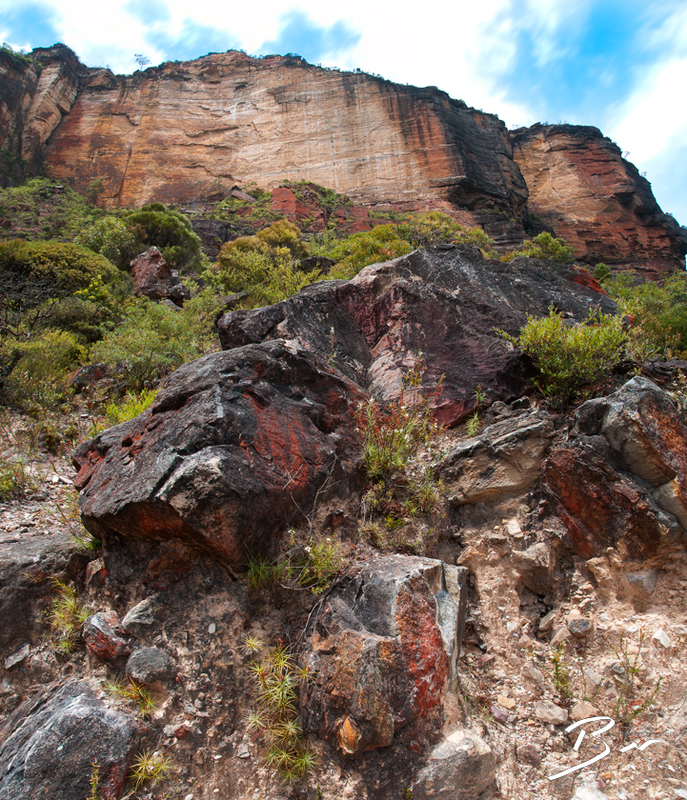 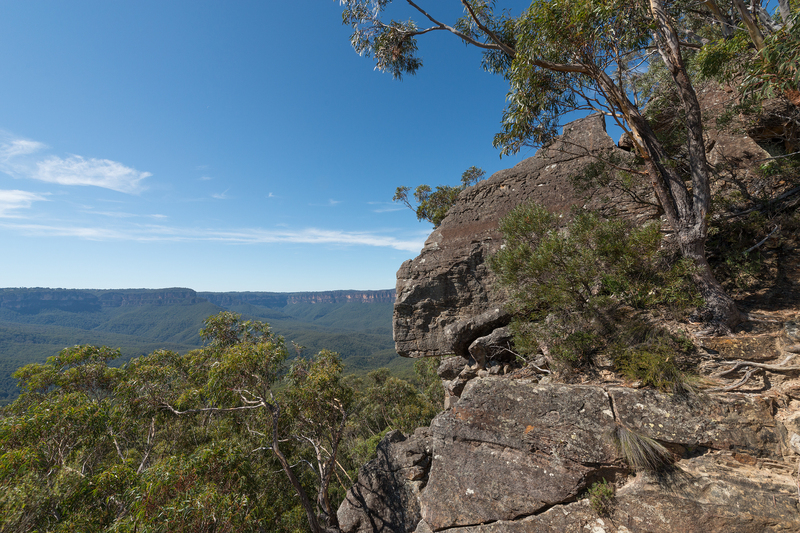 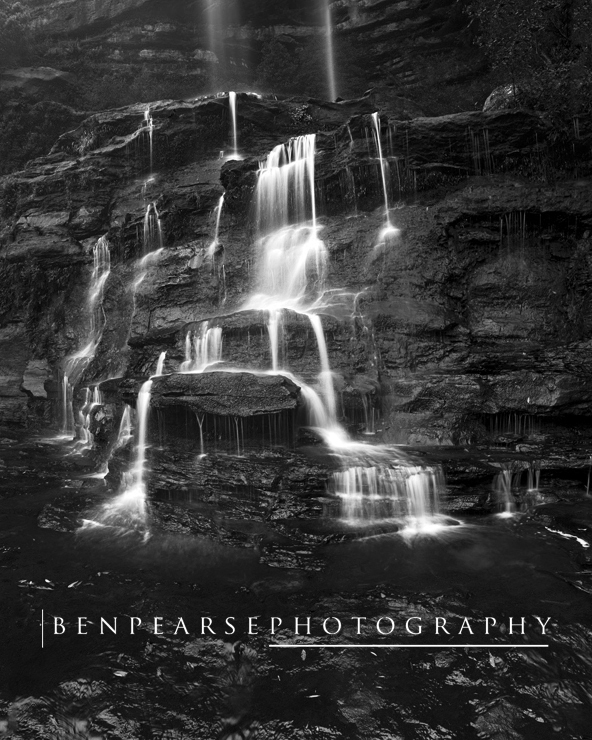 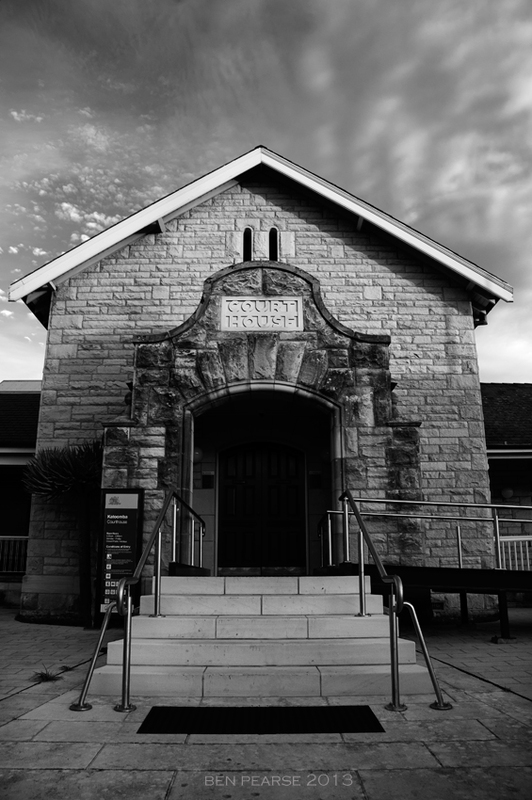 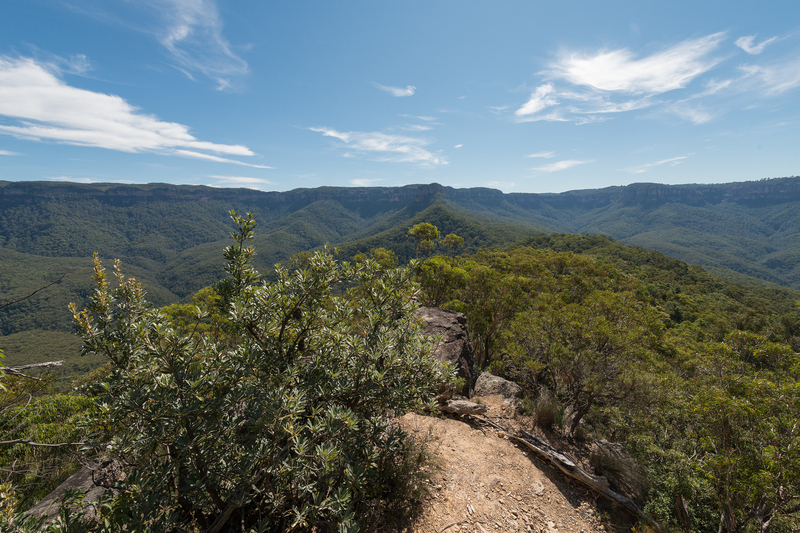 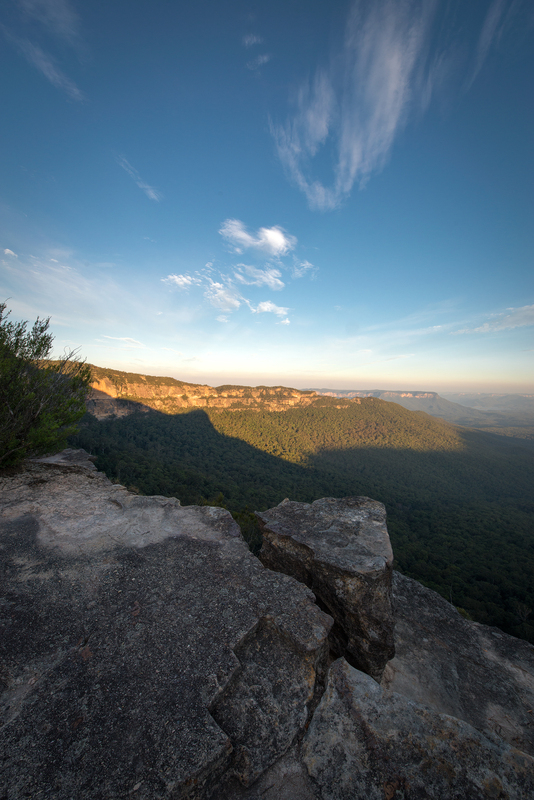 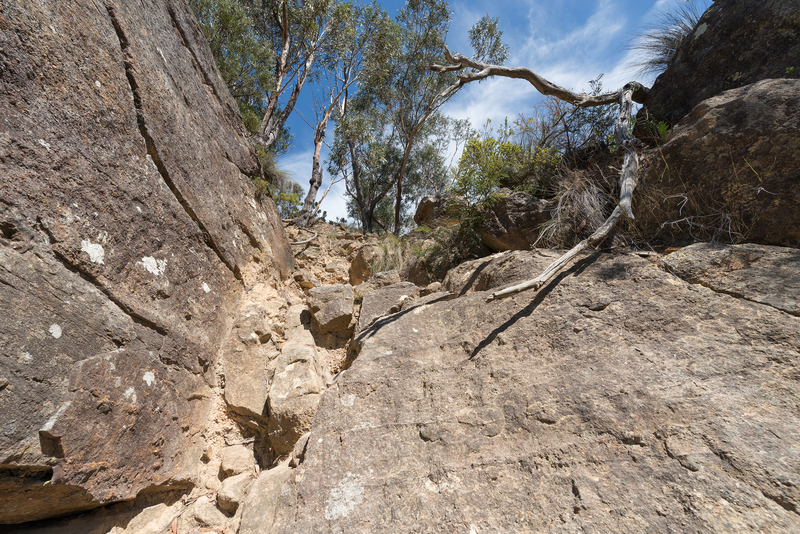 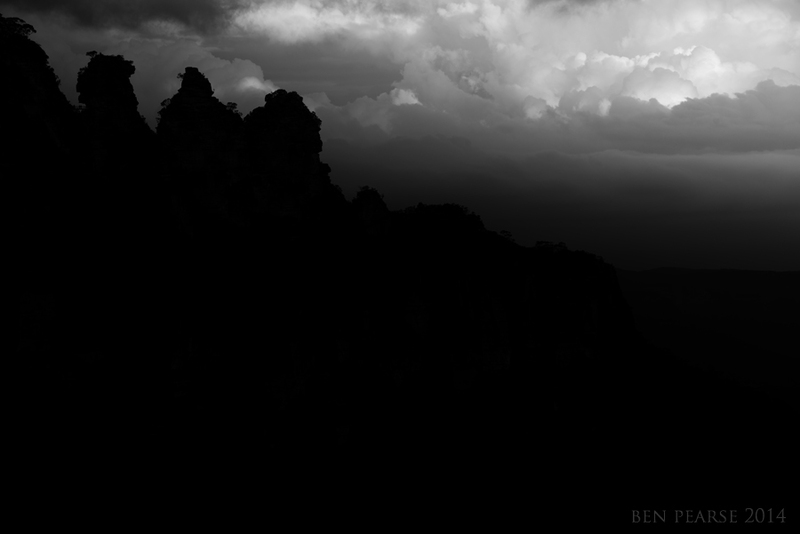 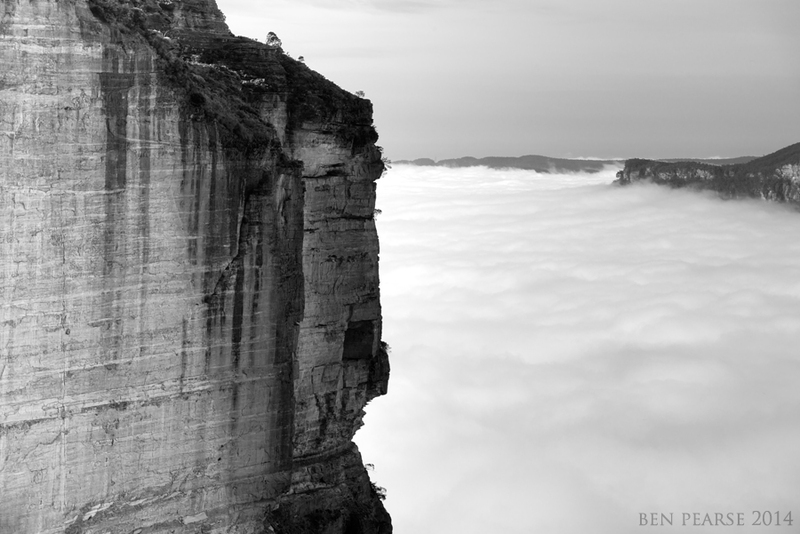 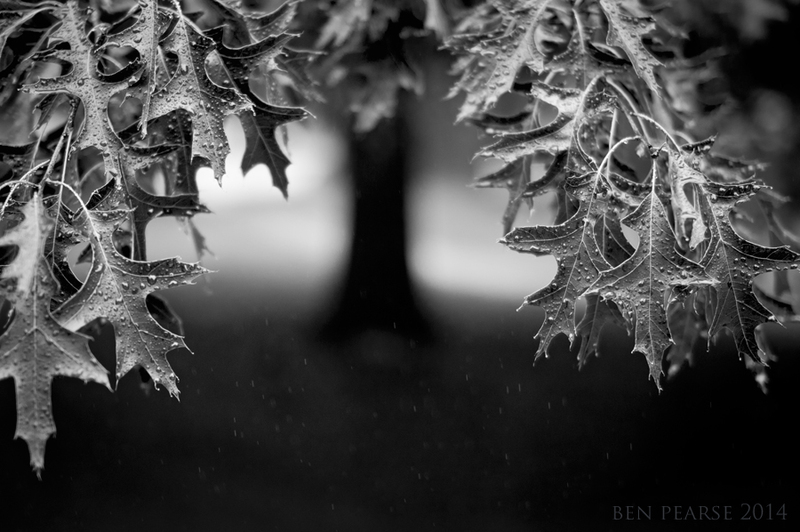 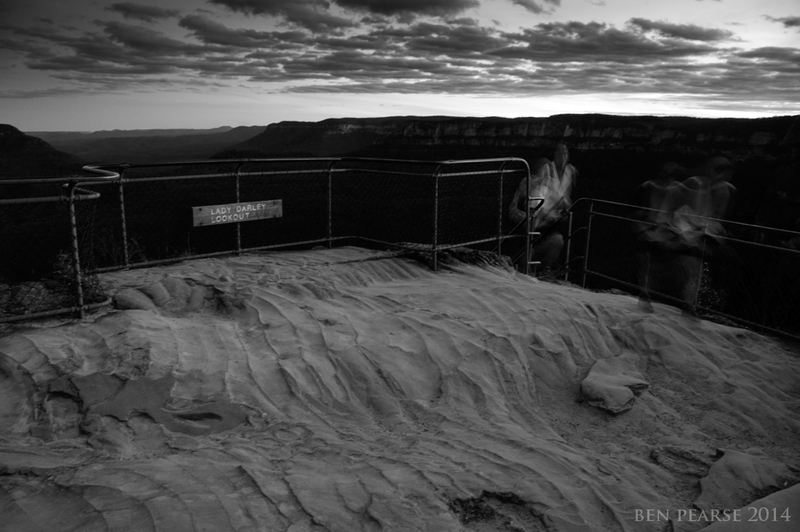 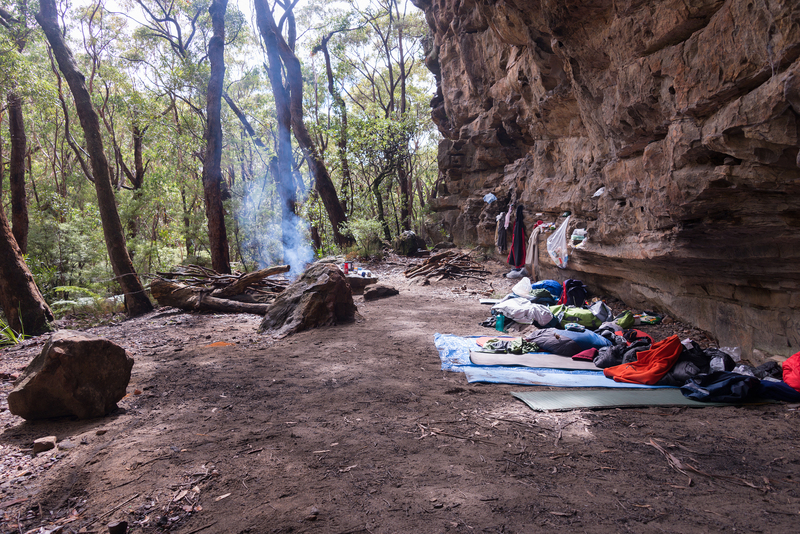 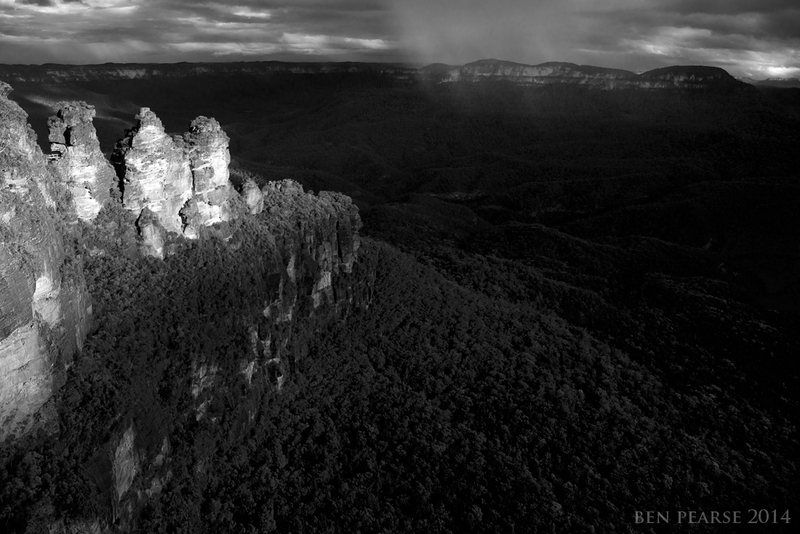 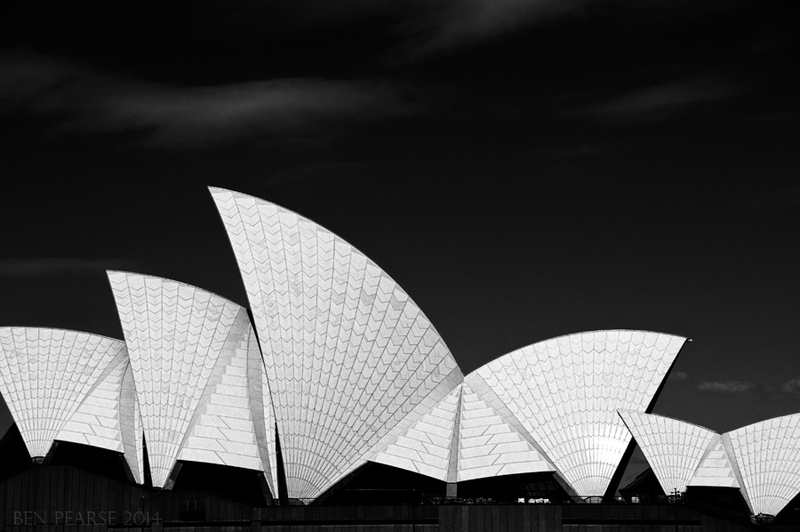 Ben works from his home portrait studio in Katoomba and also sells and licenses his large portfolio of landscape images of the Blue Mountains, Australia. 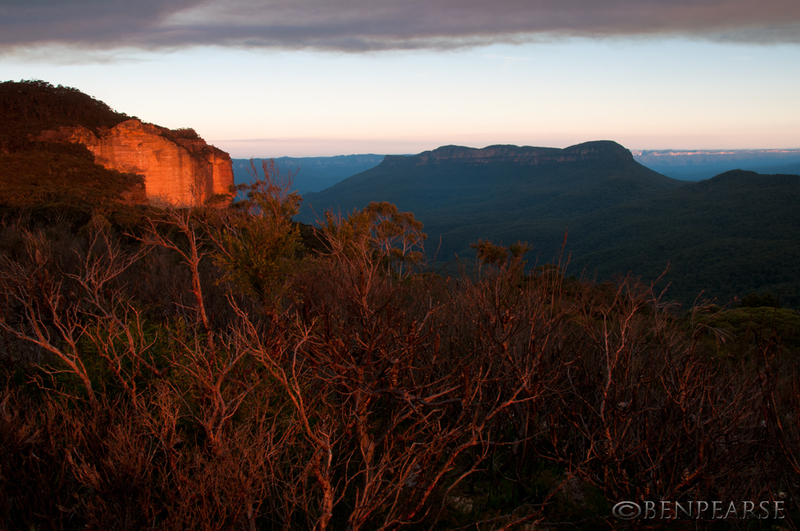 Sometimes I feel that colour doesn’t always do a photo justice. 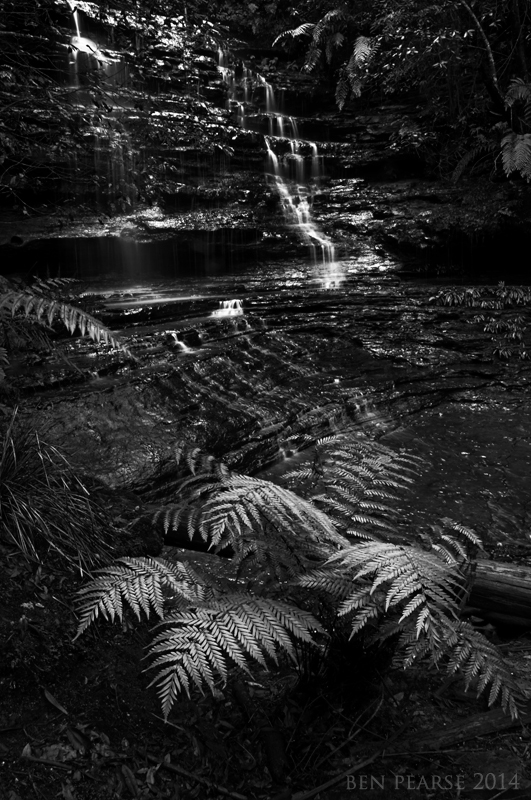 In order to truly see what is in some photos, you sometimes have to strip away the colour leaving just the black & white contrasting shades & tones. 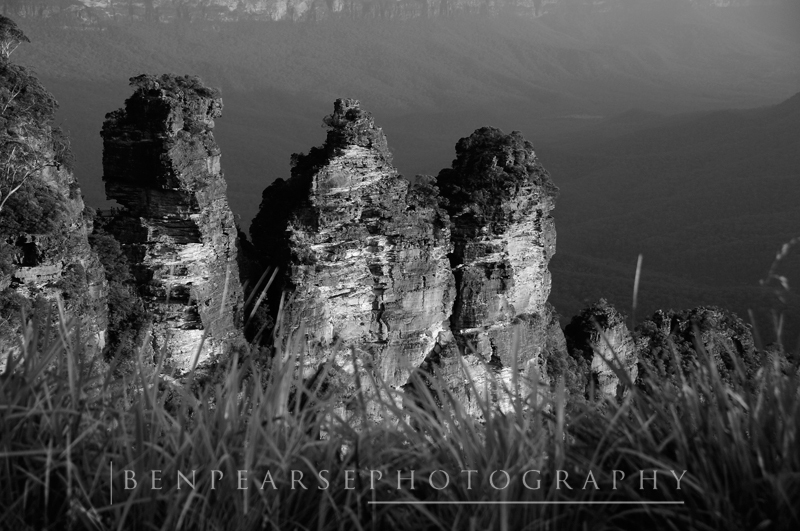 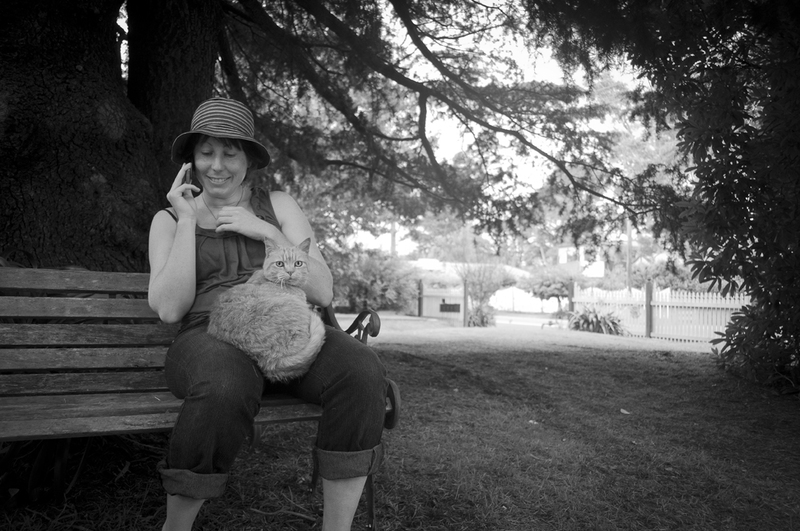 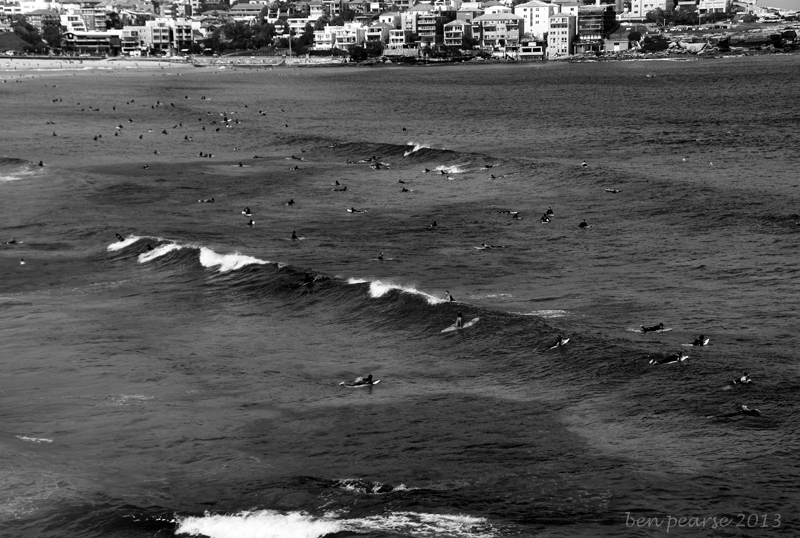 I was brought up early on a healthy diet of B&W photos. 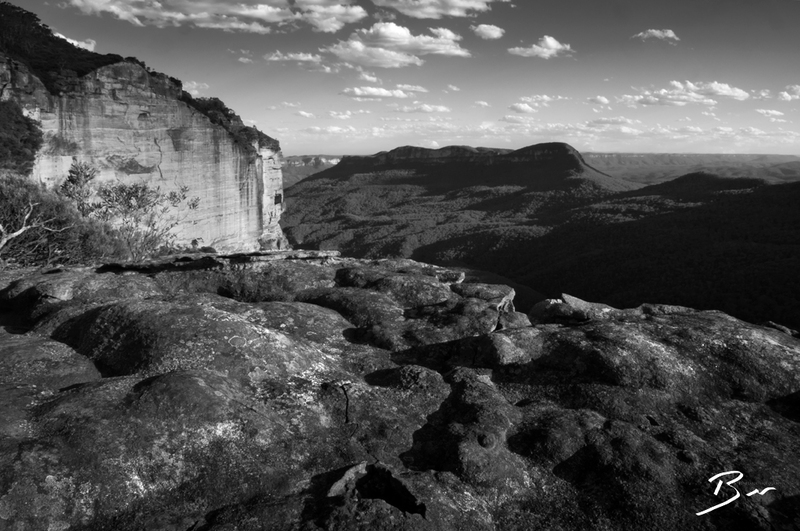 My uncle Garth was a navy trained photographer and he was always taking wonderful B&W photos of us kids as we hiked and camped all over the beautiful Blue Mountains, Australia. 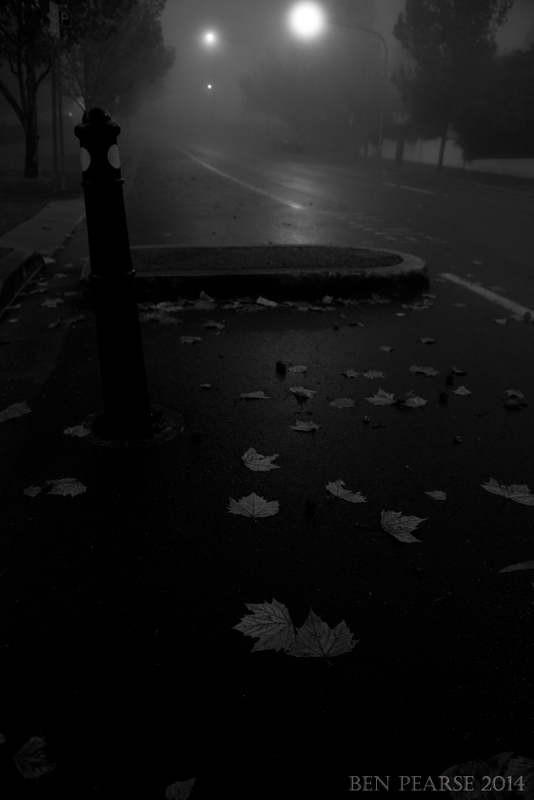 As youngsters we would see him go into the laundry of our grandmothers house (his darkroom) where he would disappear and somehow come back magically with these wonderful photos……how he did this, I certainly didn’t know back then. 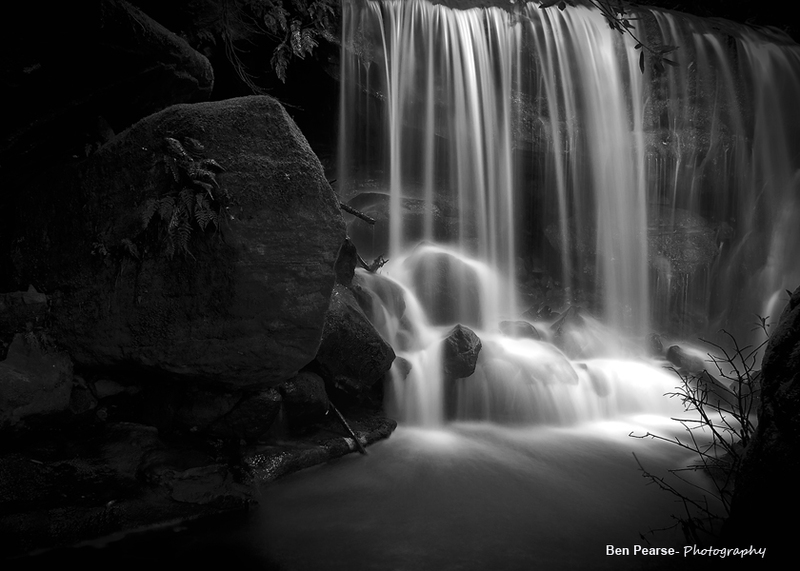 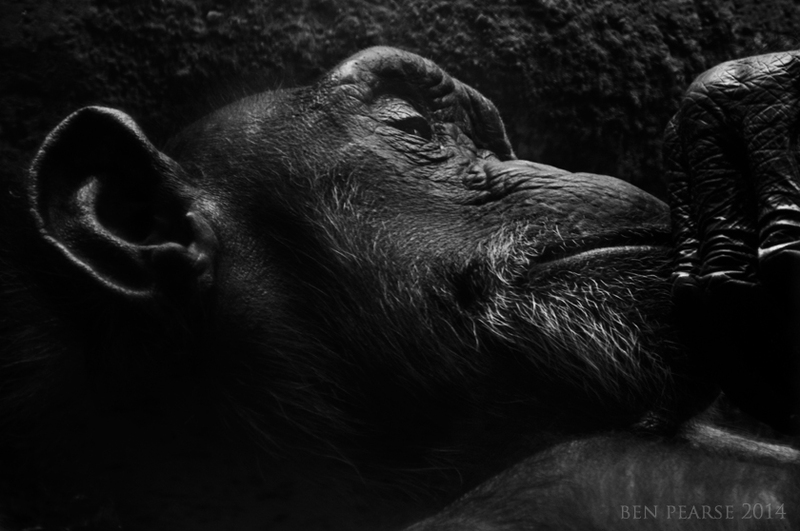 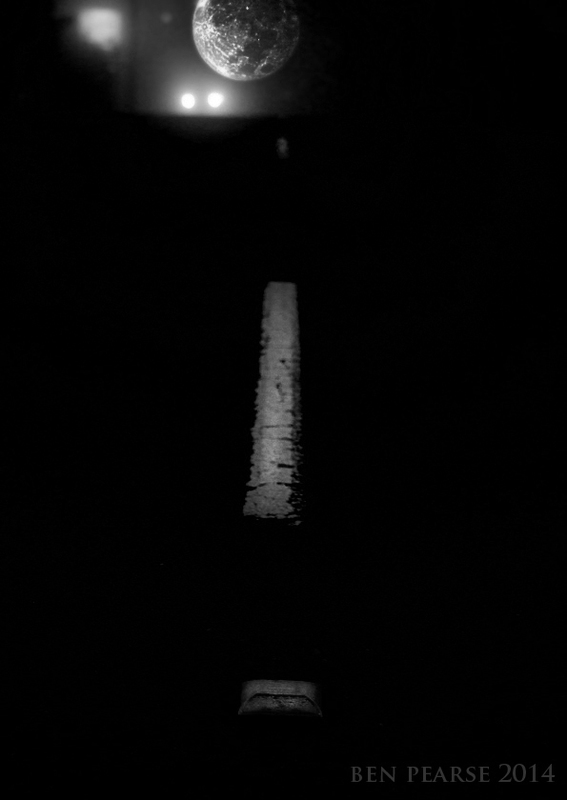 As I came to understand and practice my own photography years later I believe my early exposure to black and white photography had been awakened. 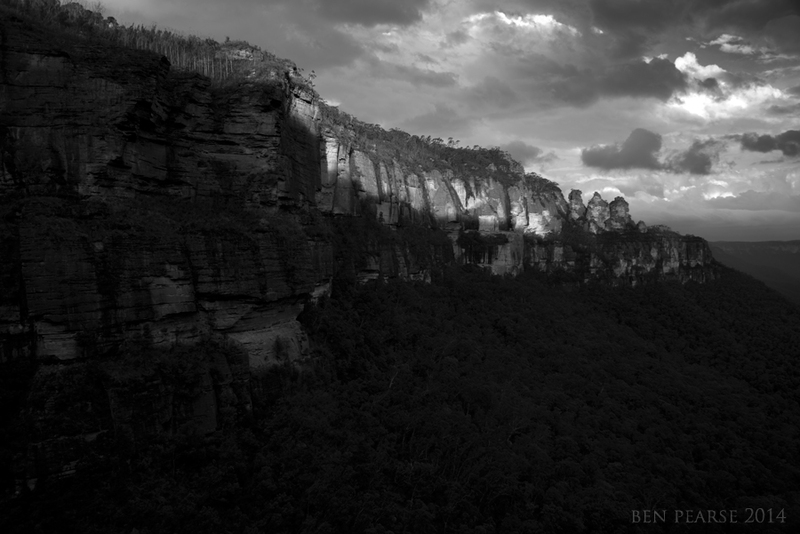 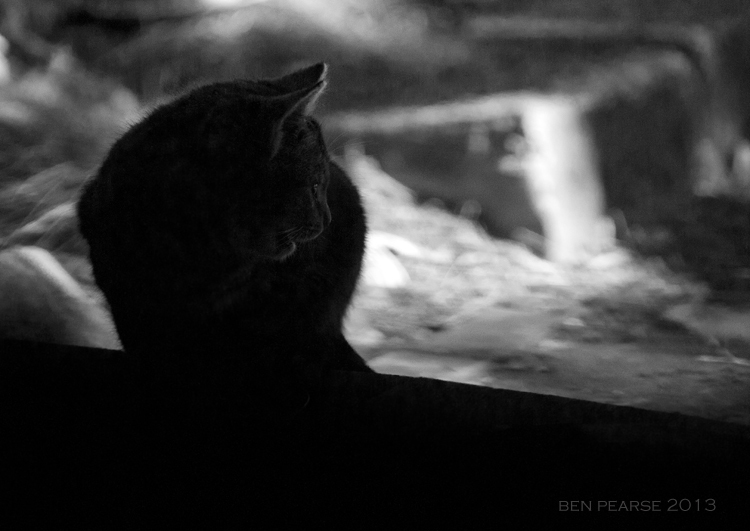 Some photographers who specialise in B&W photos say that they, “see in B&W”, when looking out in the world and I totally believe this. 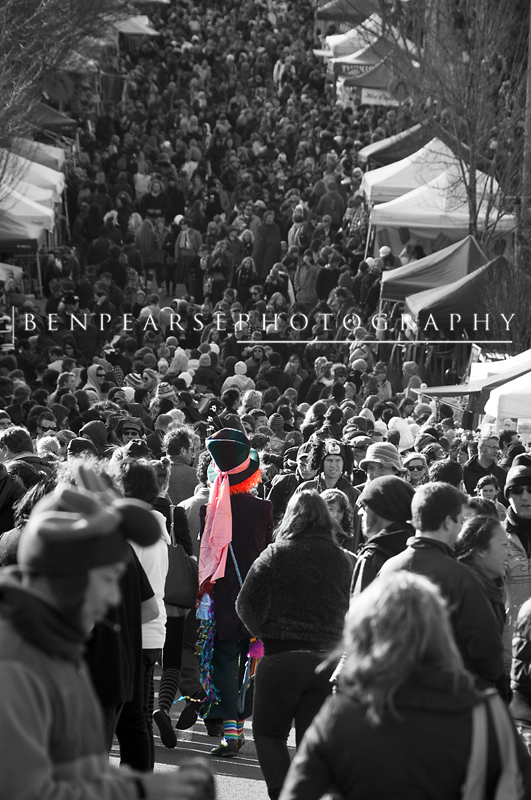 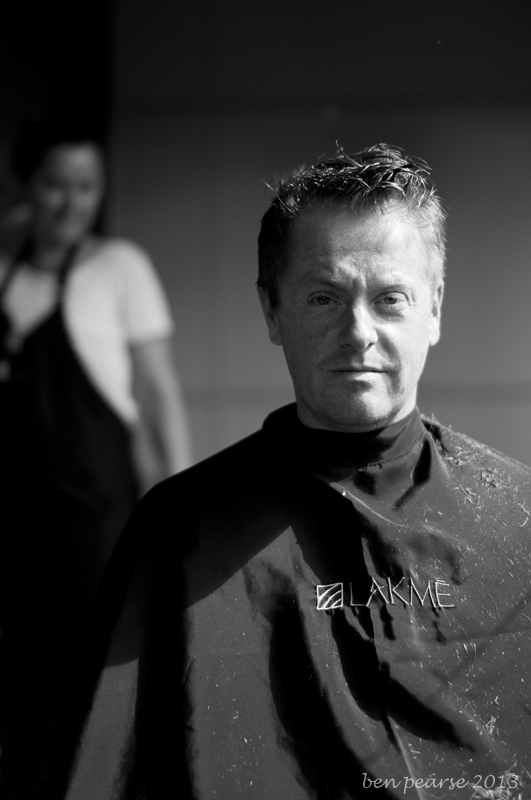 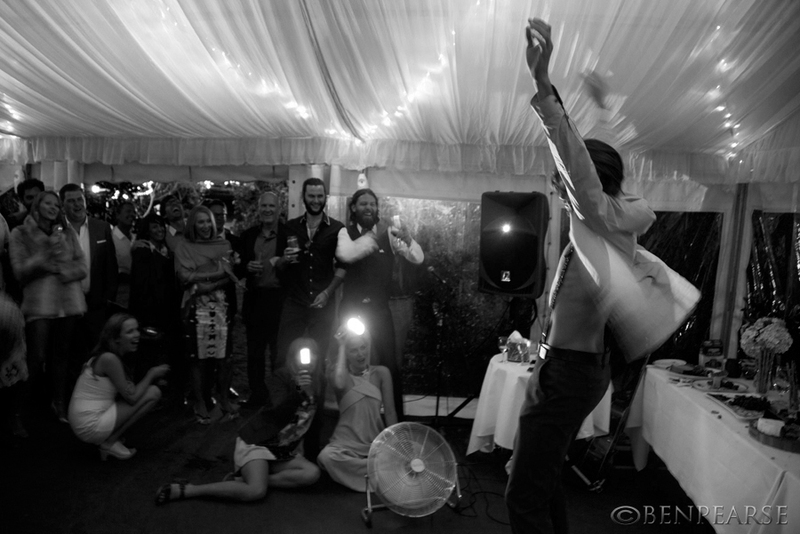 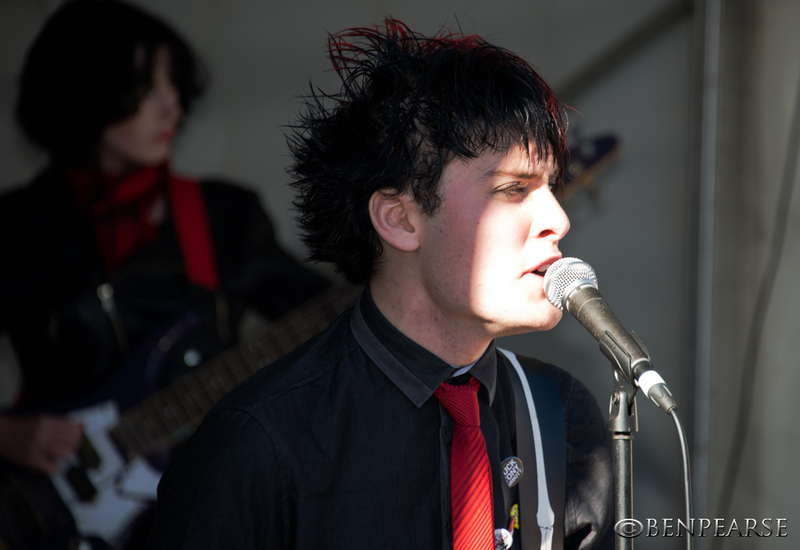 I know that a large aspect of being a photographer is your ability to see a finished photo as you are taking it. 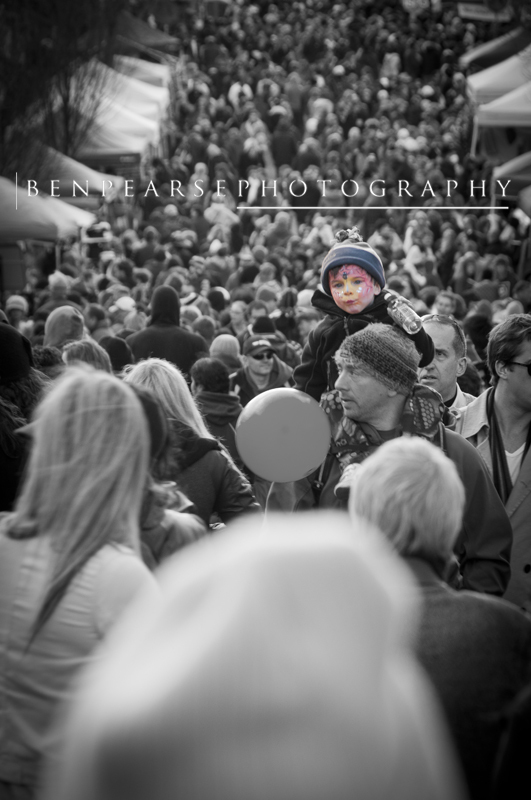 The ability to pre visualise a scene before taking a photo and to know how it will look after editing is what makes a better photographer. 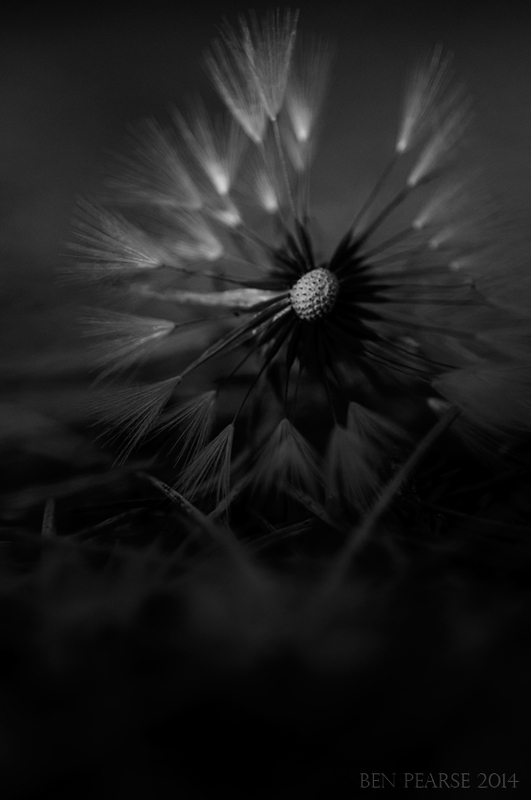 I have come to understand when I’m out taking photos what light & subject would suit B&W or colour. 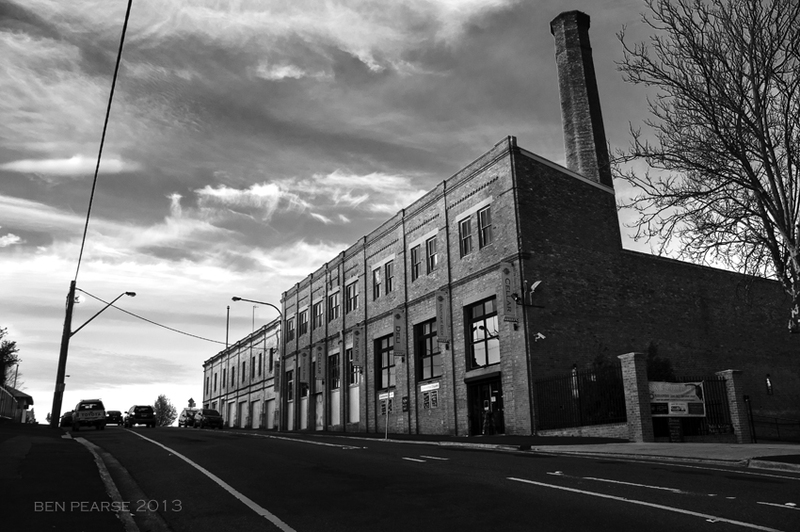 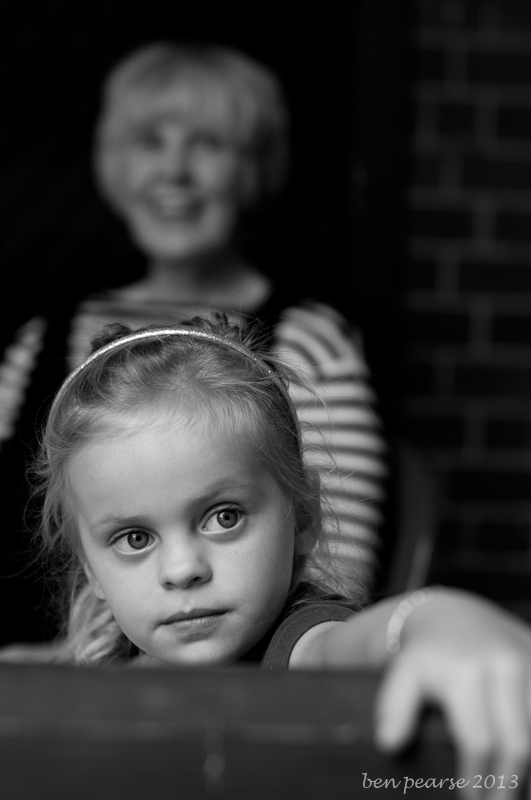 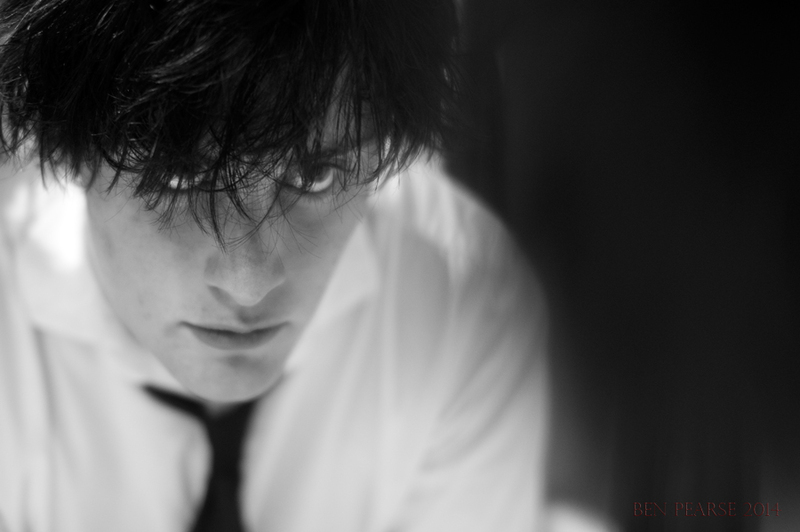 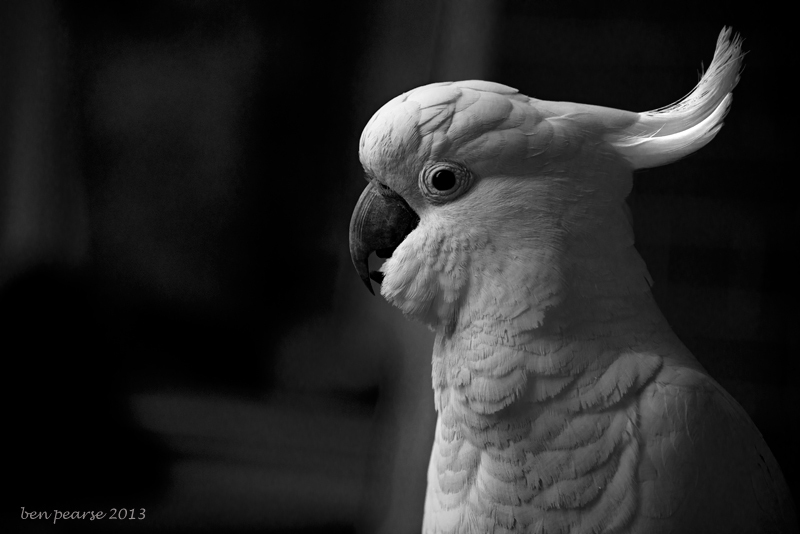 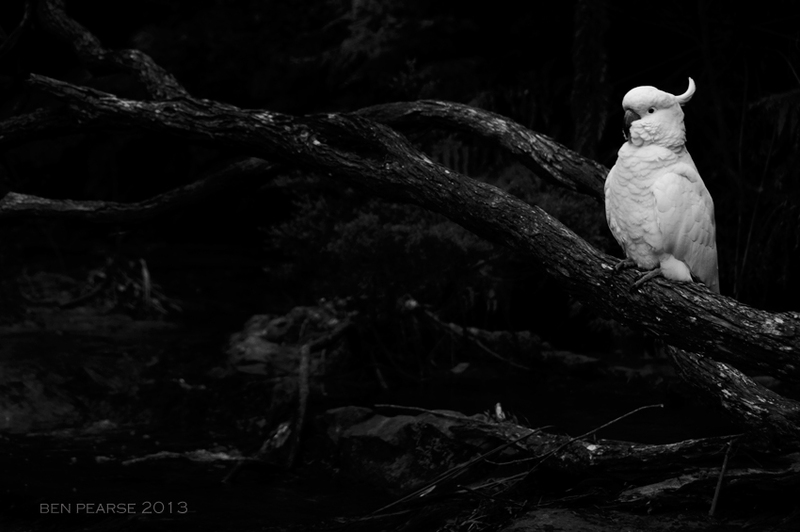 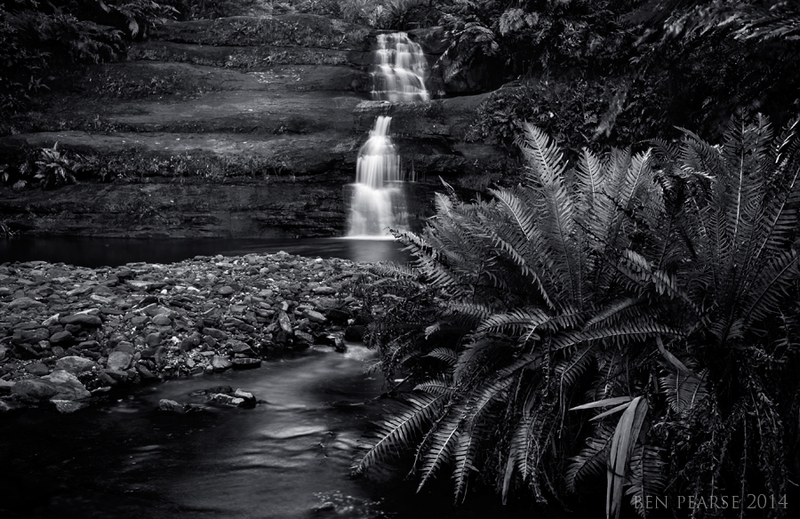 I find as my photographic journey progresses I find I’m drawn more & more to black & white or a duo toned shot. 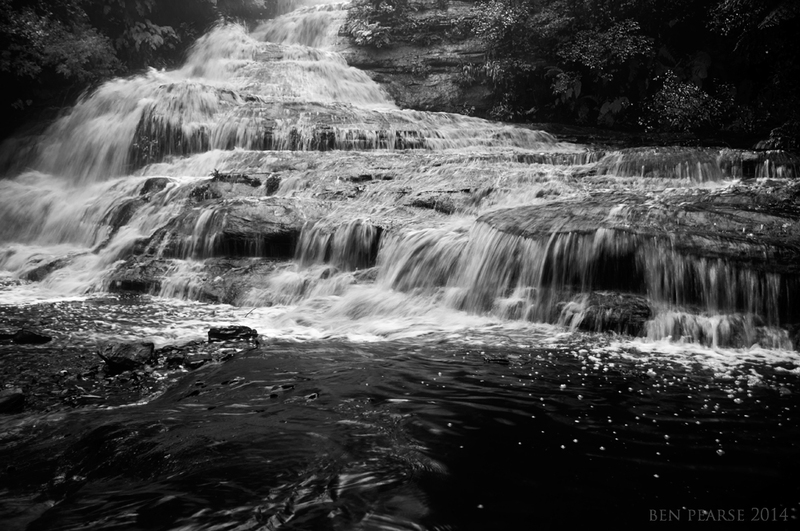 There is a beauty in stripping something back, a rawness to it. 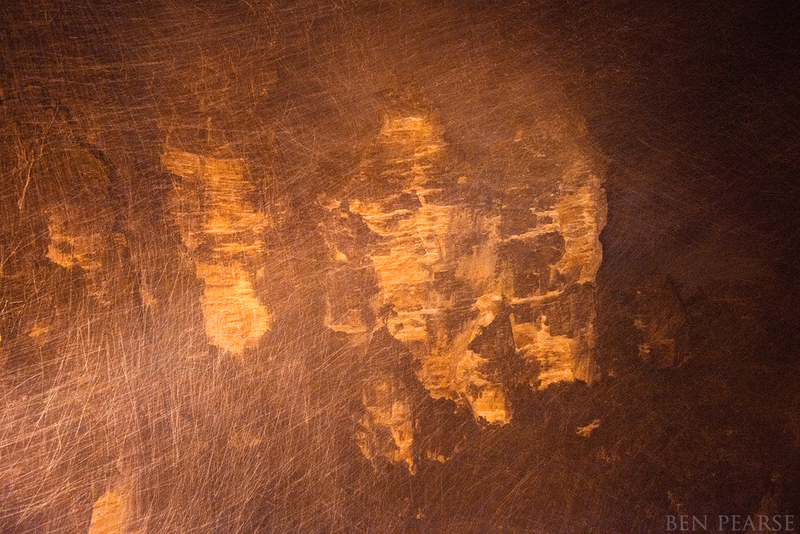 Much like how a cabinet maker might strip back an old piece of furniture, removing the old excessive layers of paint to reveal it’s true bare form & it’s naturally beautifully grain. 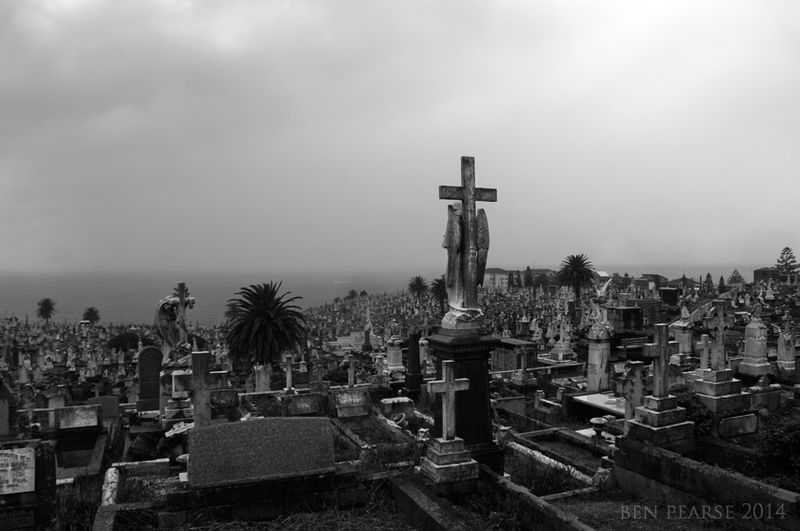 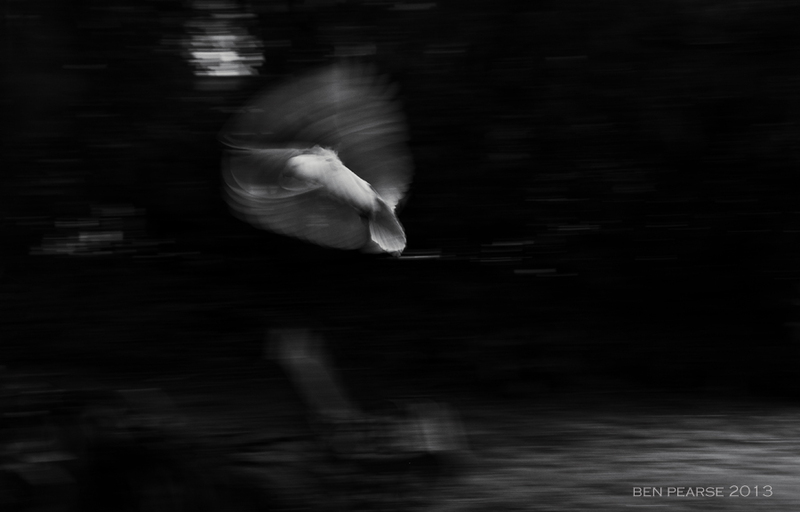 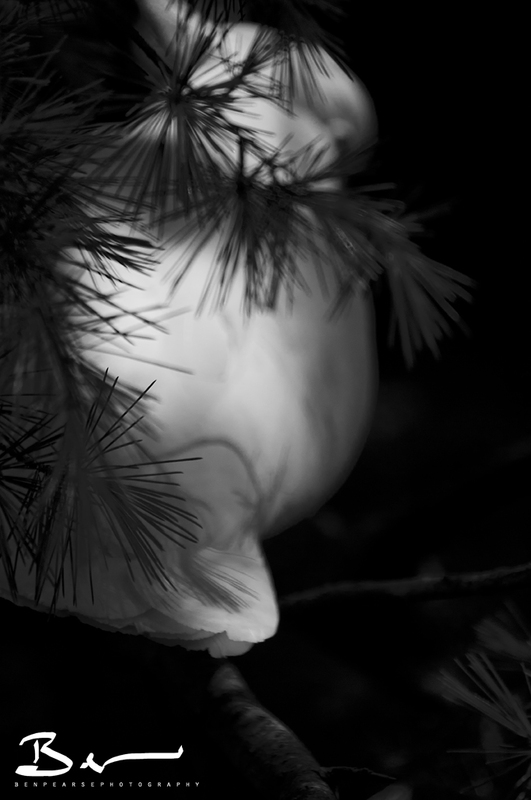 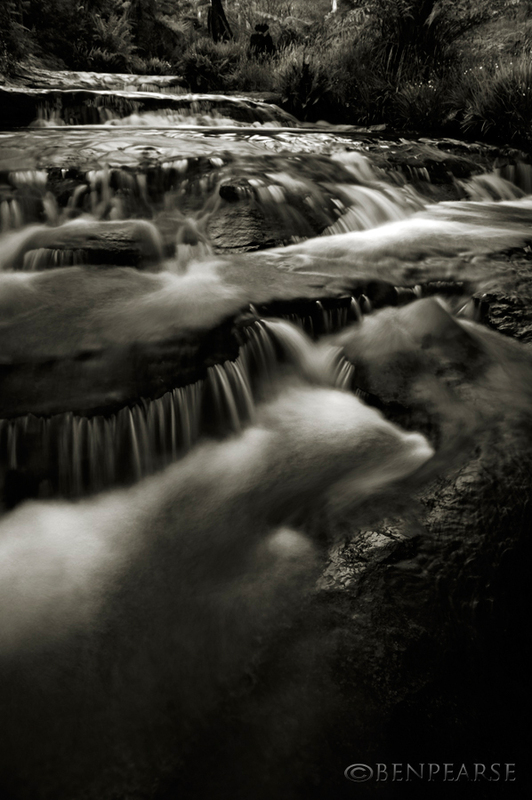 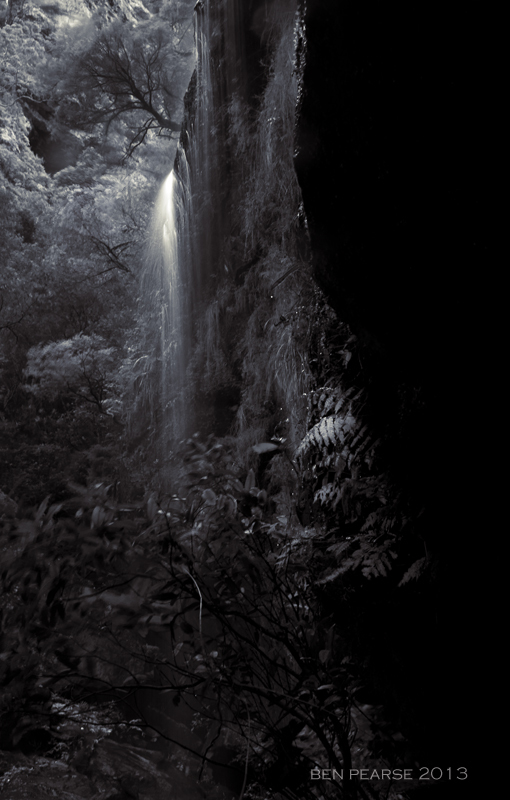 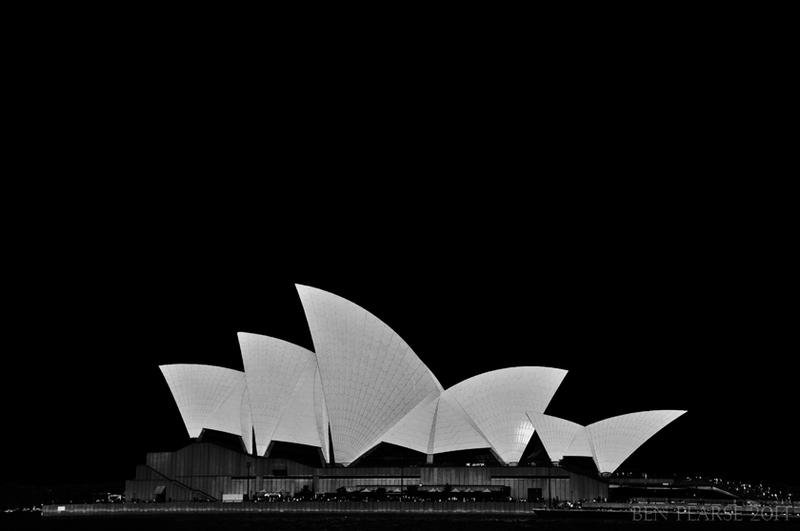 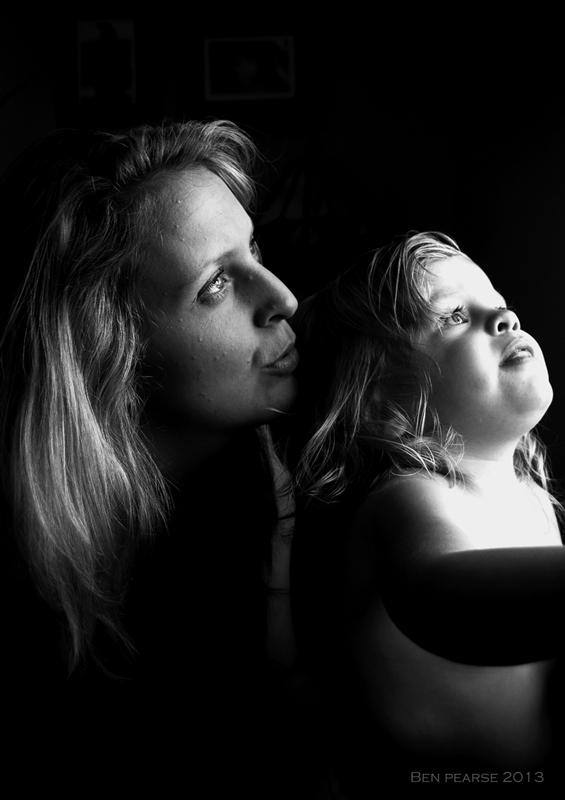 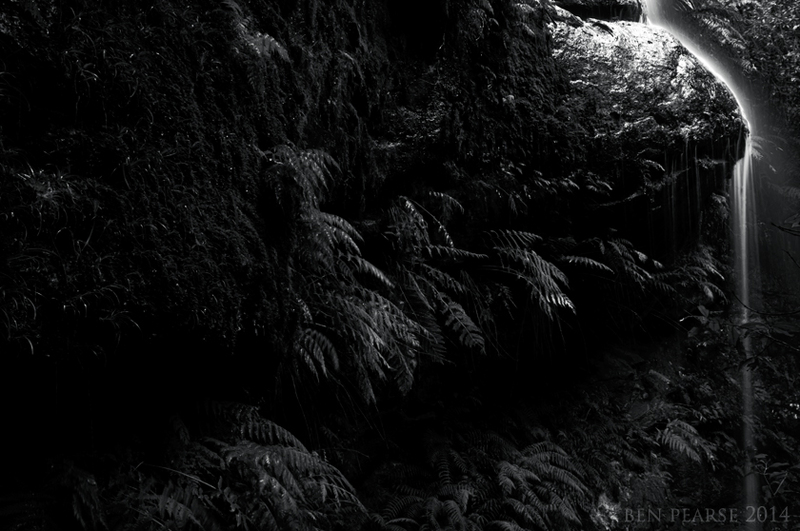 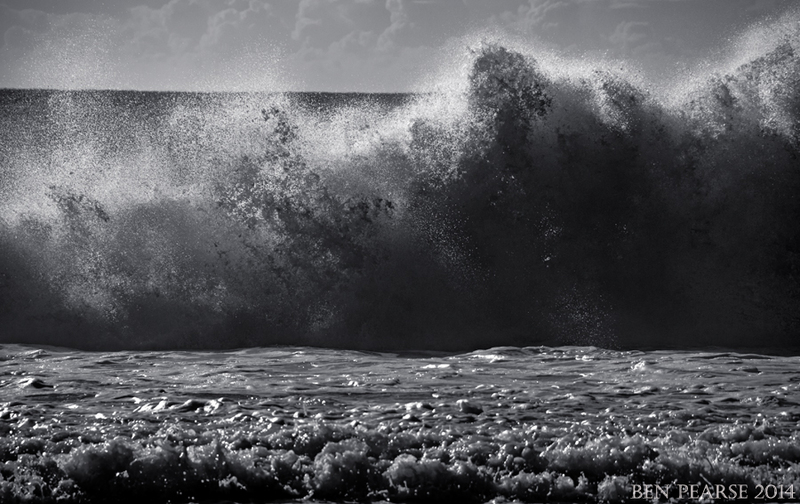 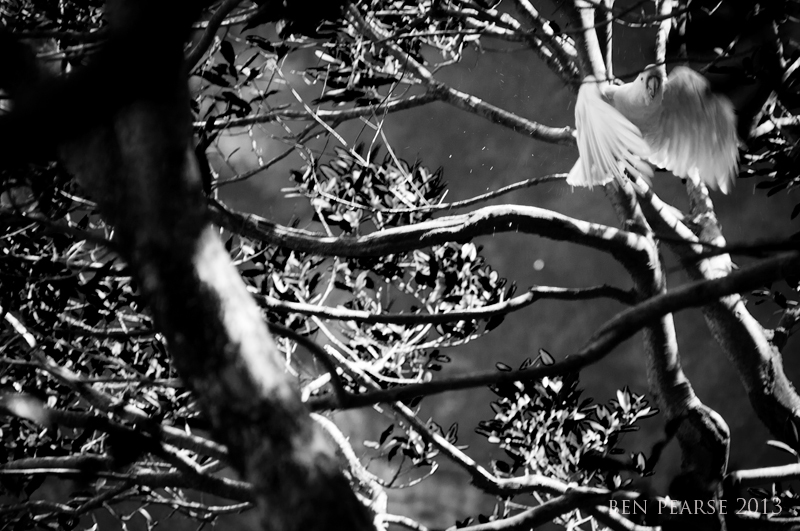 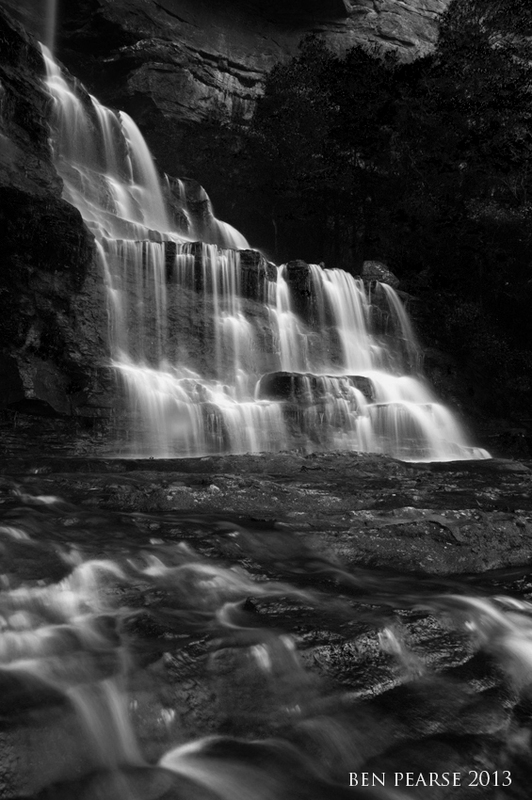 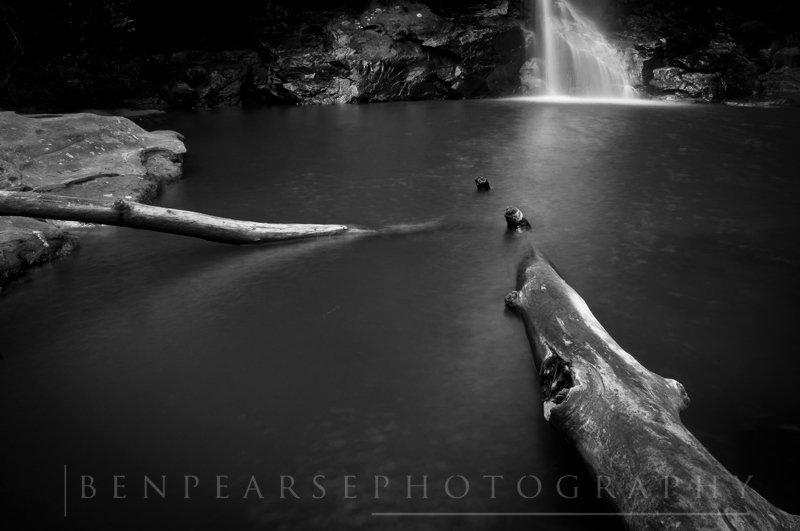 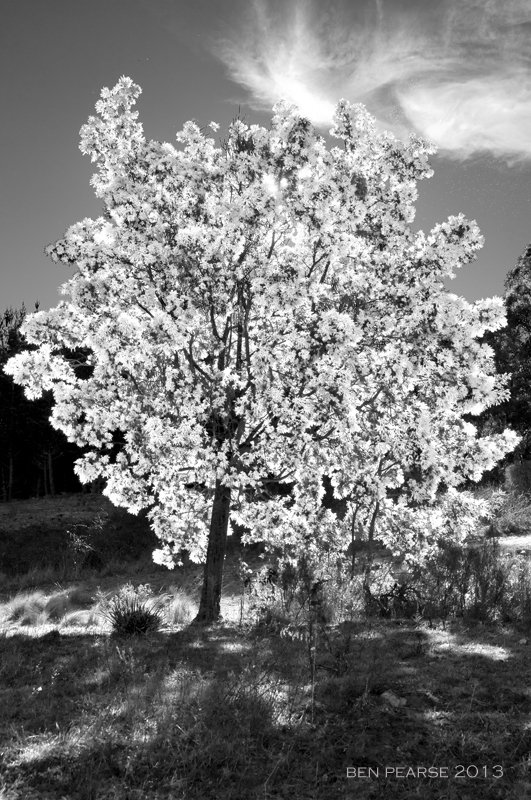 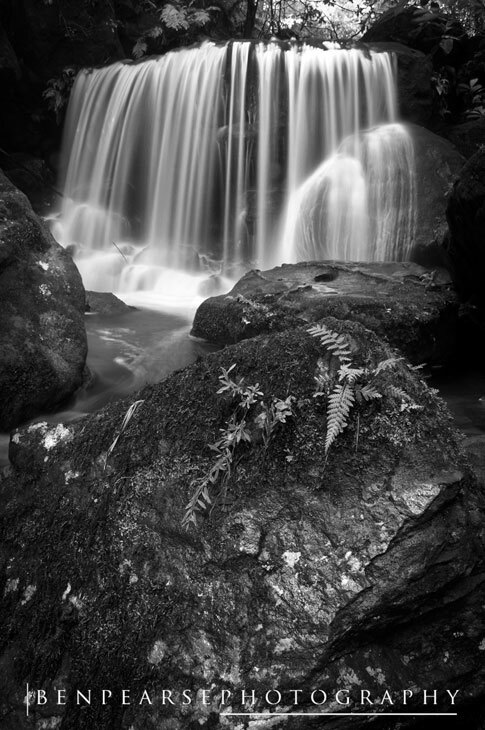 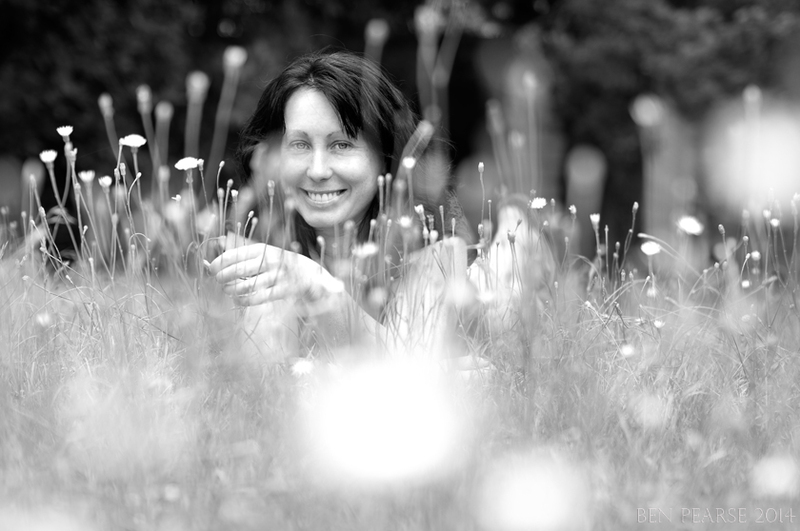 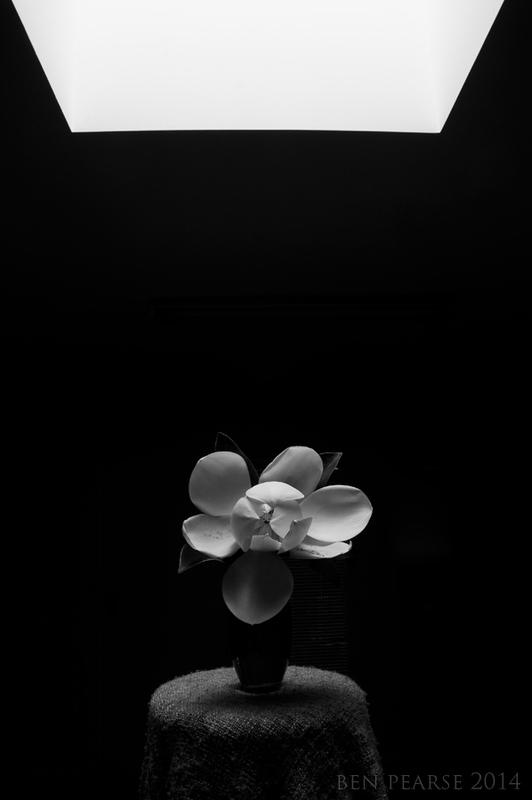 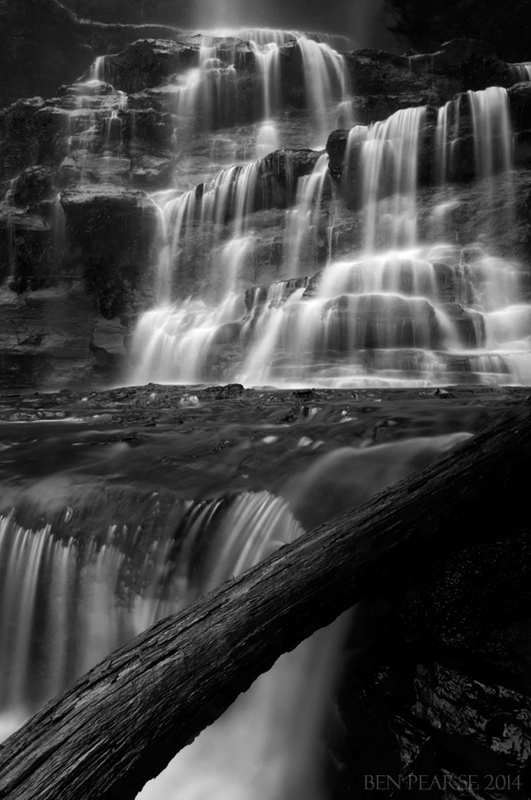 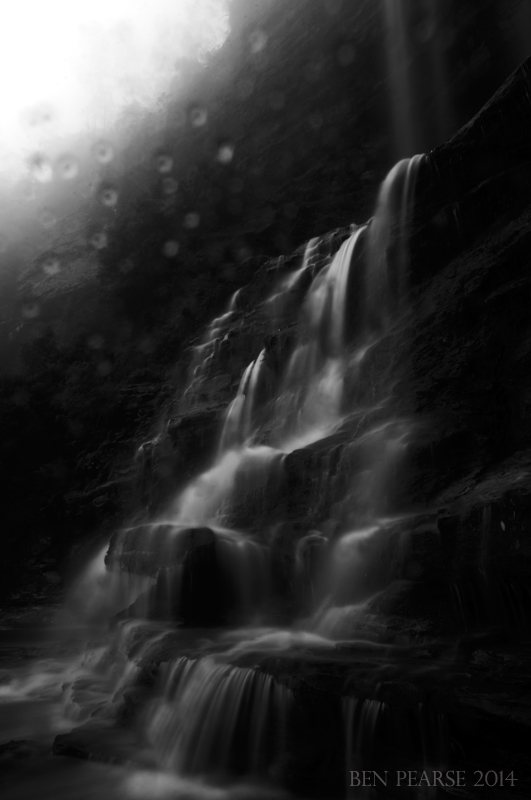 This for me is wonder of B&W, the allure to find a scene without the hindrance of colour. 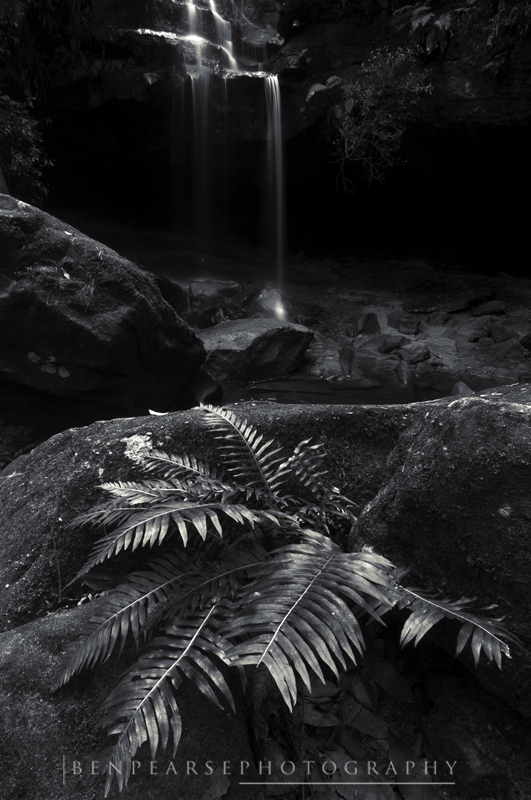 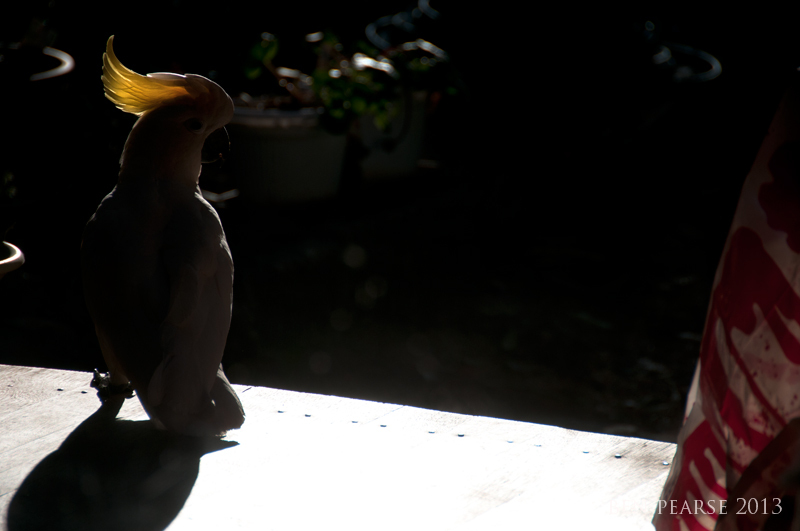 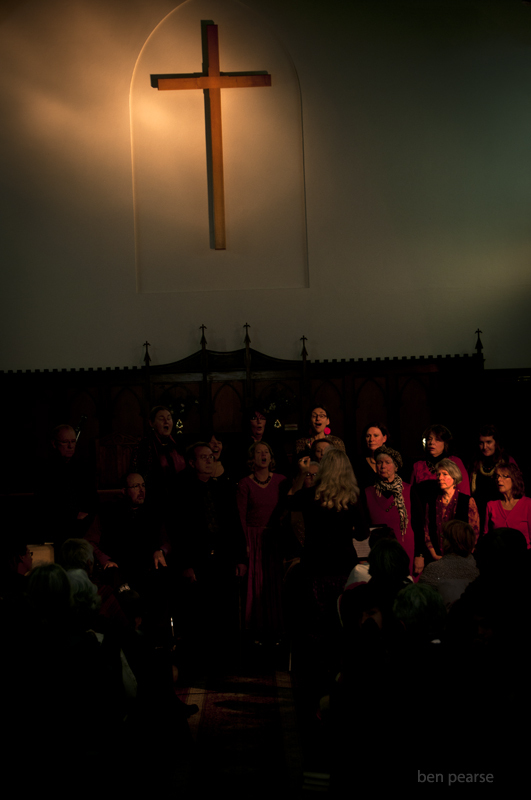 A scene where dark and light truly unfolds across the frame. 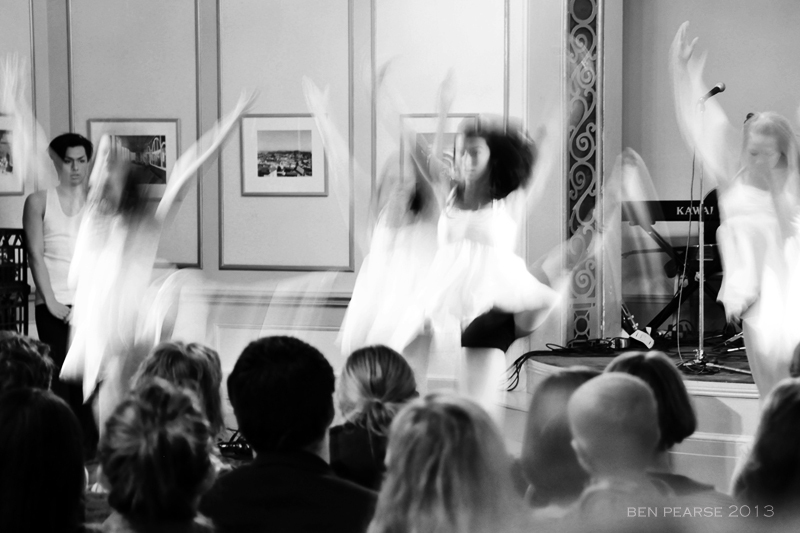 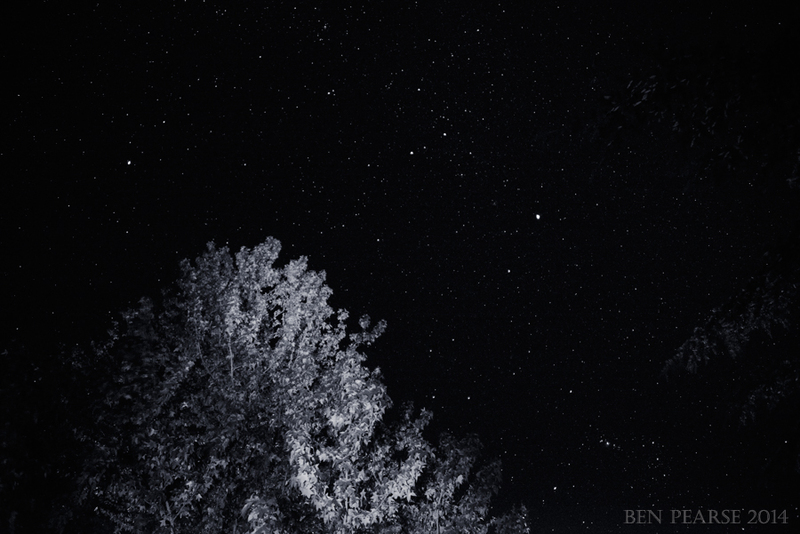 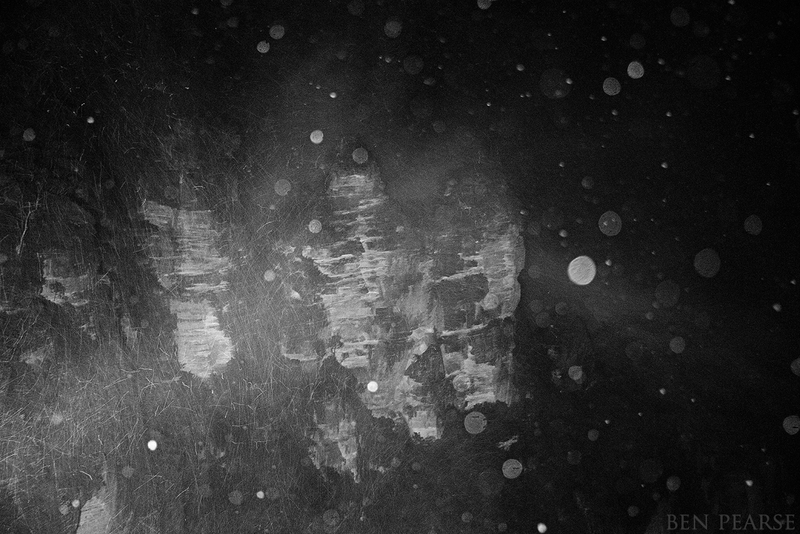 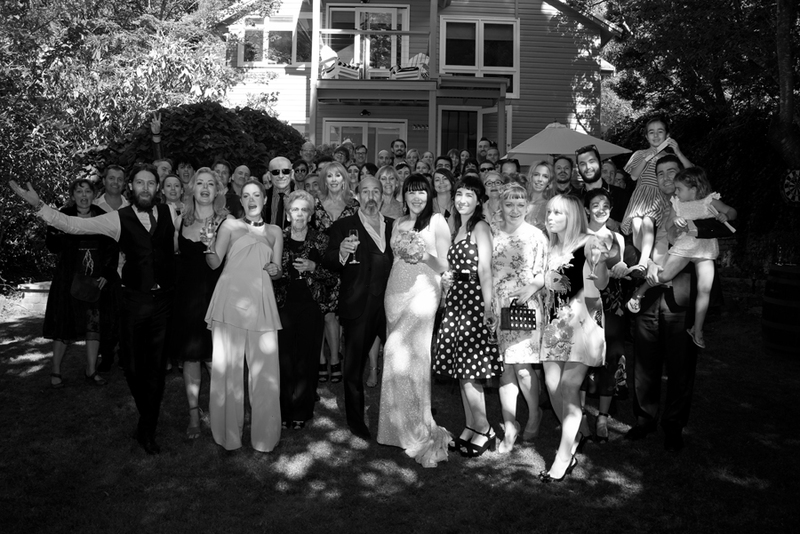 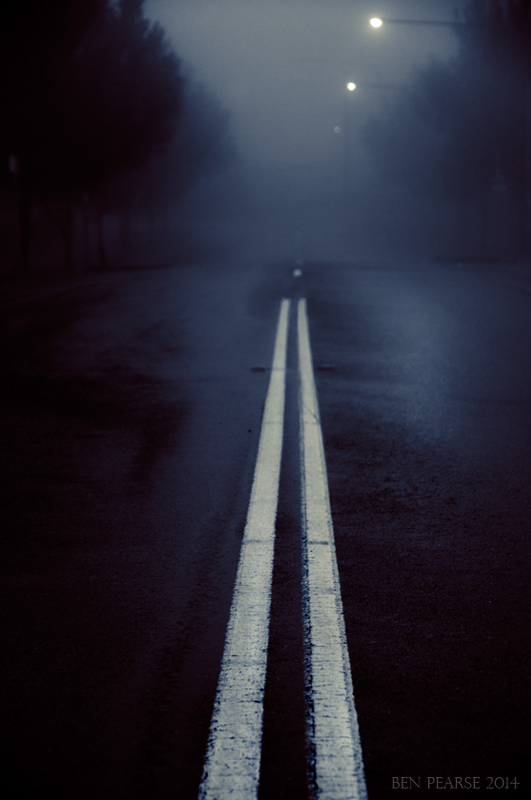 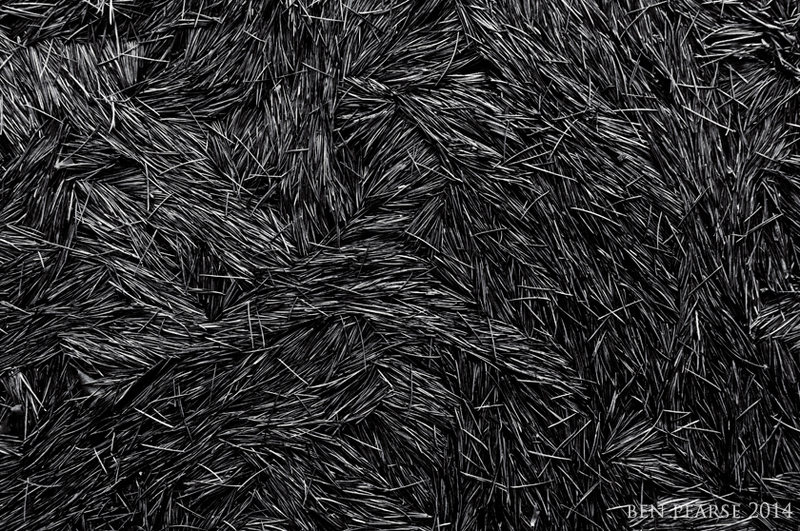 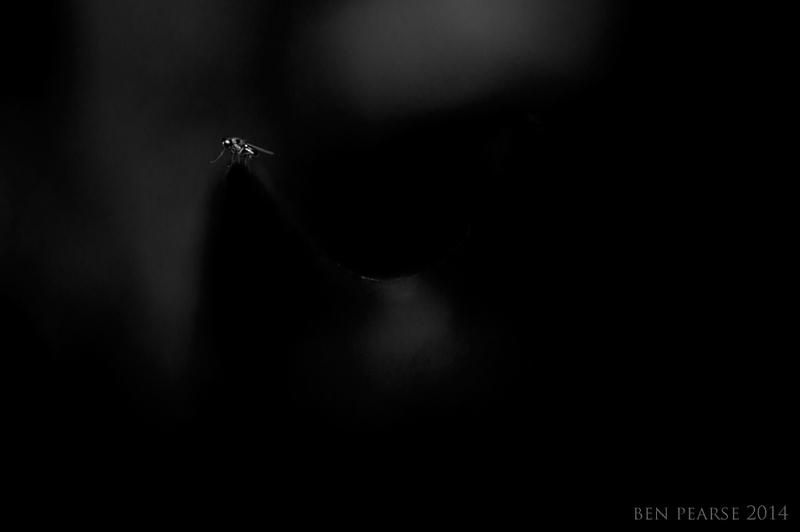 A scene where there is only black….or white. 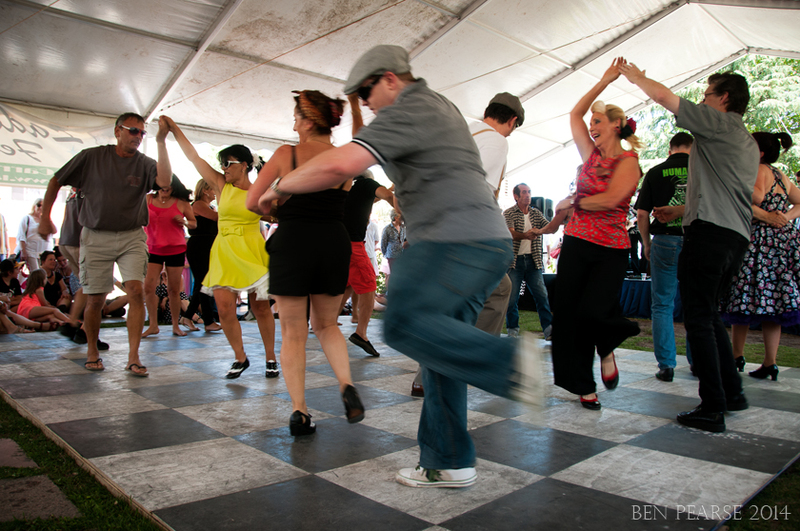 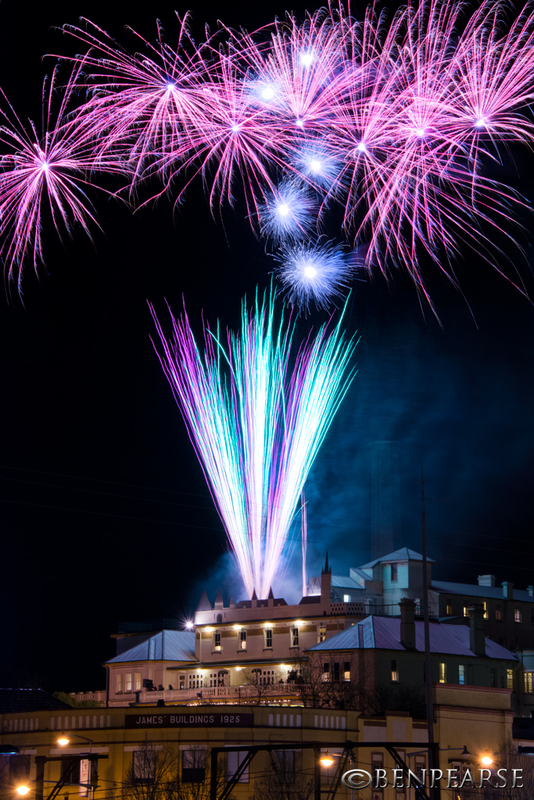 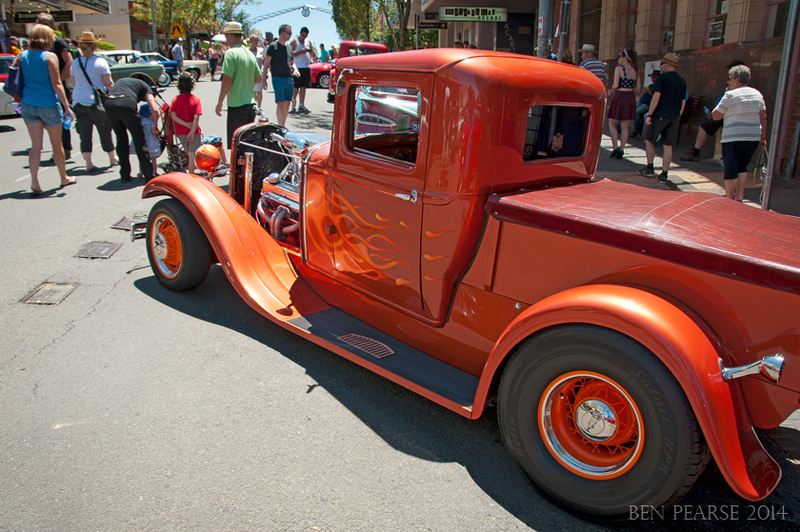 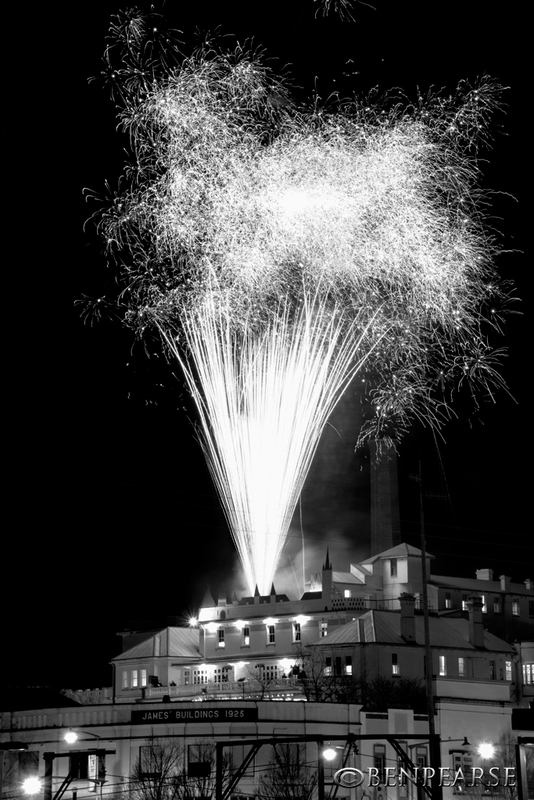 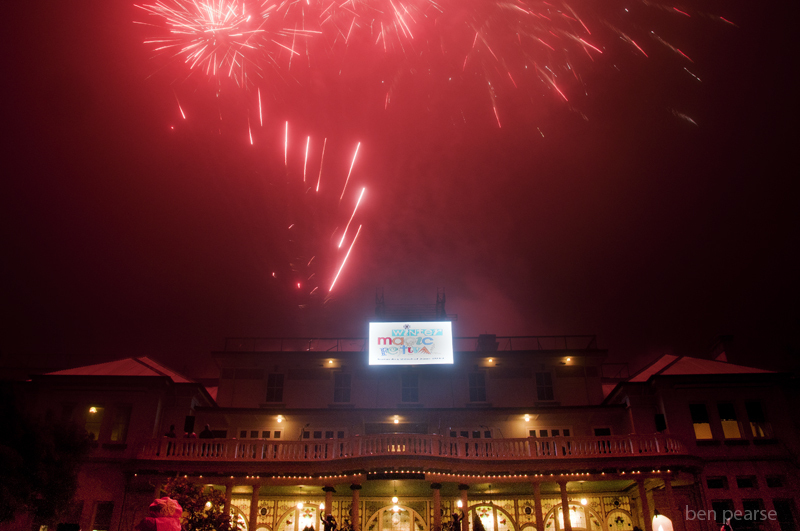 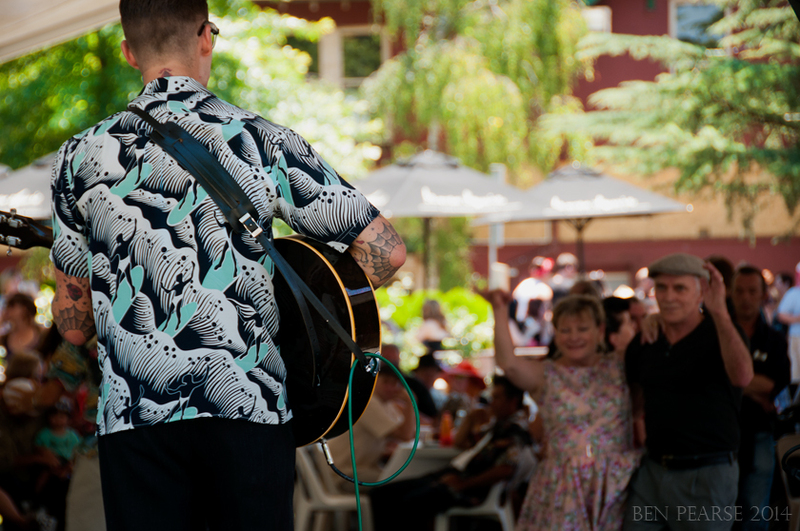 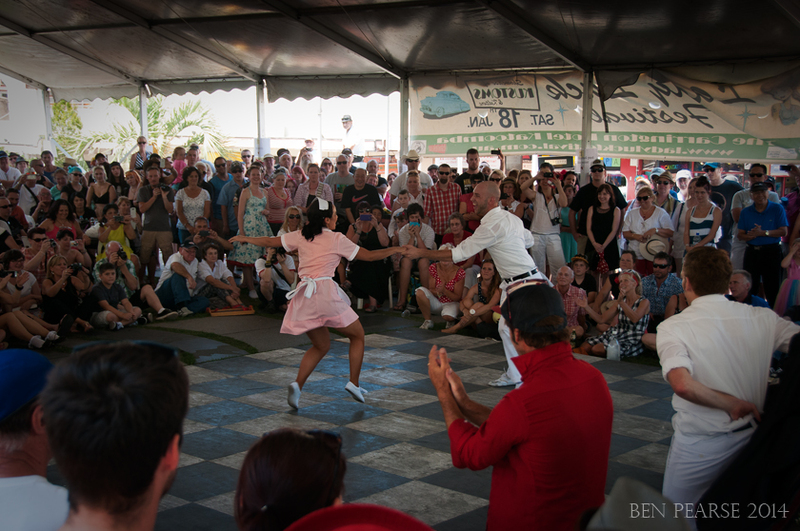 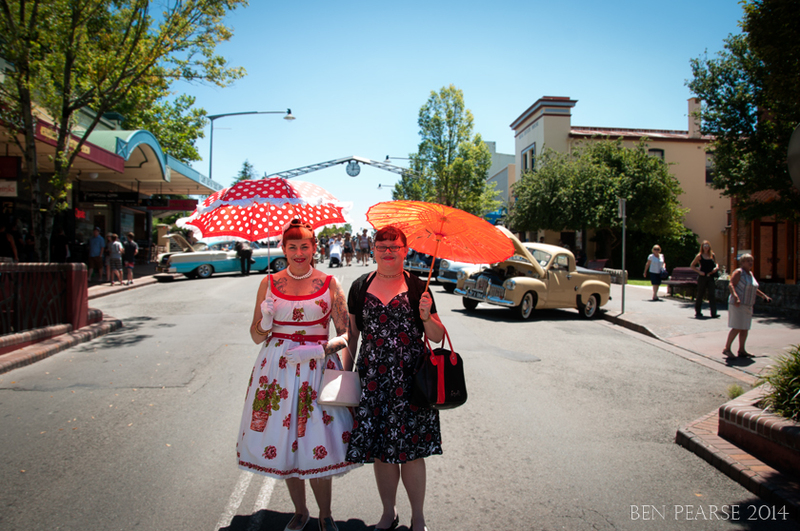 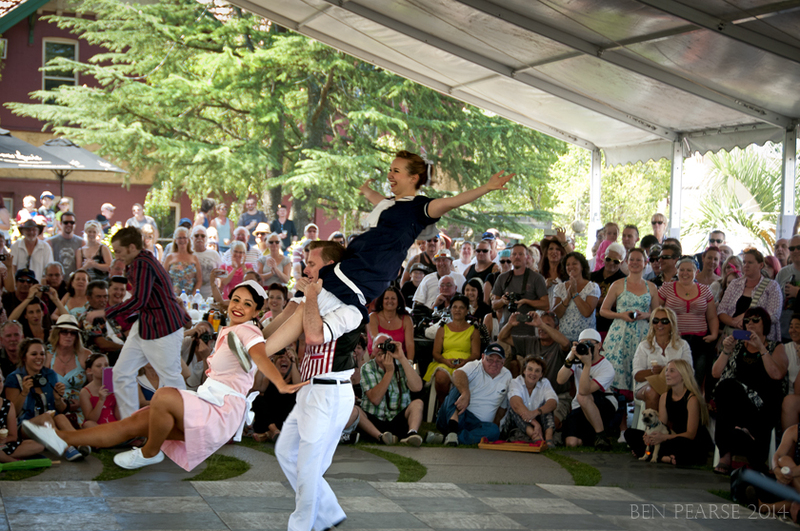 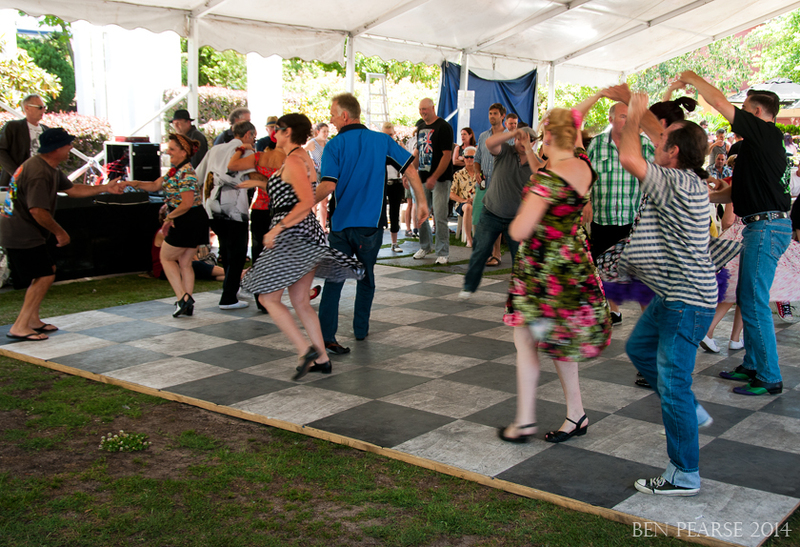 It was that time again this year when all things 1950’s descended upon the township of Katoomba and the Carrington Hotel for the annual Lady Luck Festival . 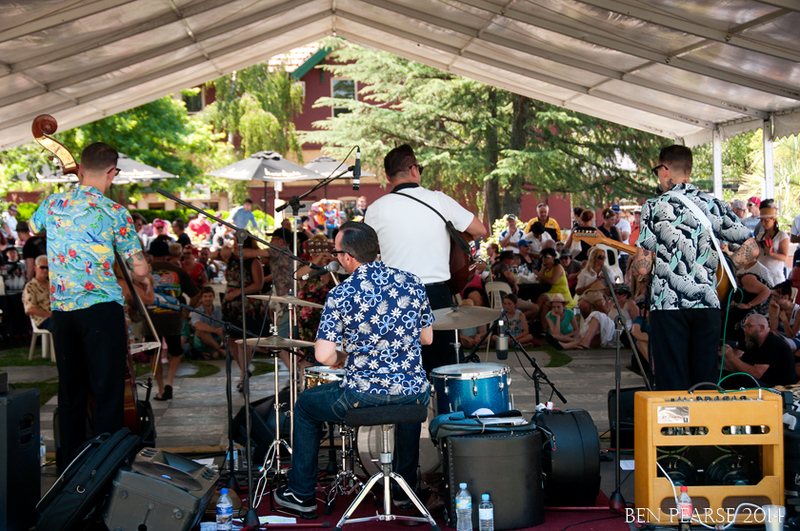 Held on the 17 & 18th of January this year, the weather produced a summer scorcher as hot rods lined the main street and rockabilly inspired dress turned heads as they sauntered by…. . A great crowd turned out to see live music and some amazing 50/60’s dance action that was held on the Carrington front lawns.